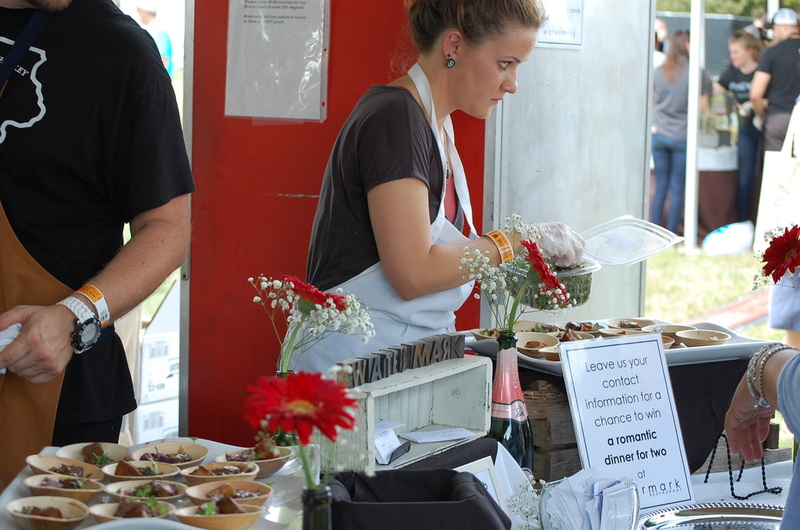 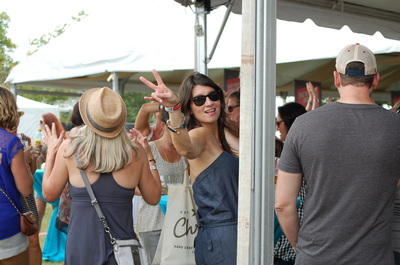 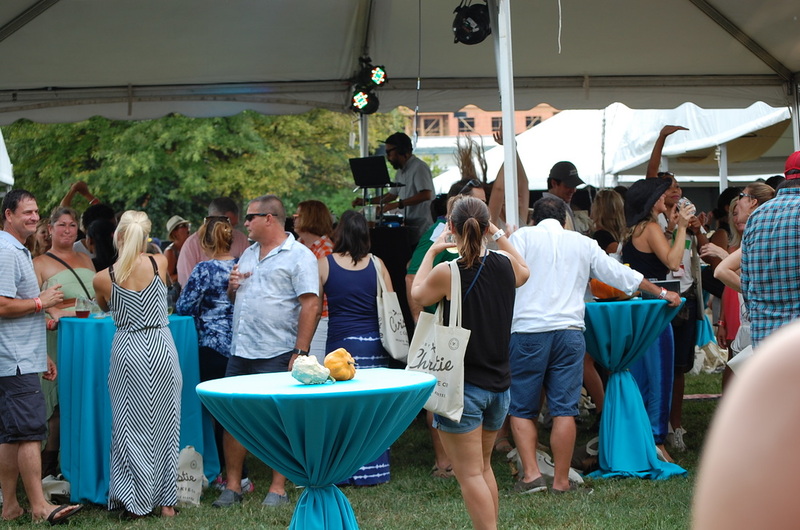 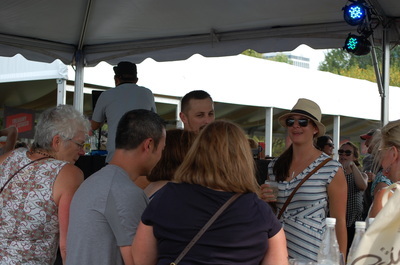 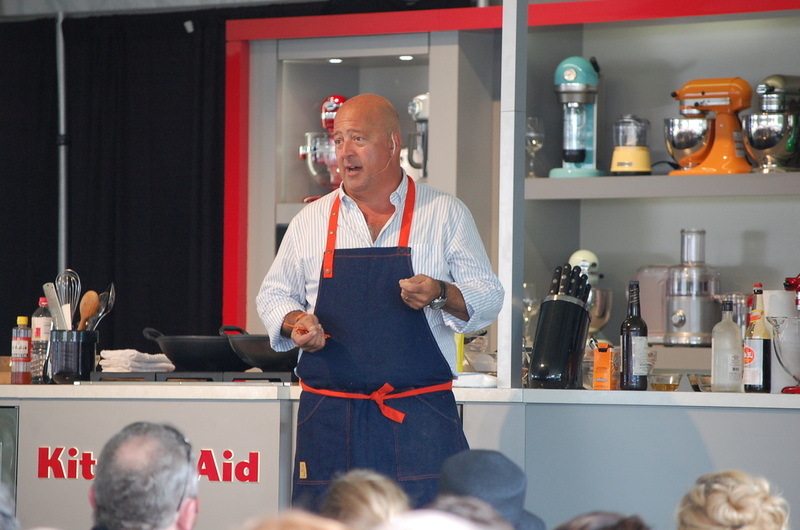 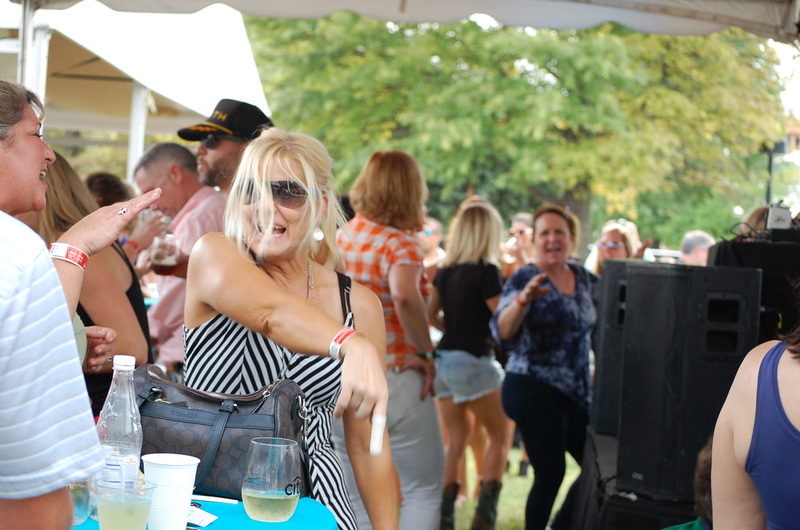 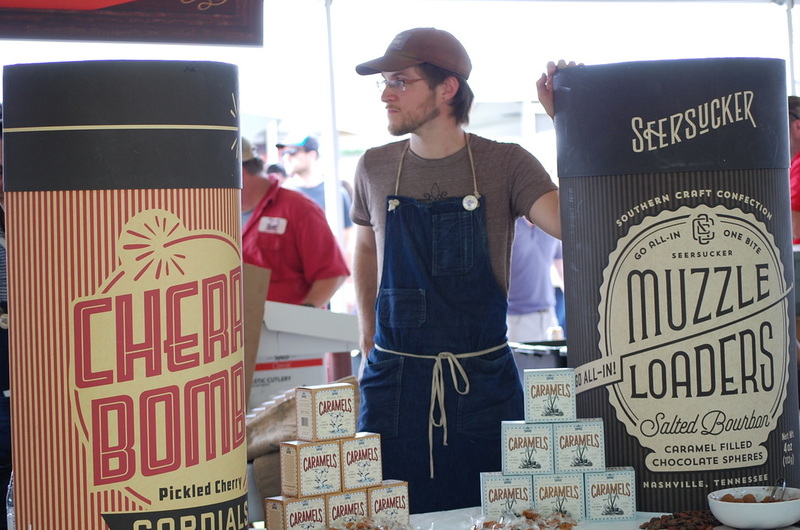 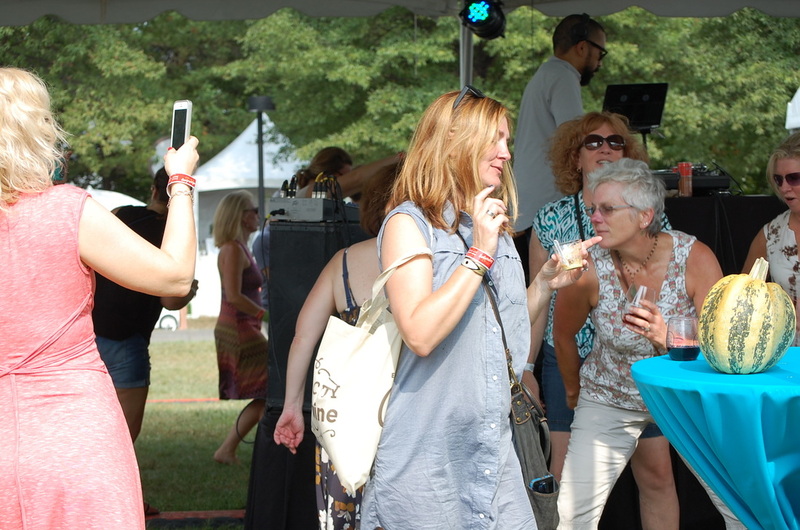 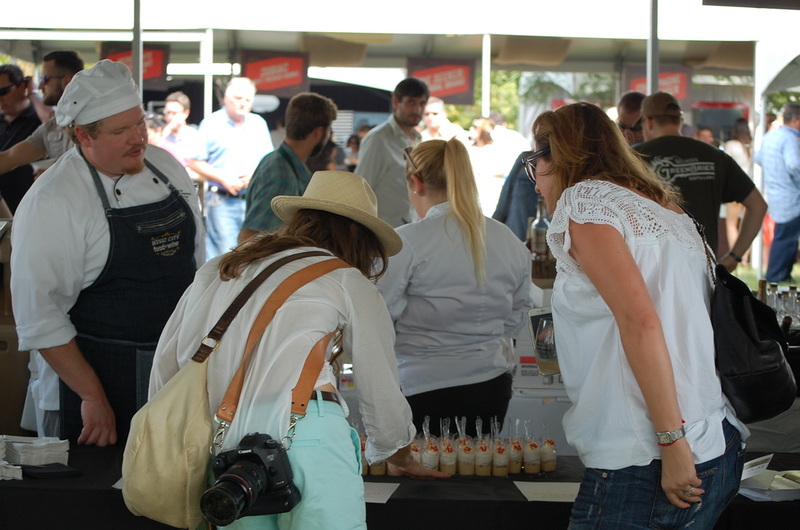 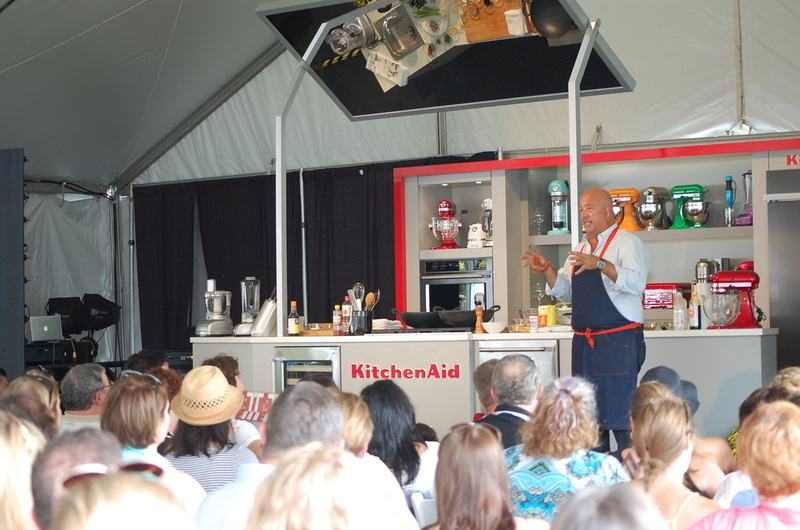 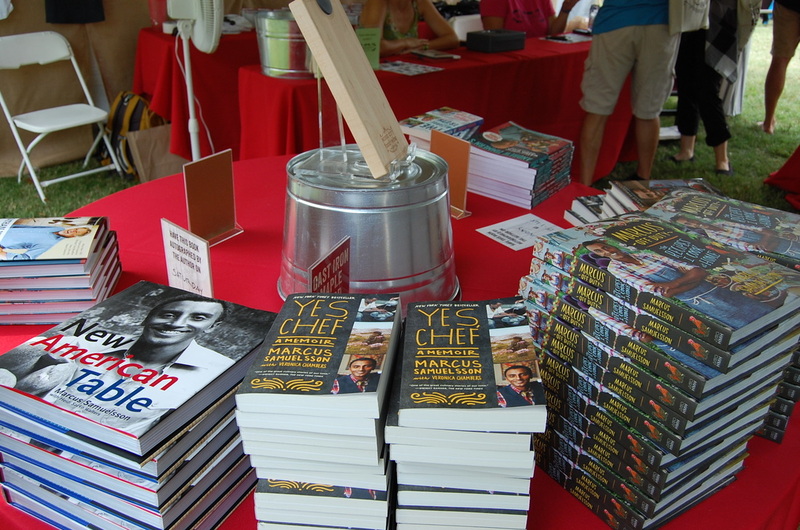 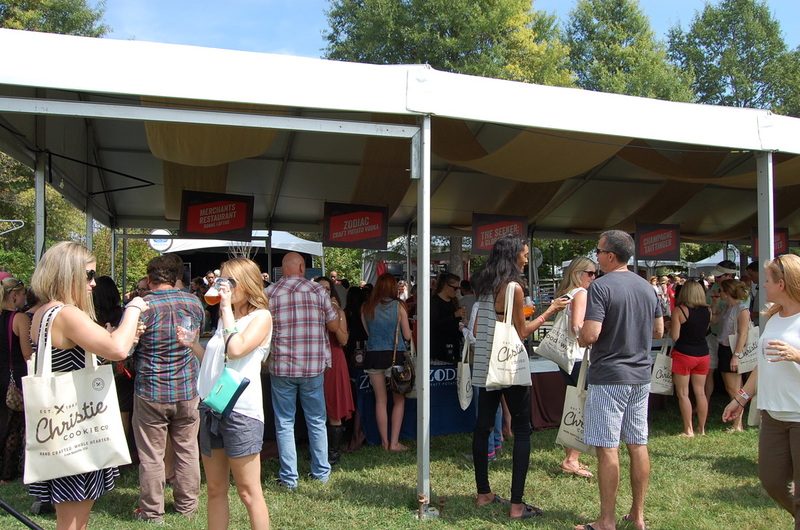 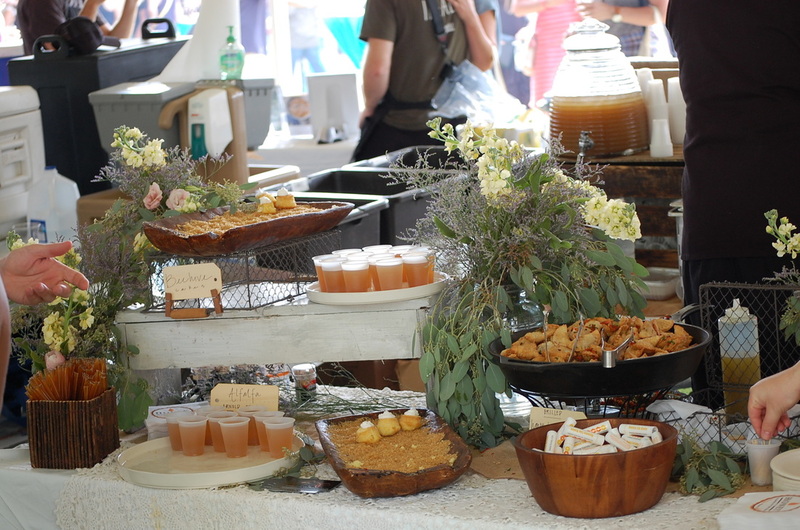 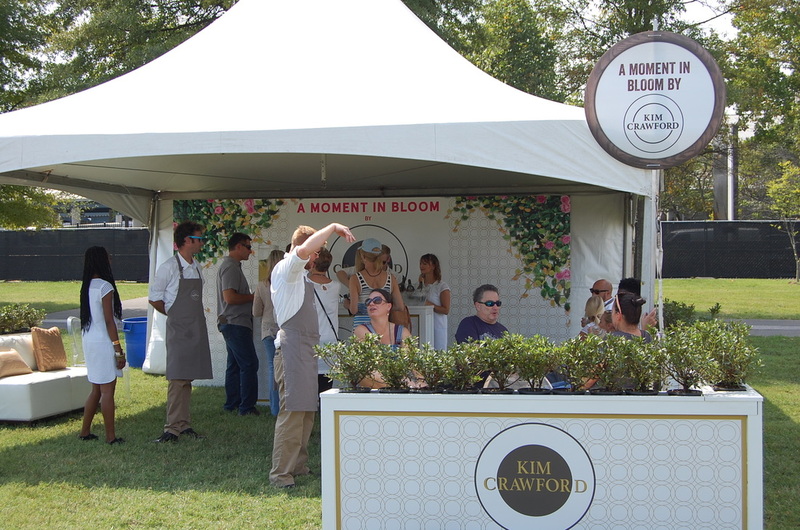 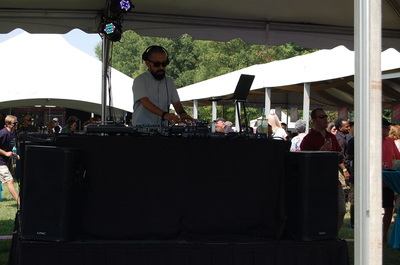 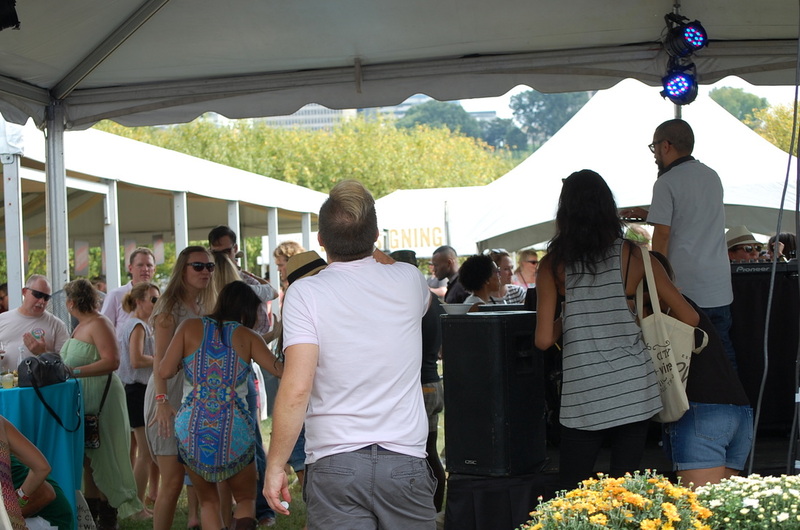 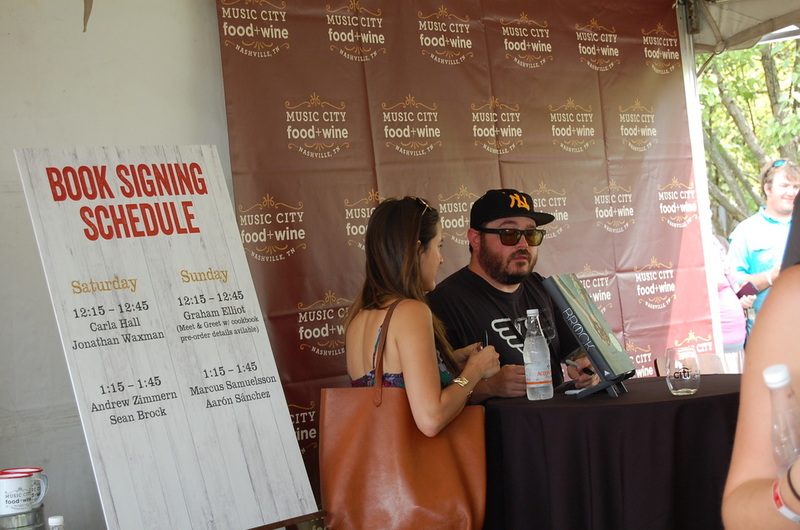 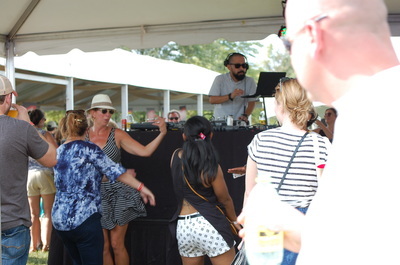 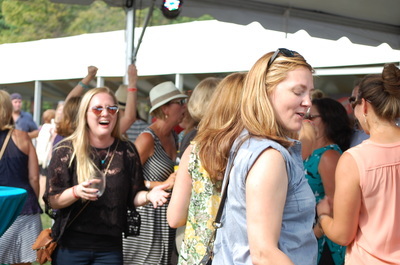 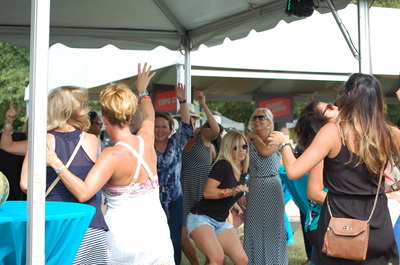 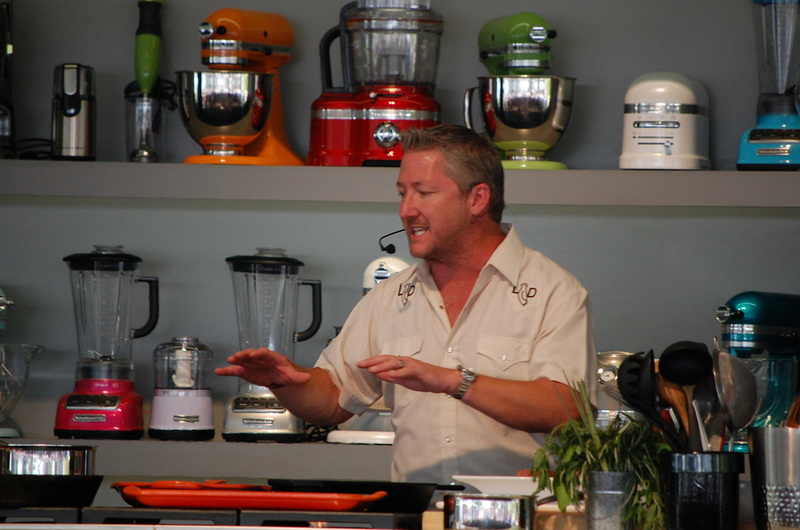 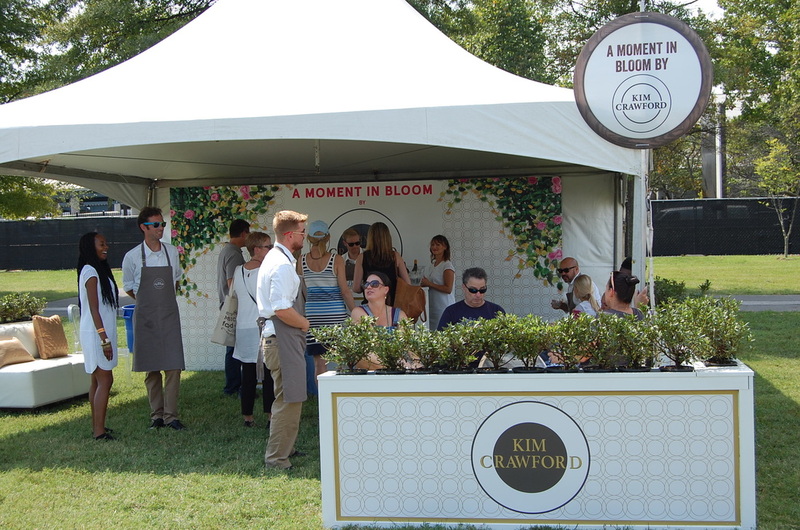 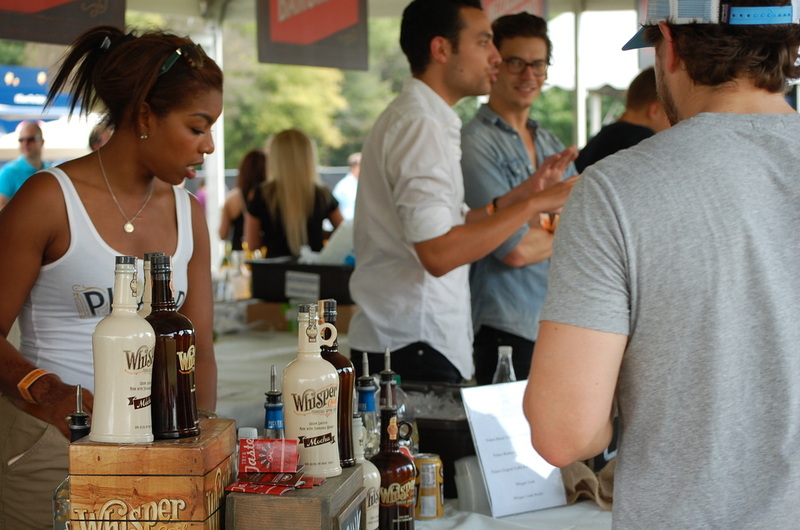 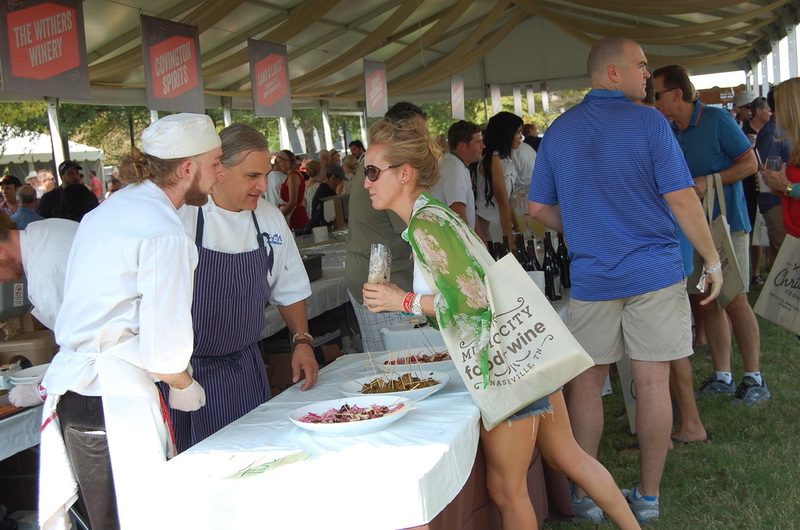 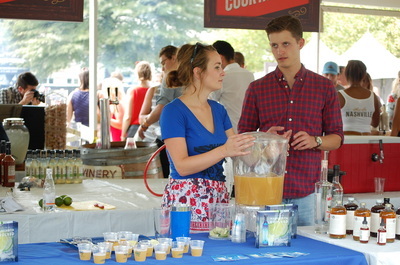 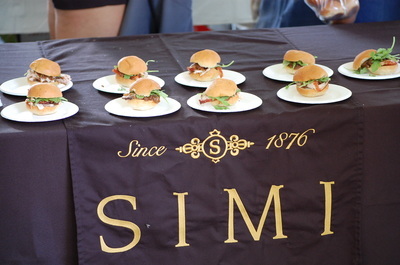 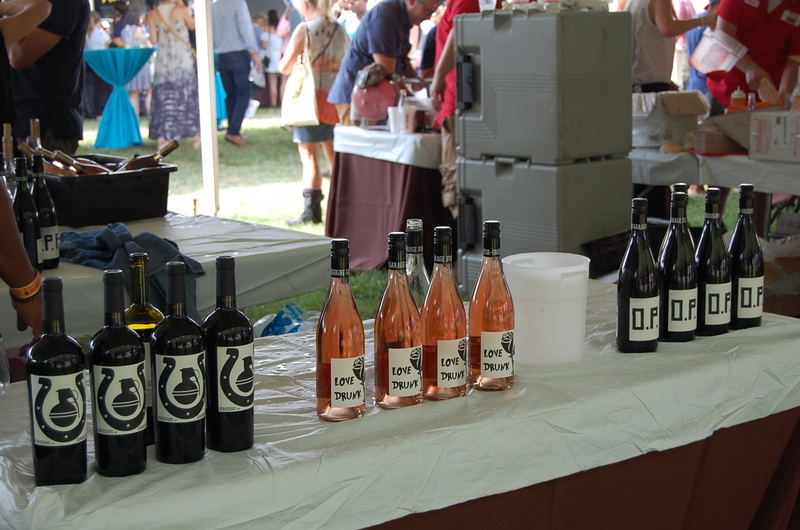 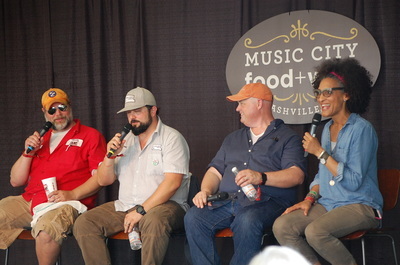 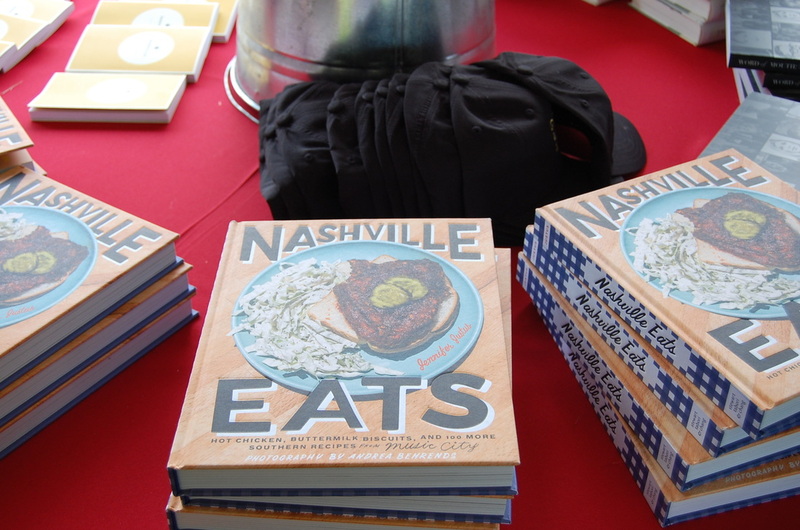 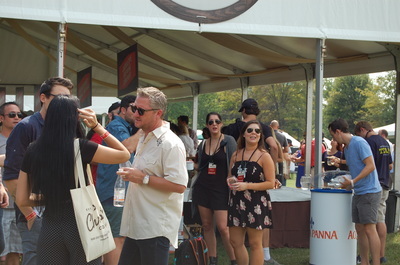 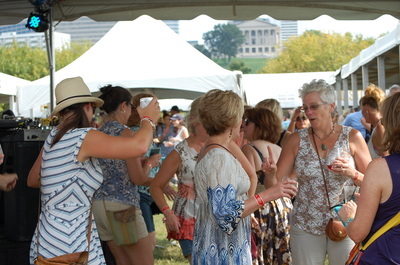 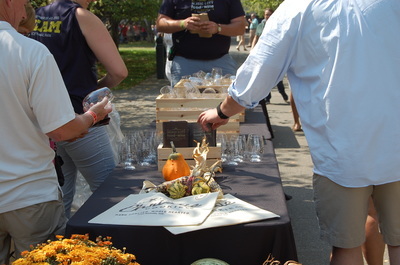 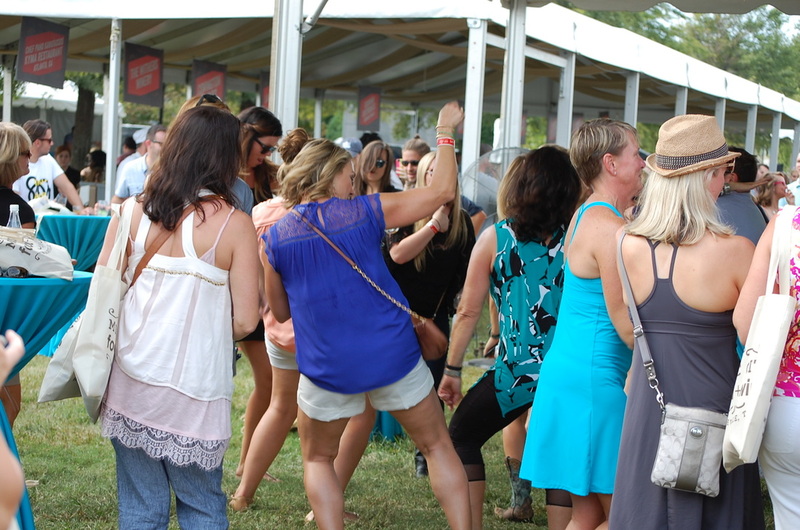 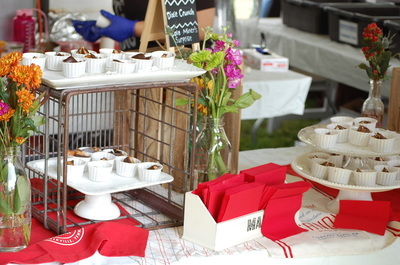 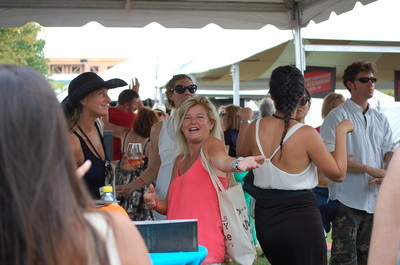 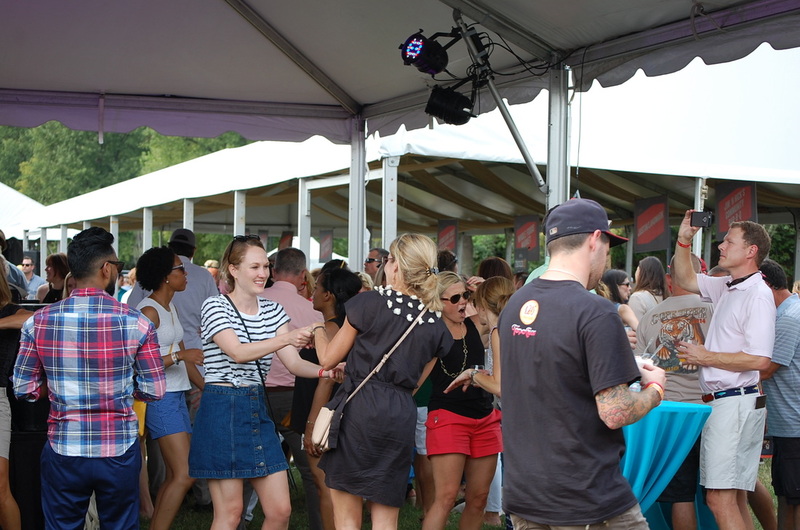 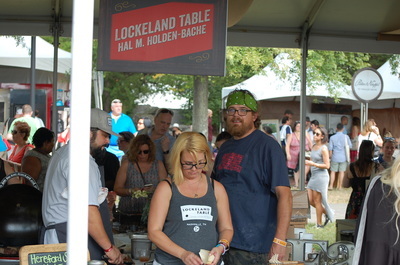 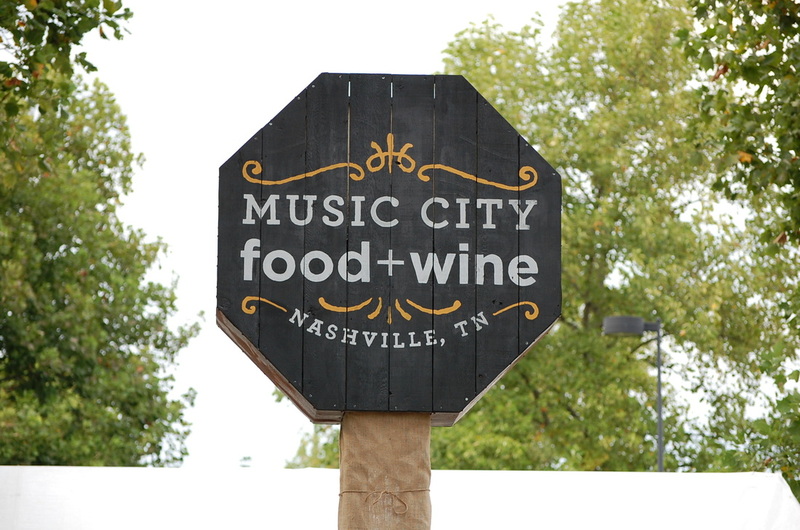 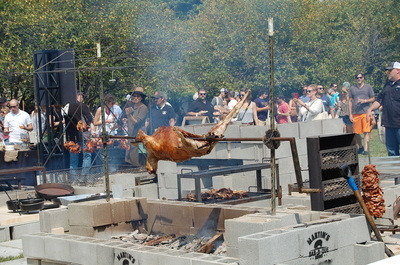 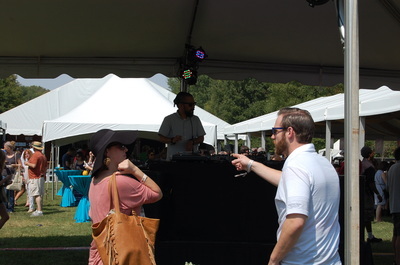 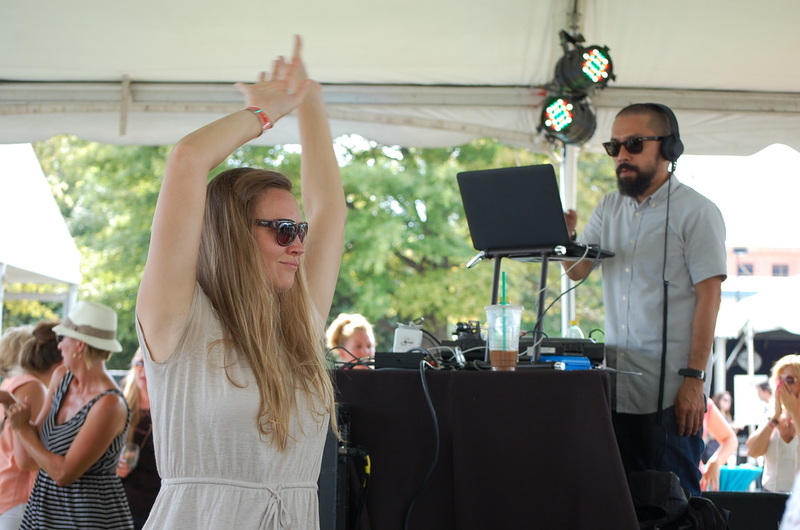 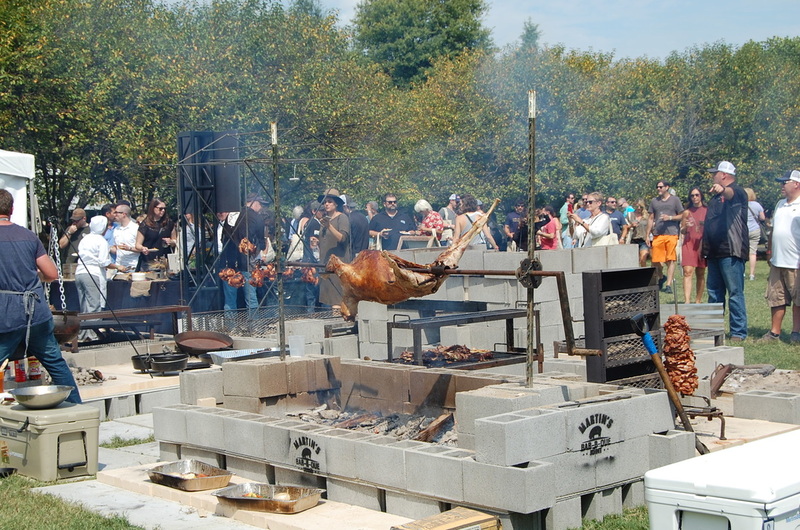 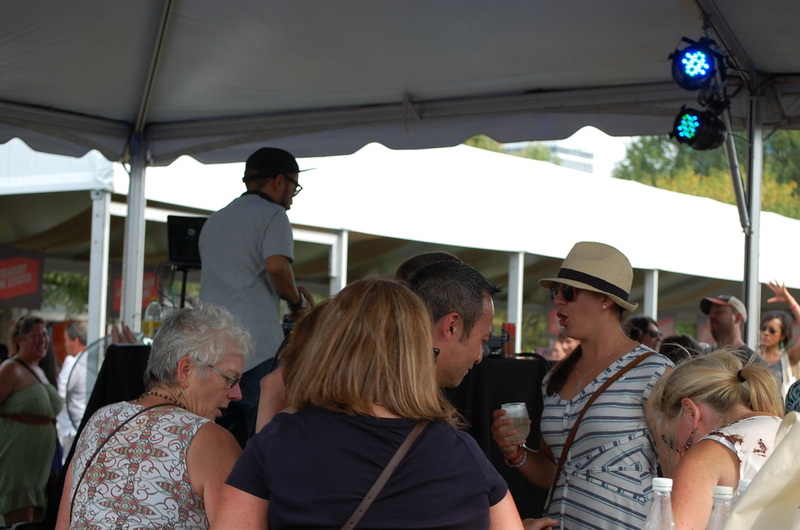 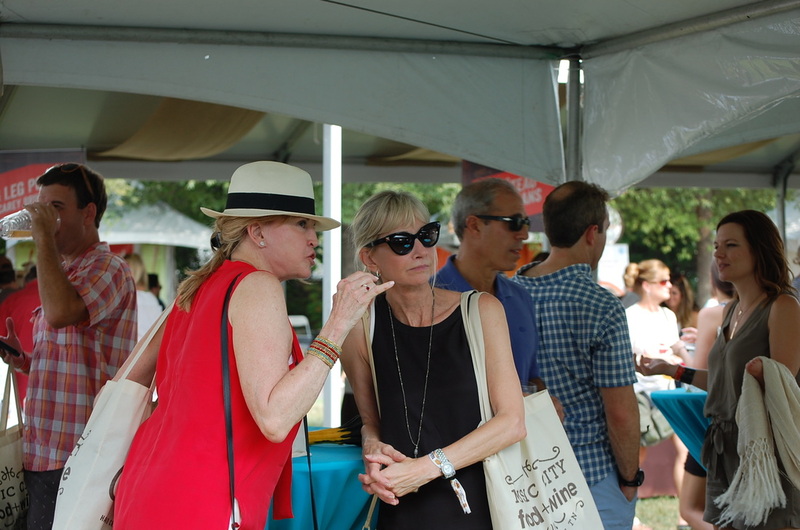 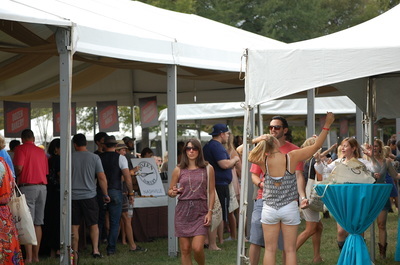 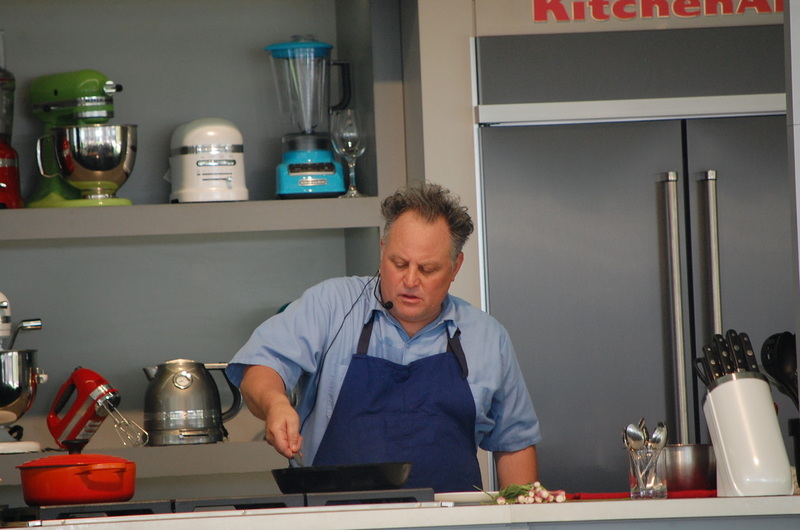 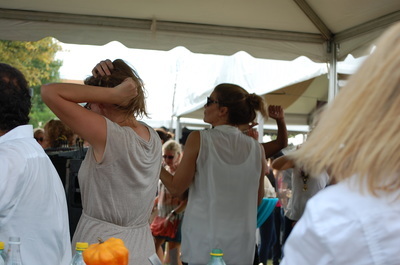 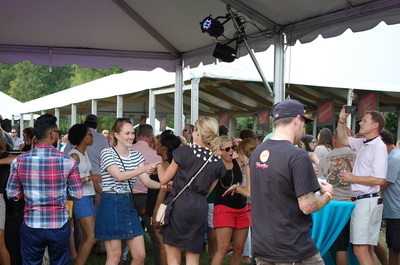 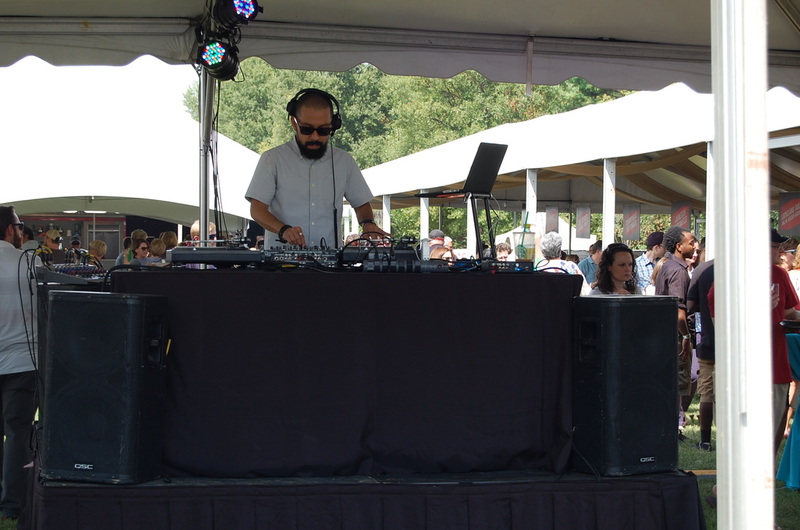 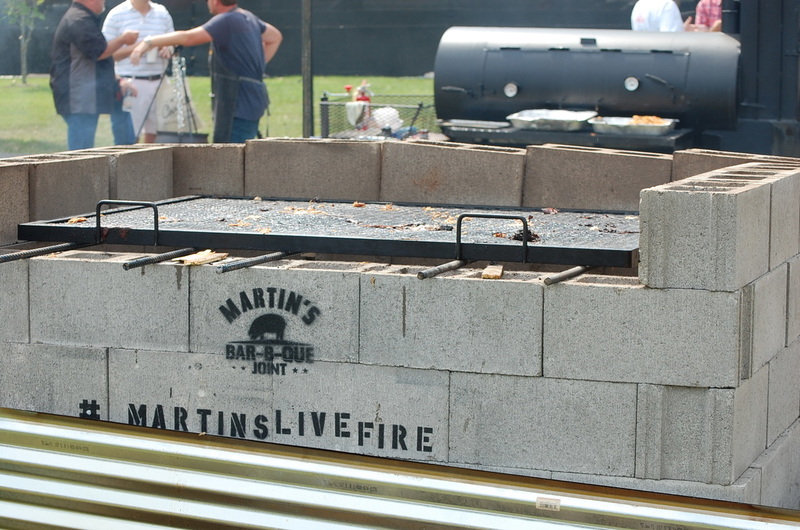 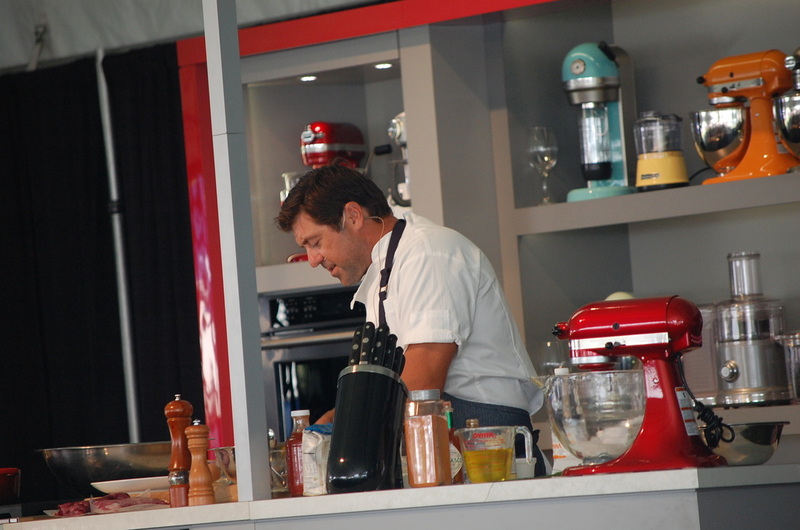 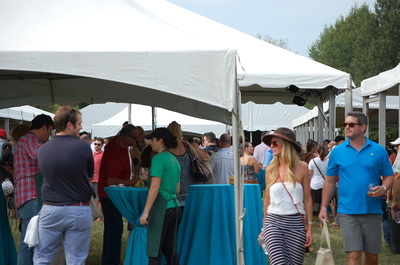 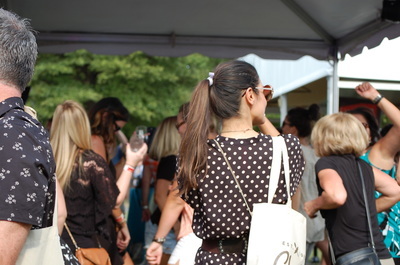 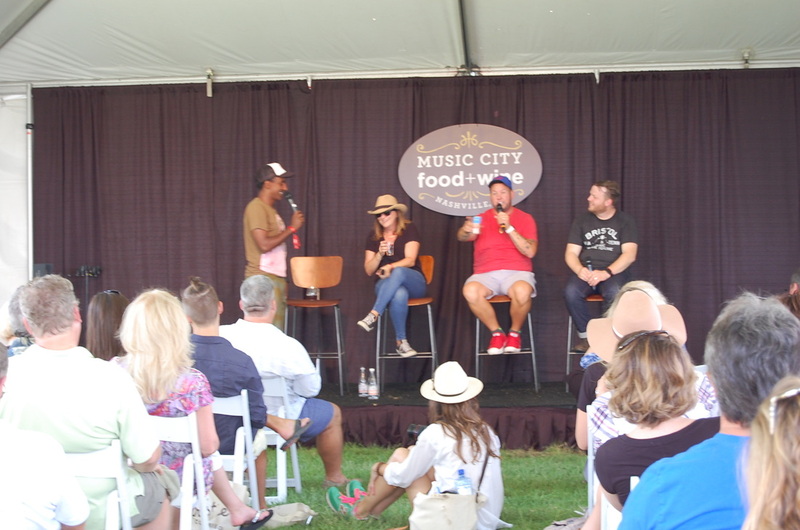 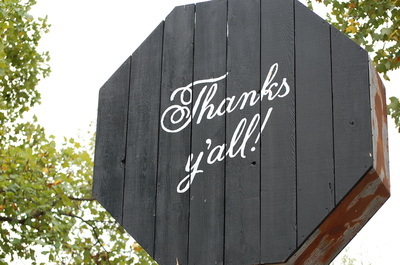 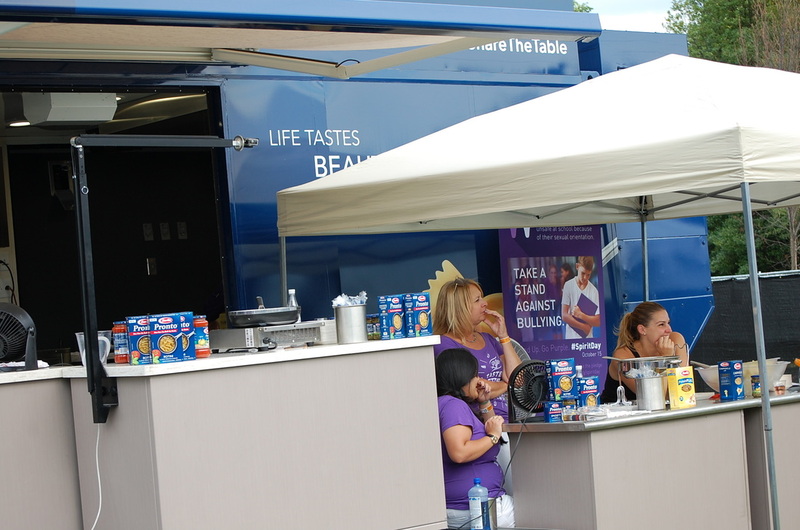 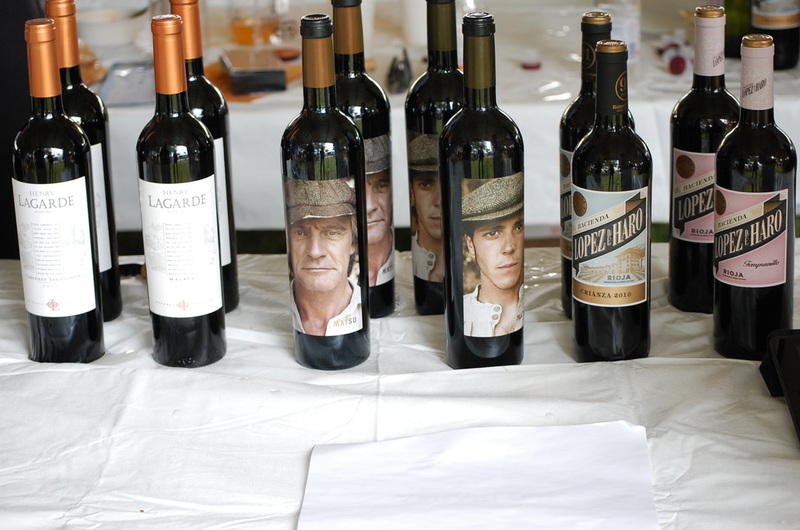 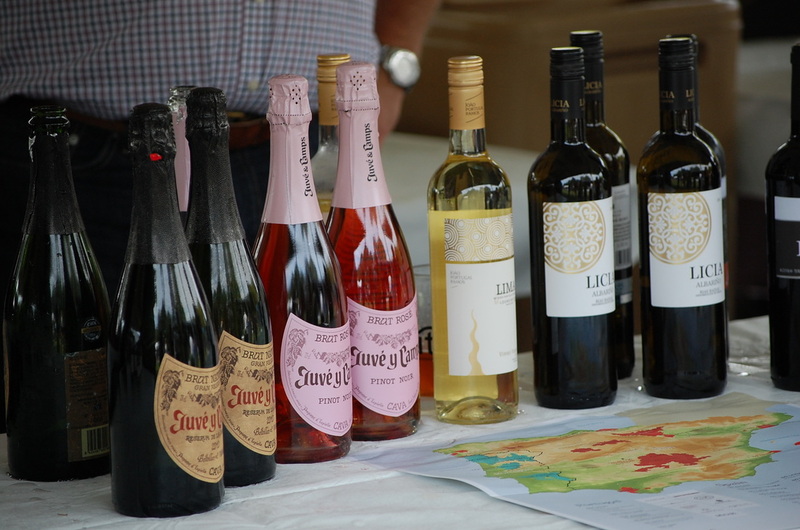 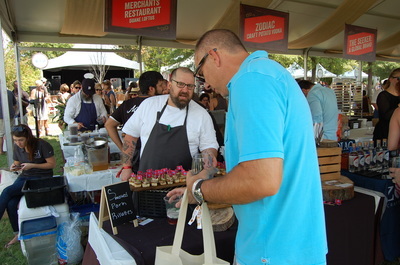 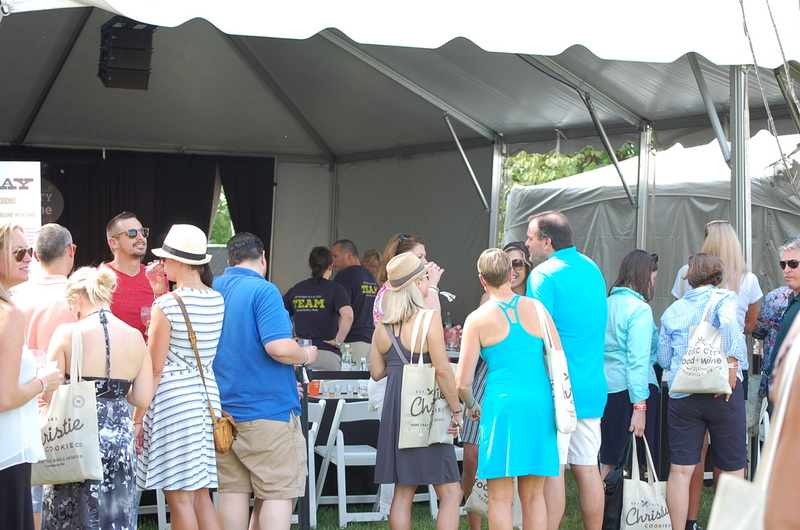 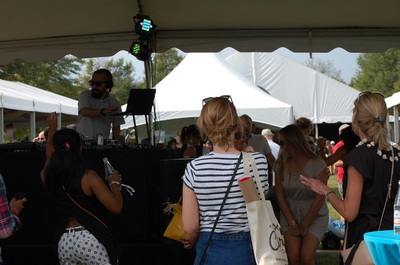 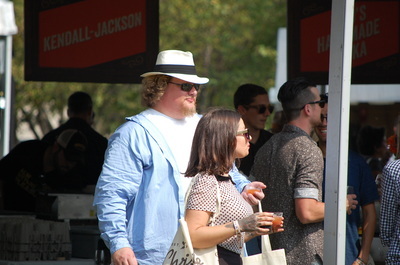 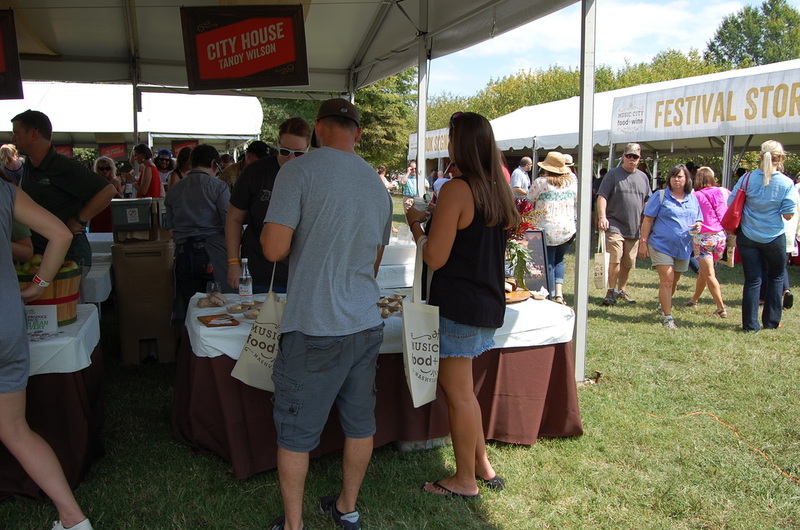 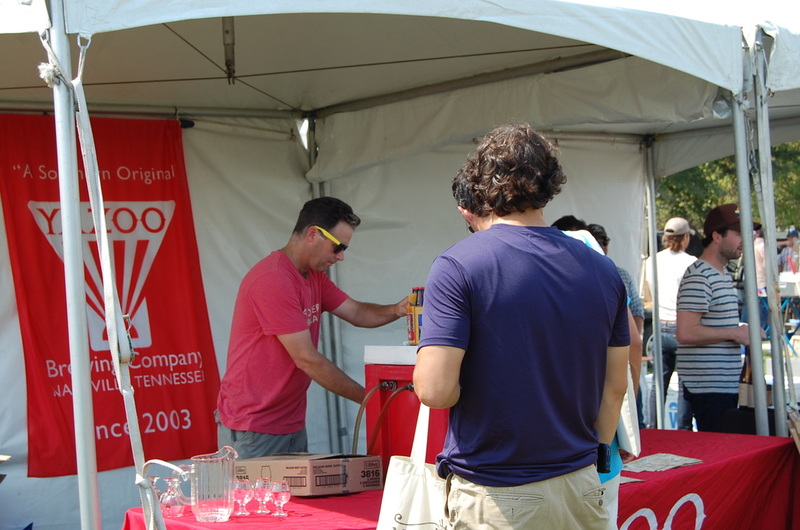 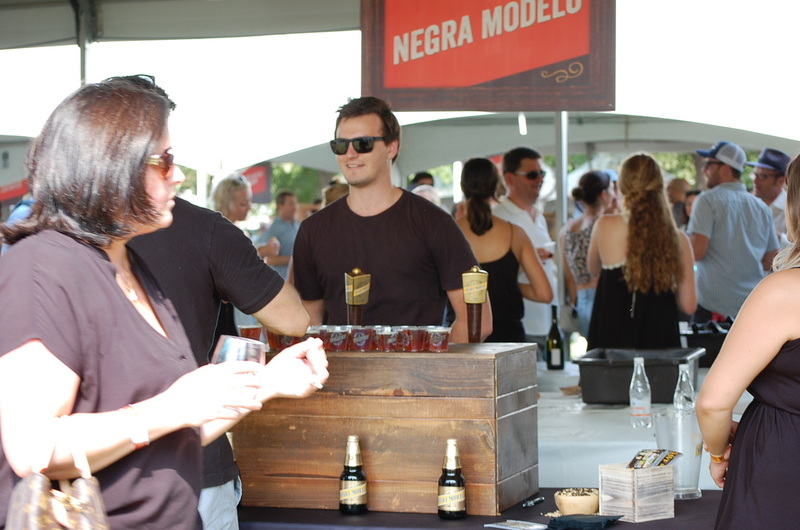 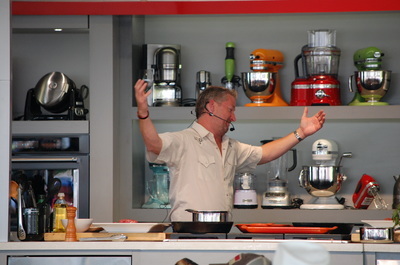 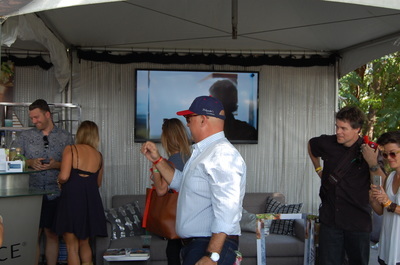 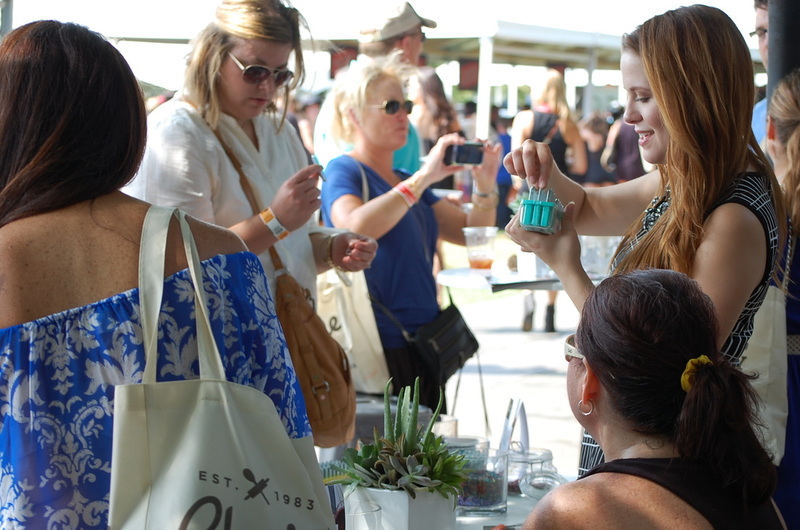 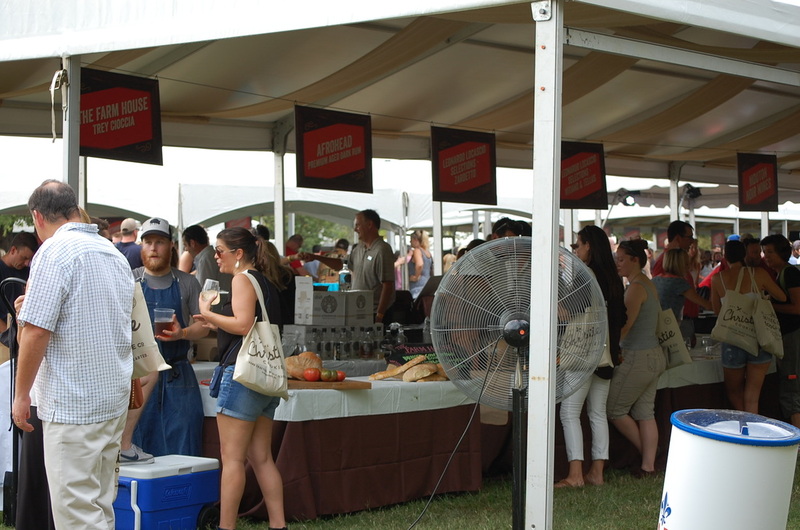 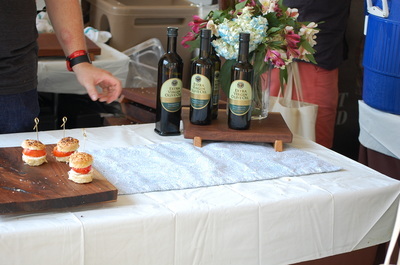 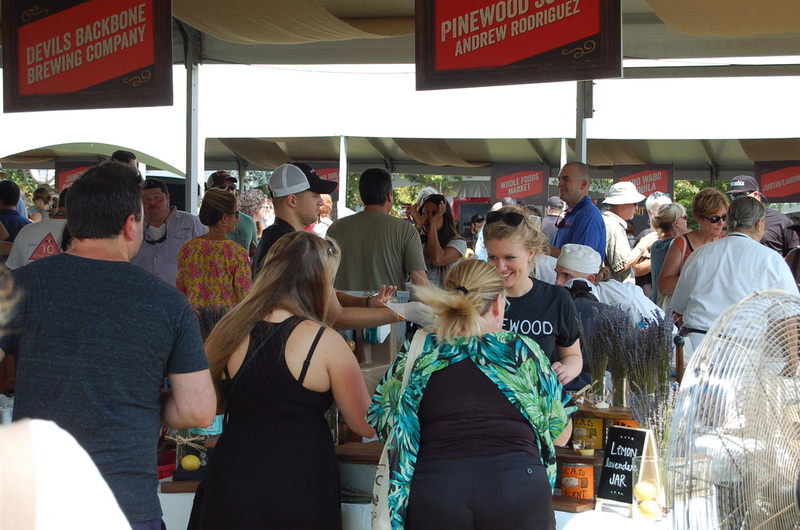 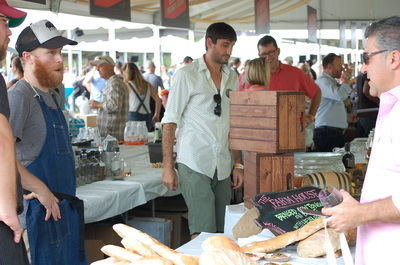 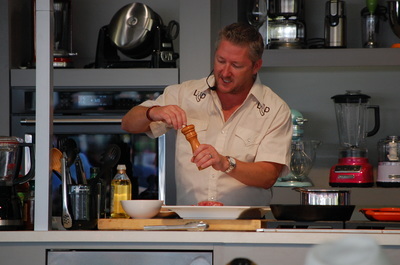 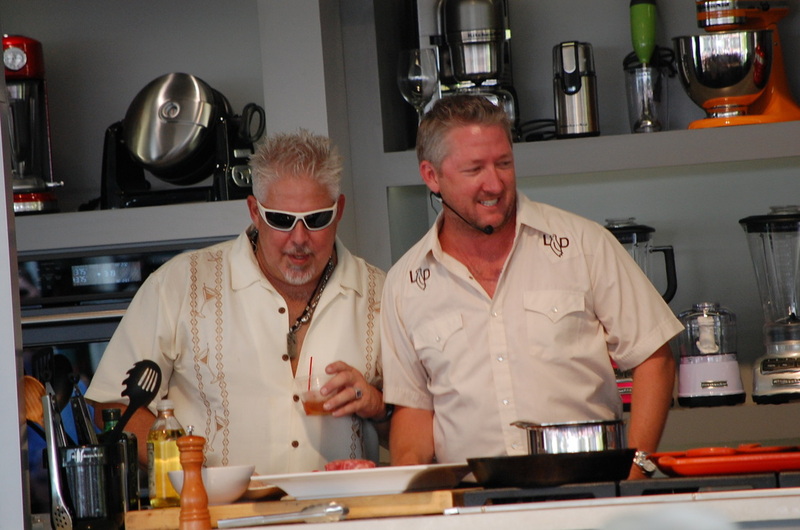 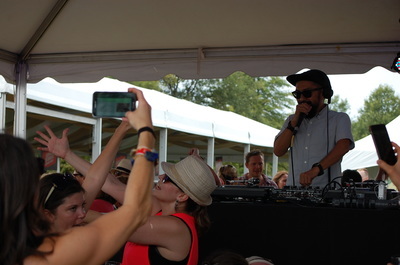 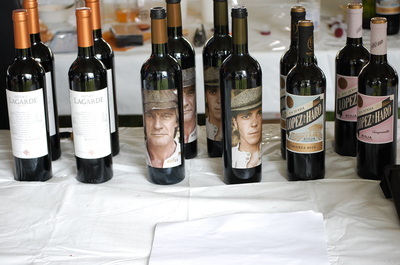 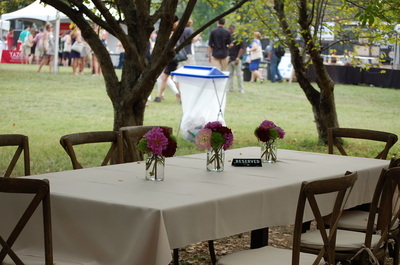 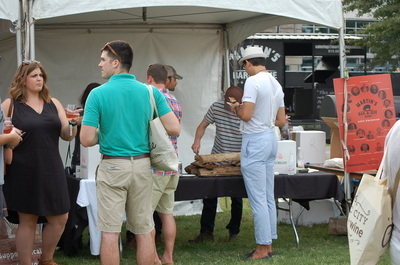 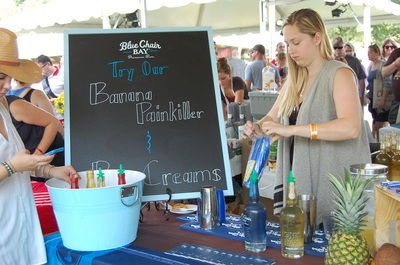 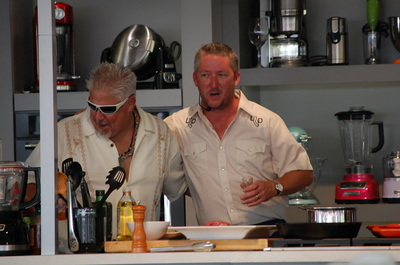 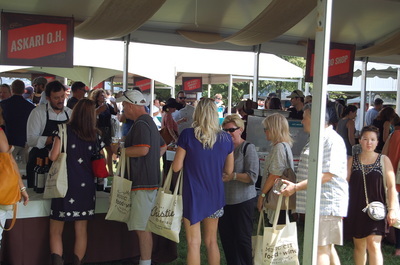 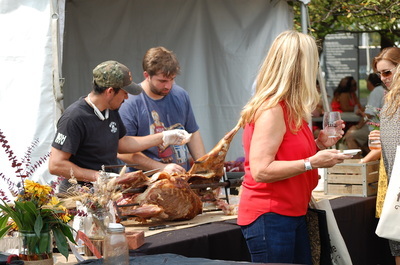 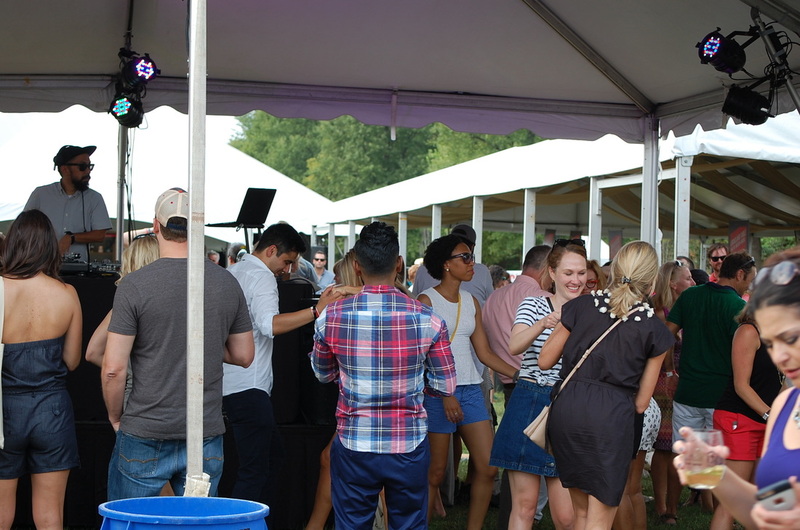 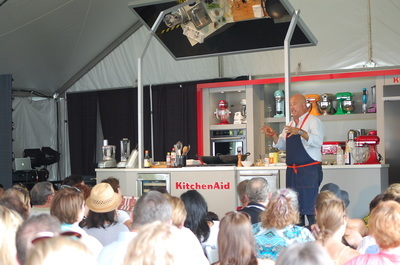 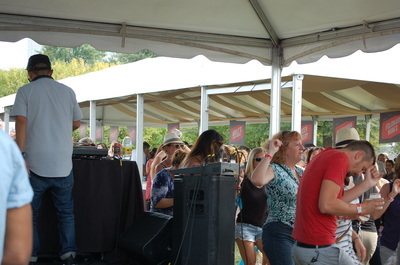 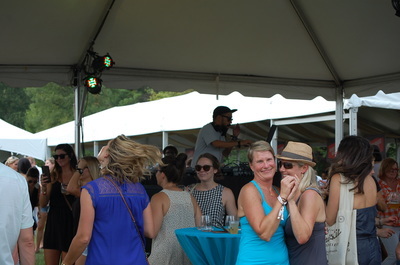 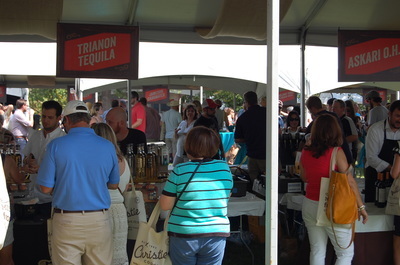 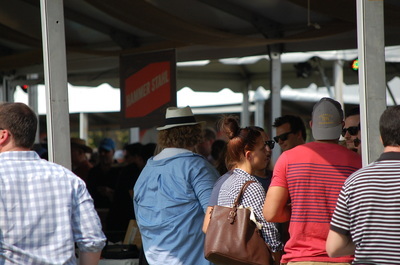 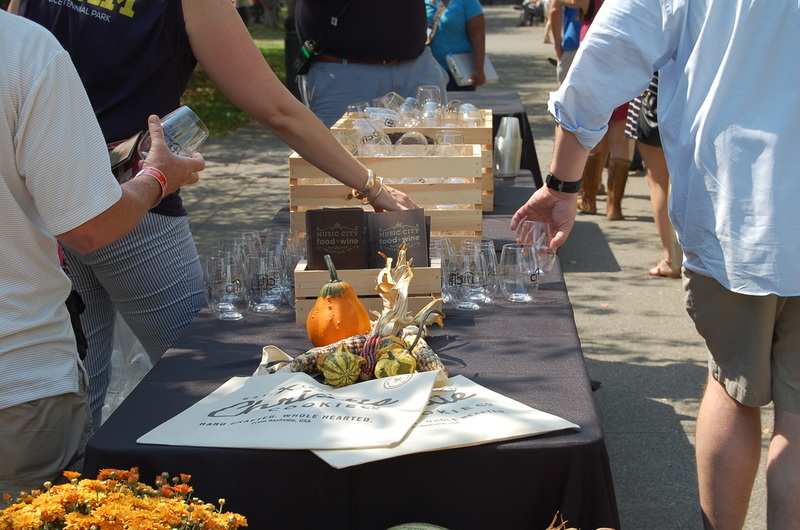 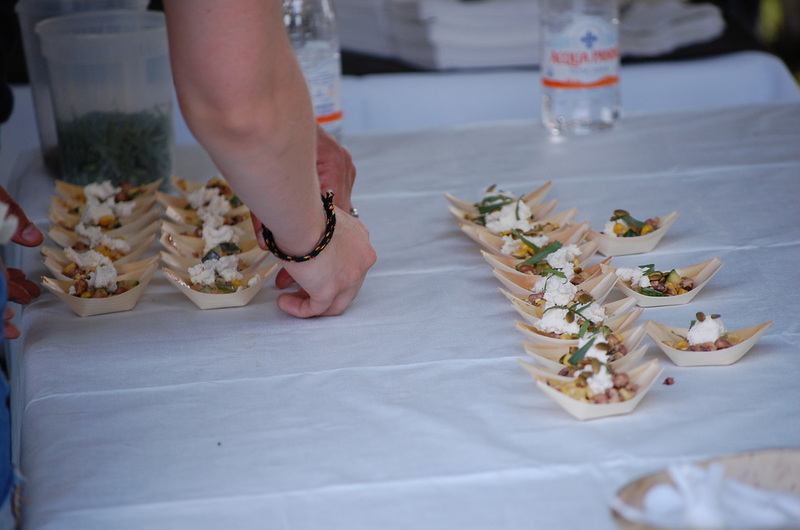 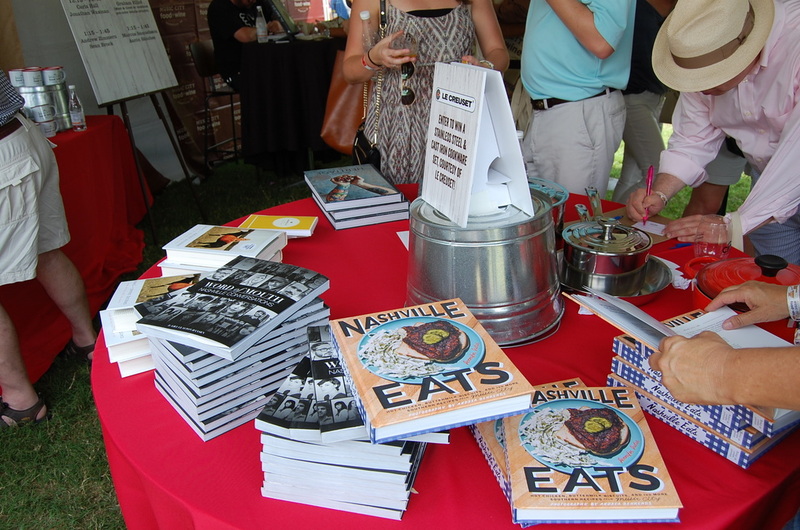 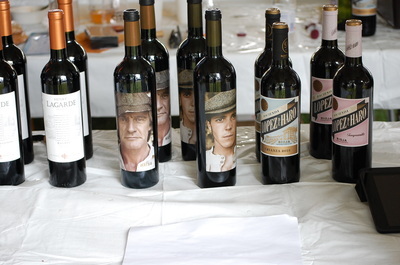 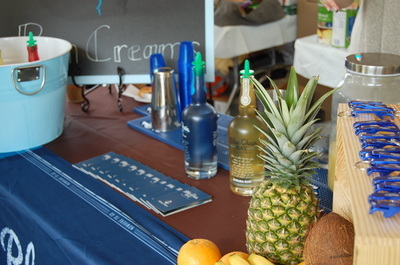 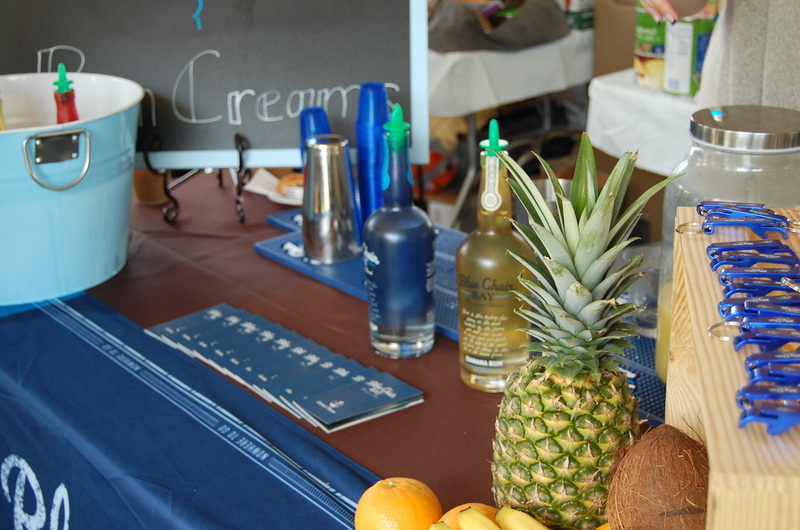 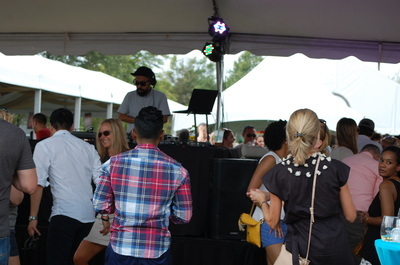 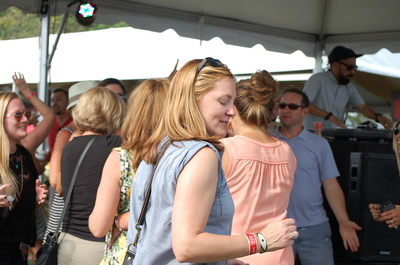 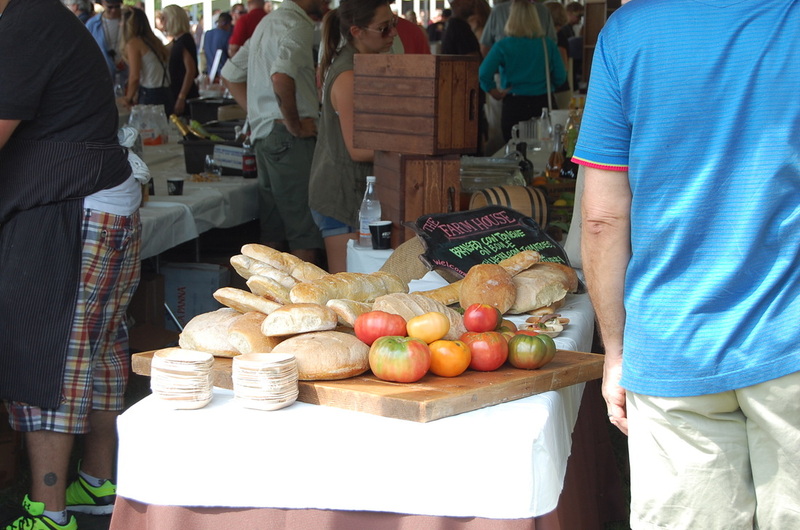 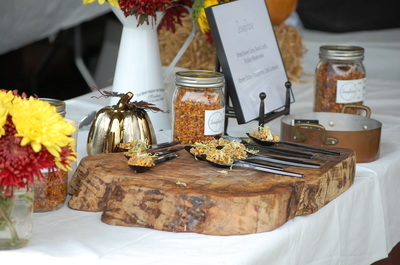 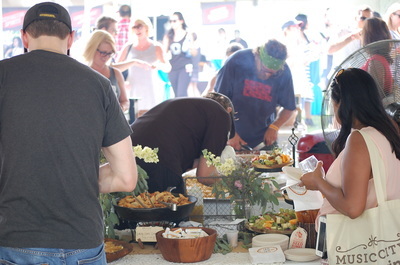 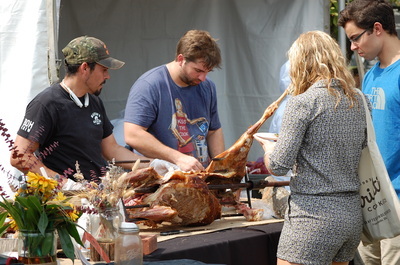 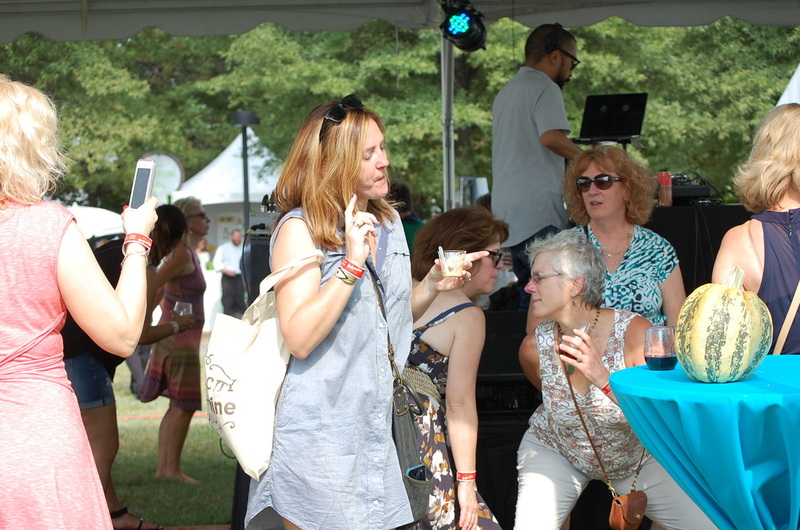 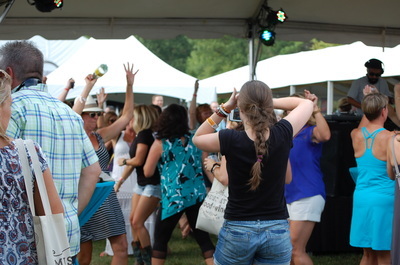 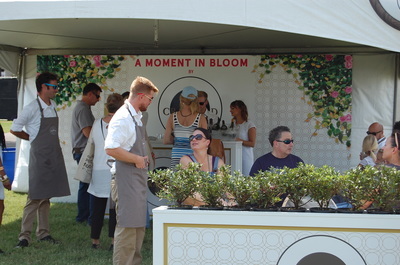 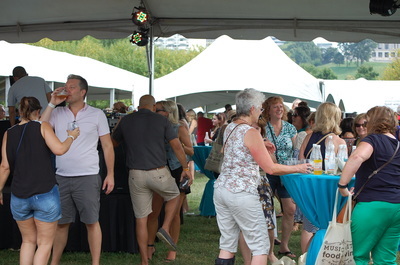 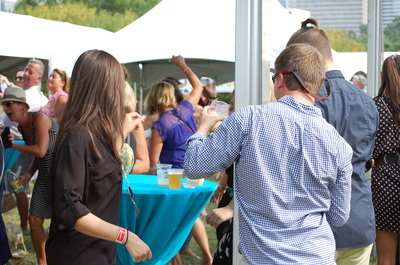 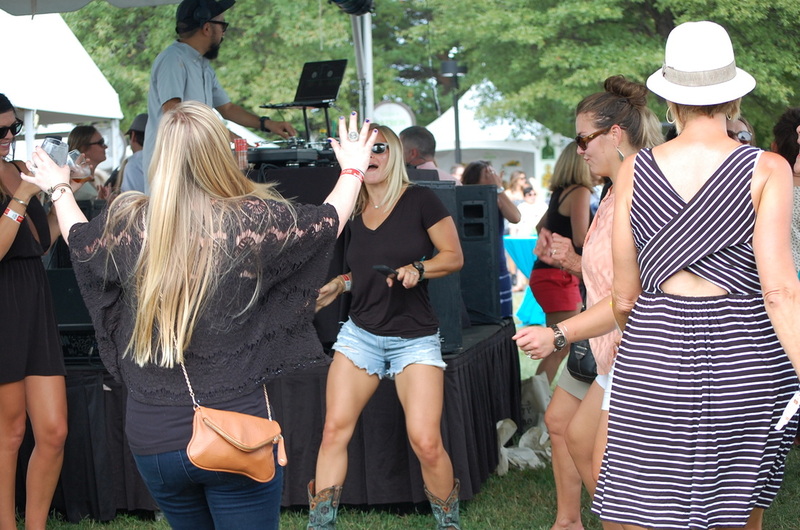 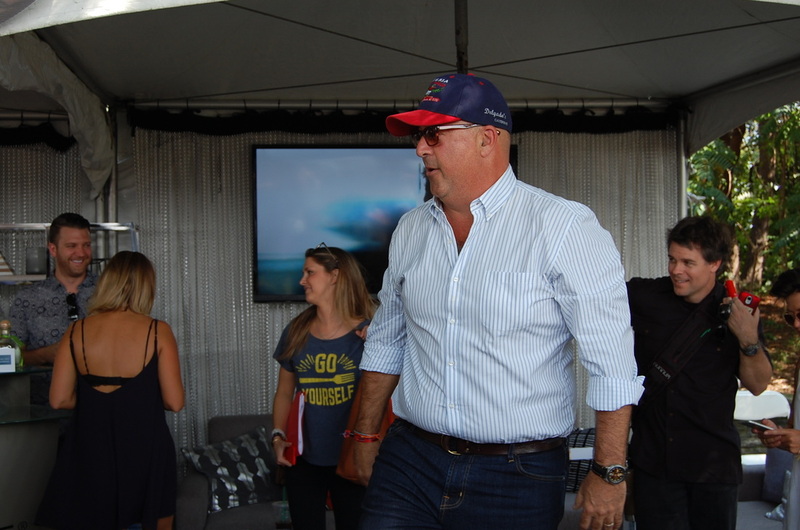 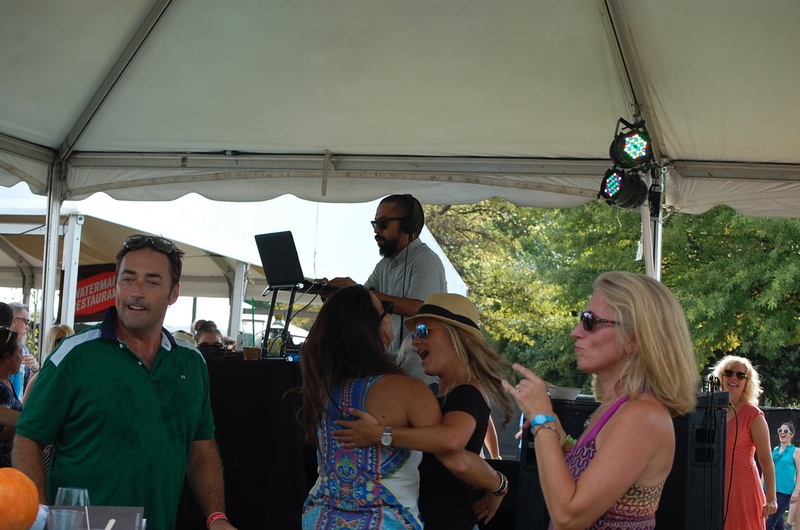 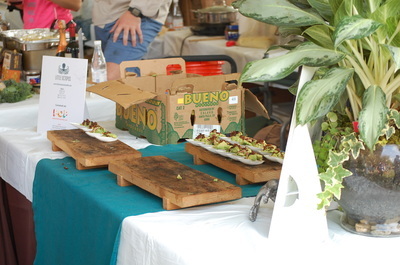 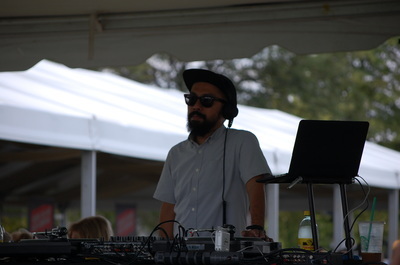 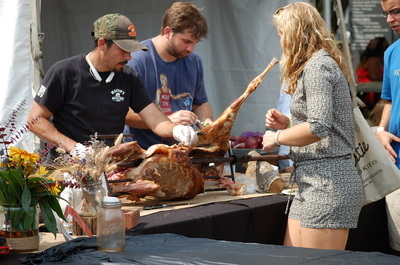 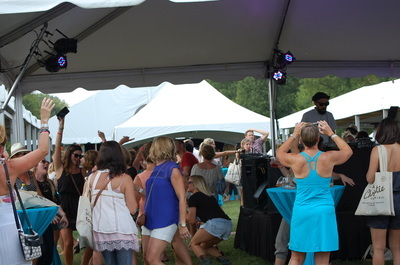 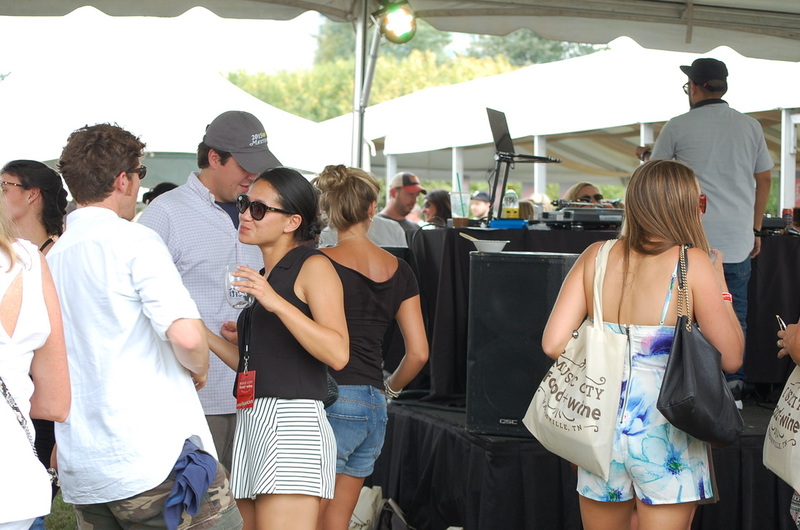 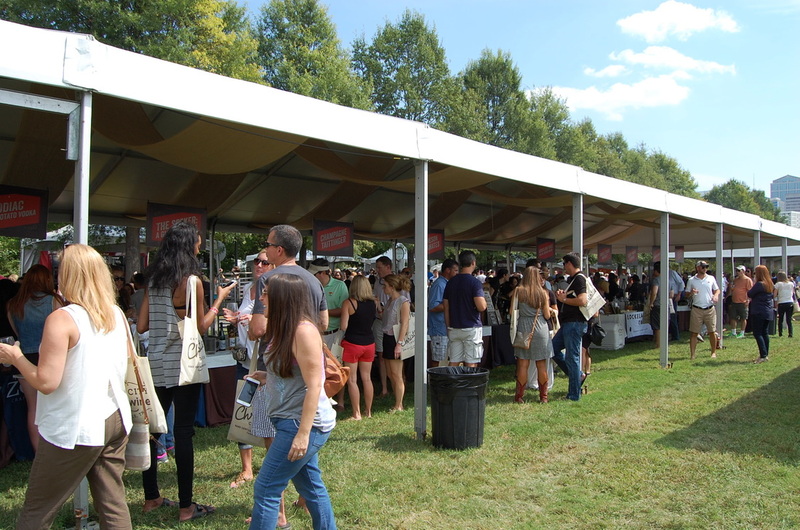 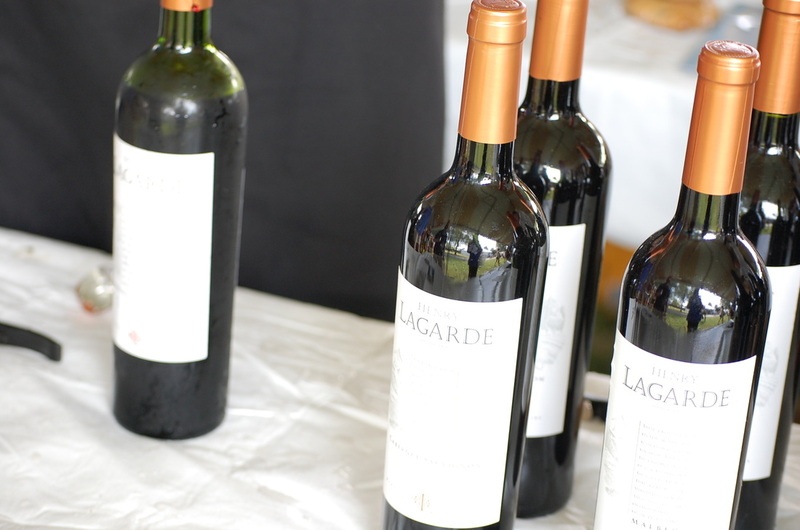 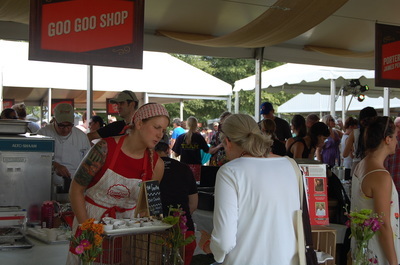 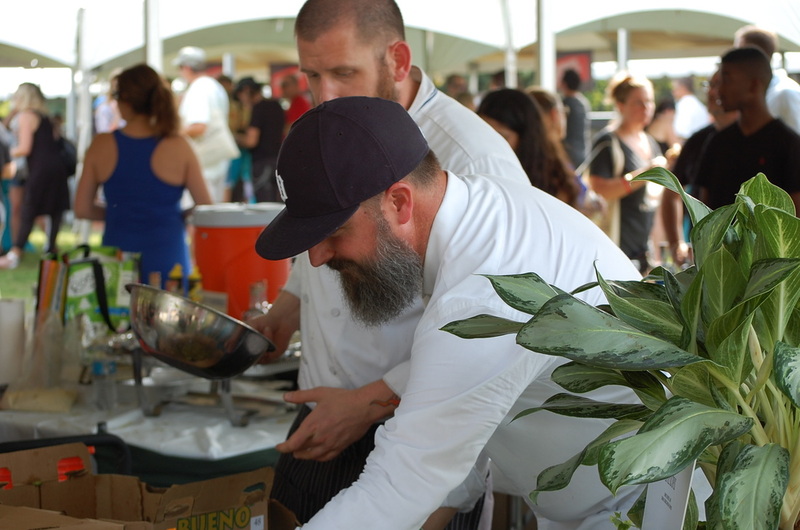 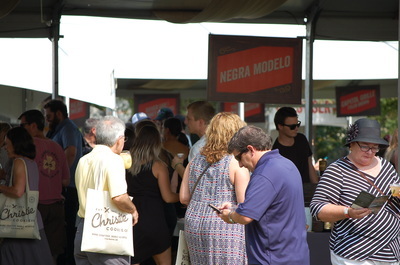 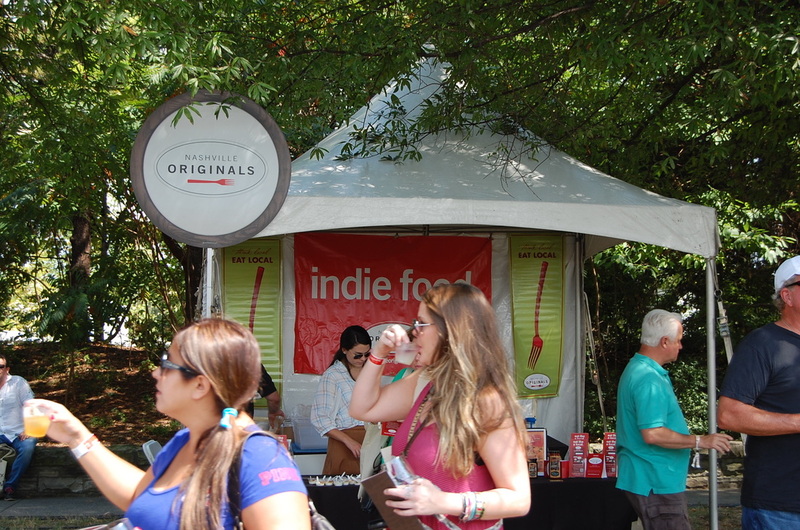 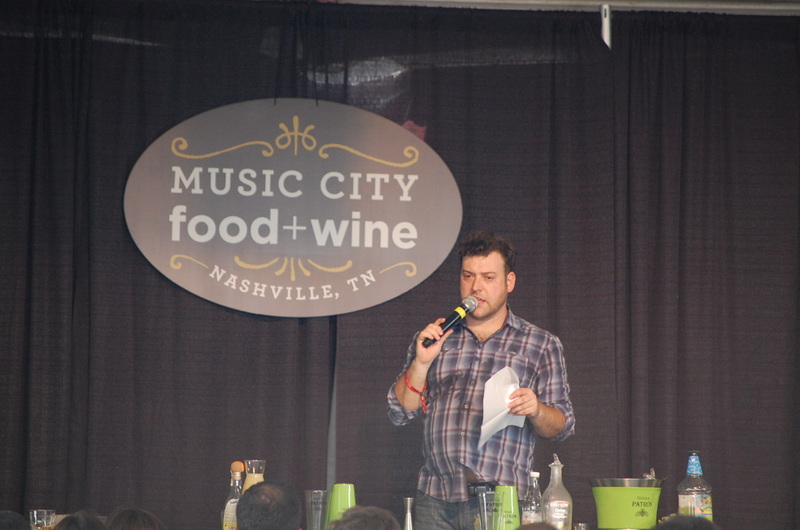 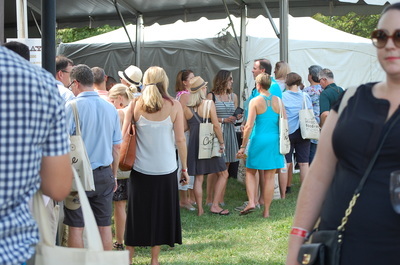 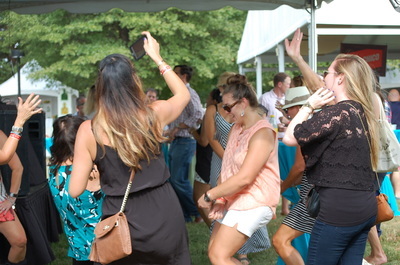 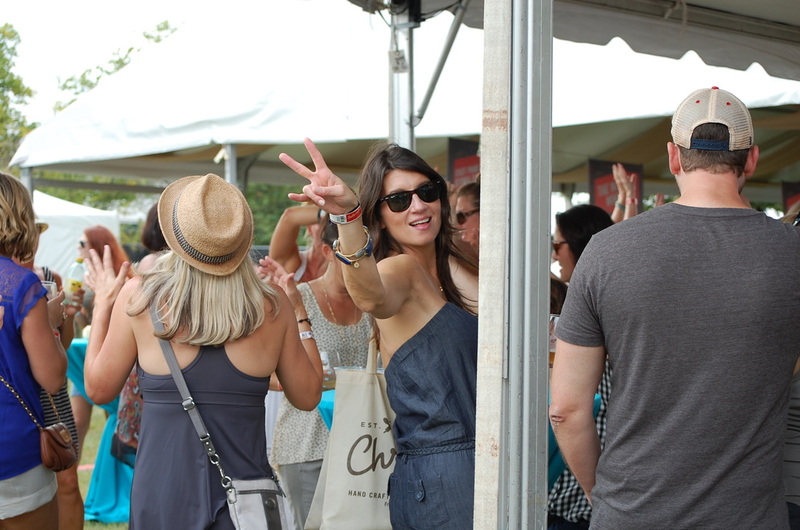 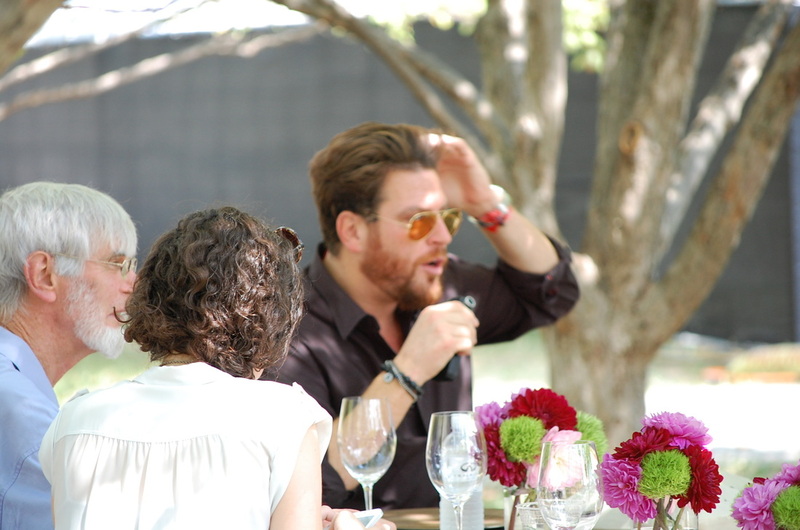 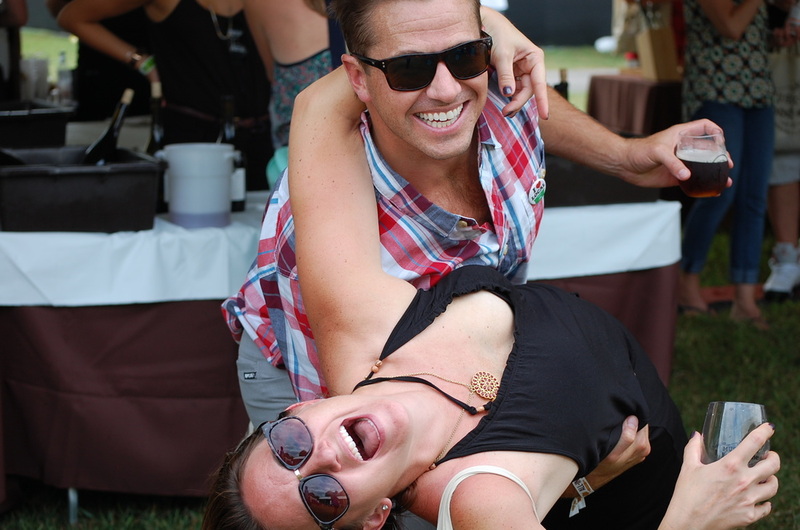 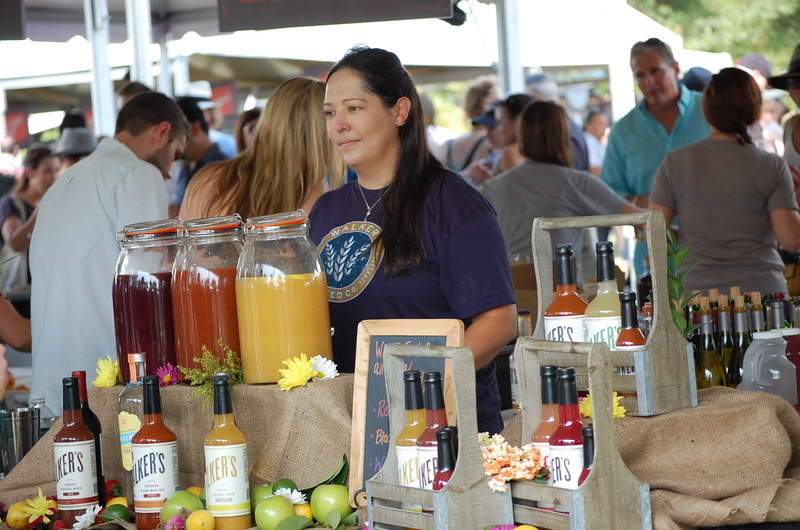 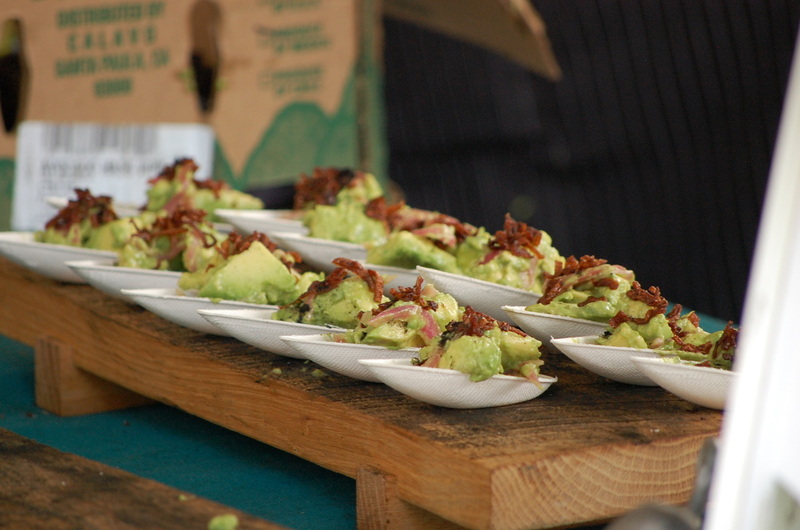 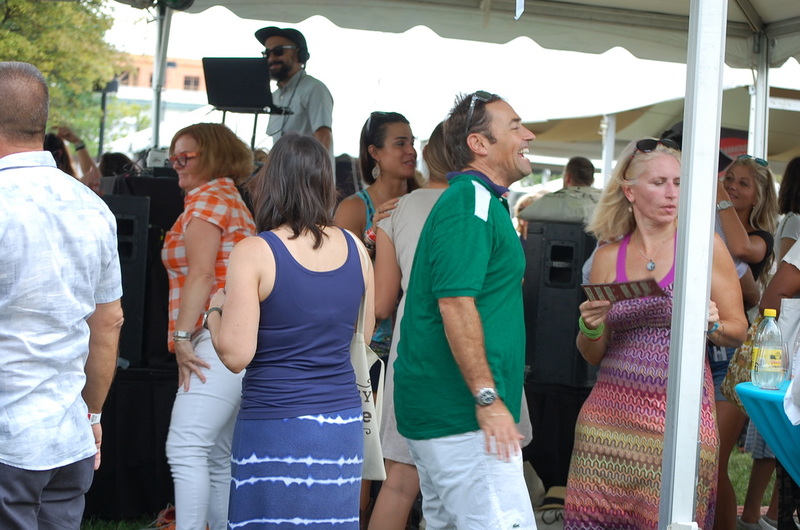 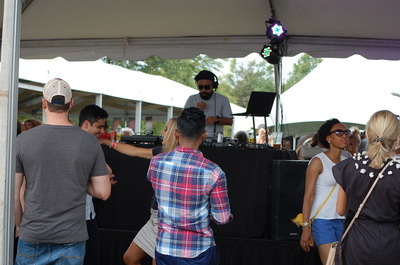 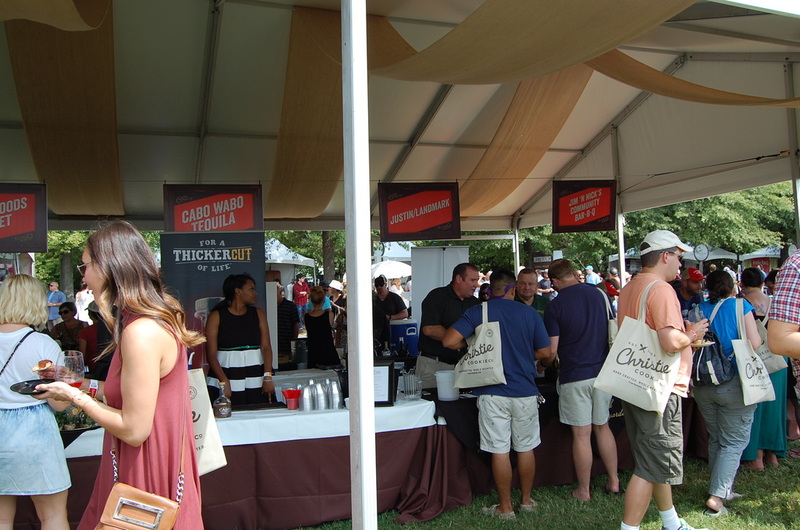 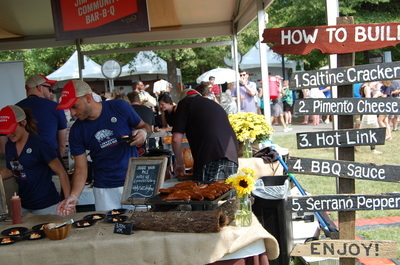 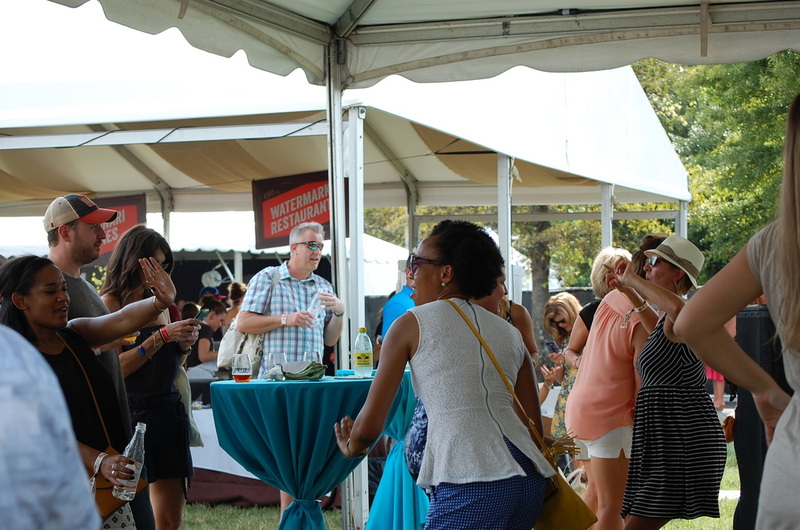 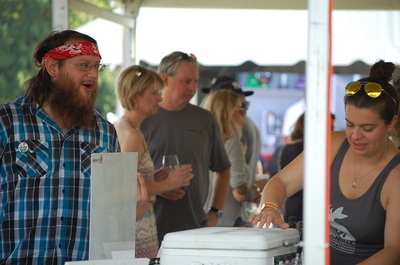 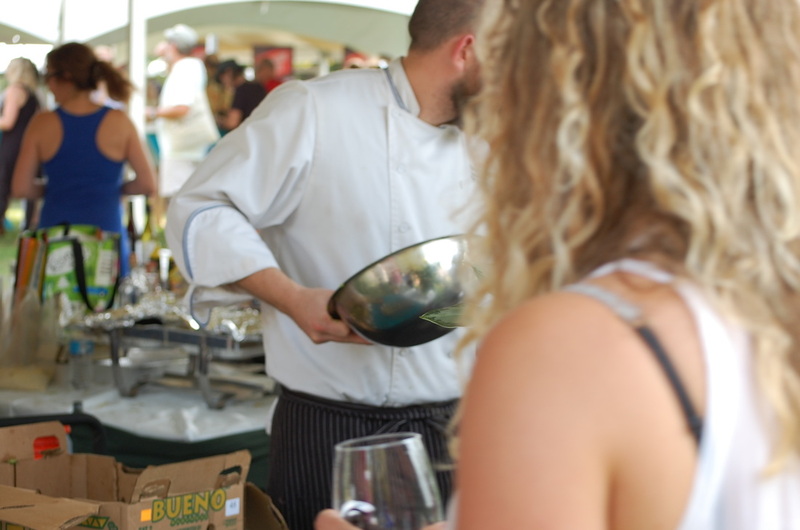 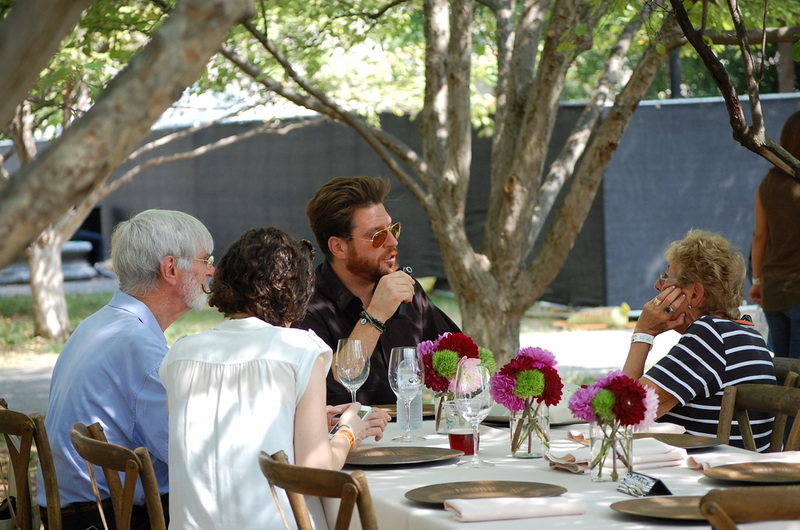 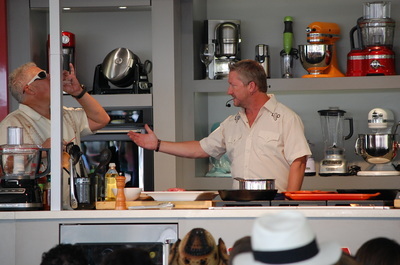 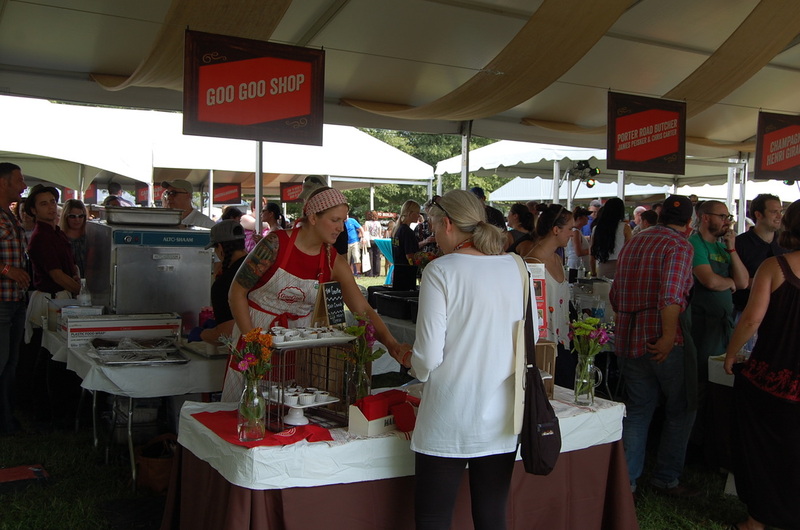 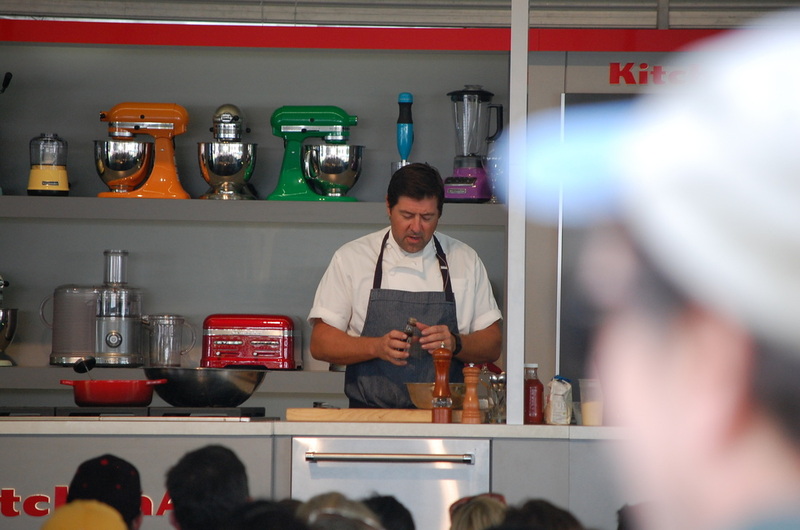 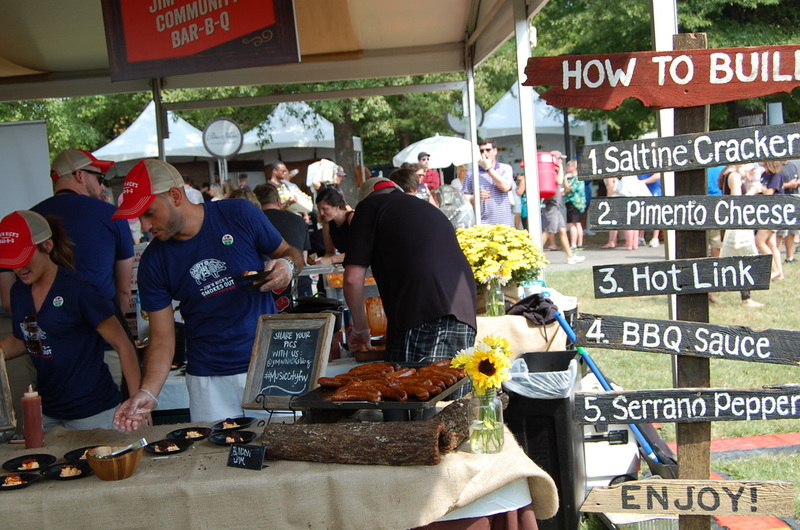 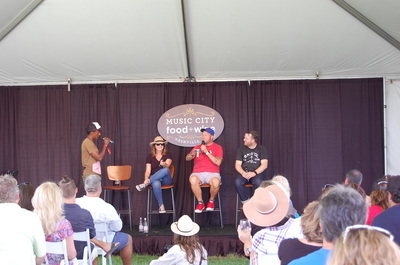 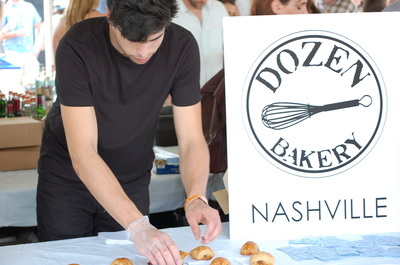 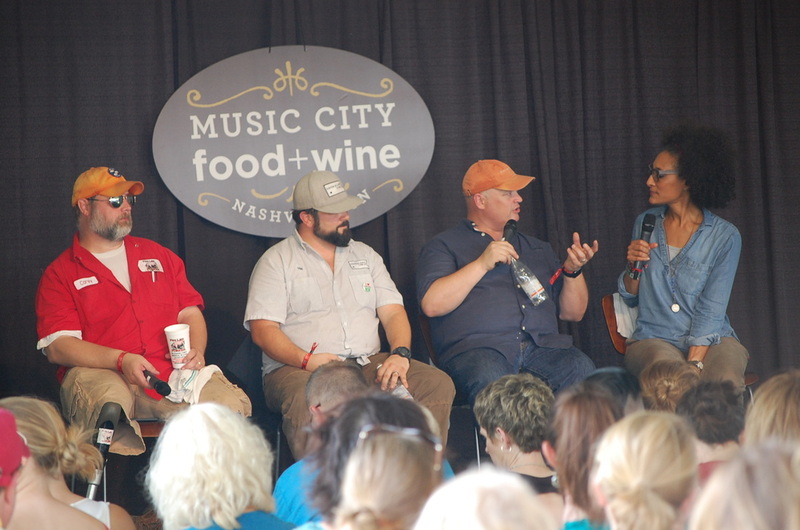 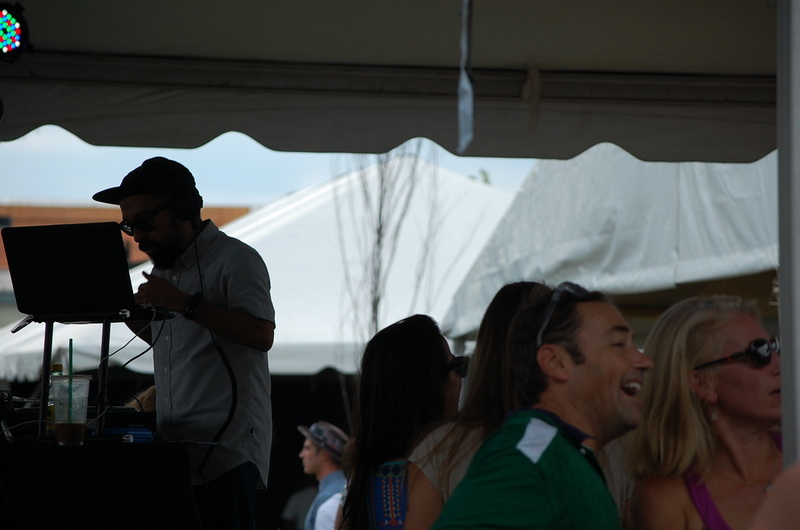 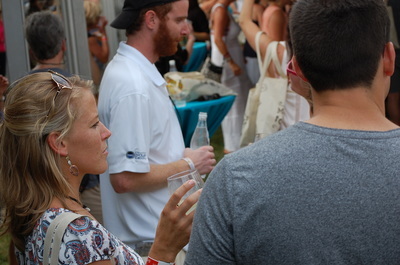 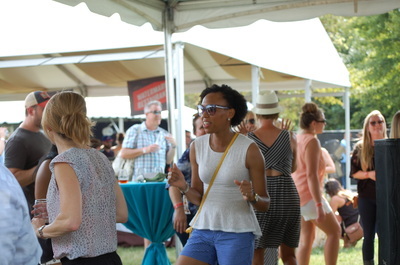 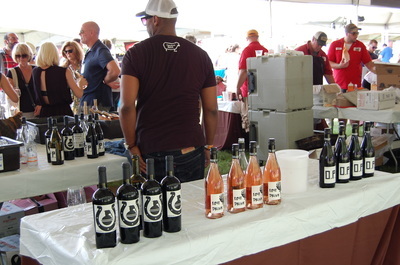 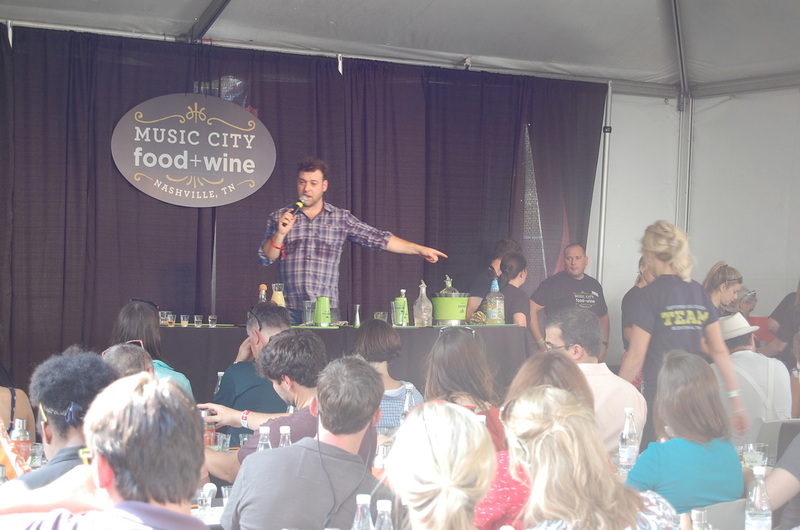 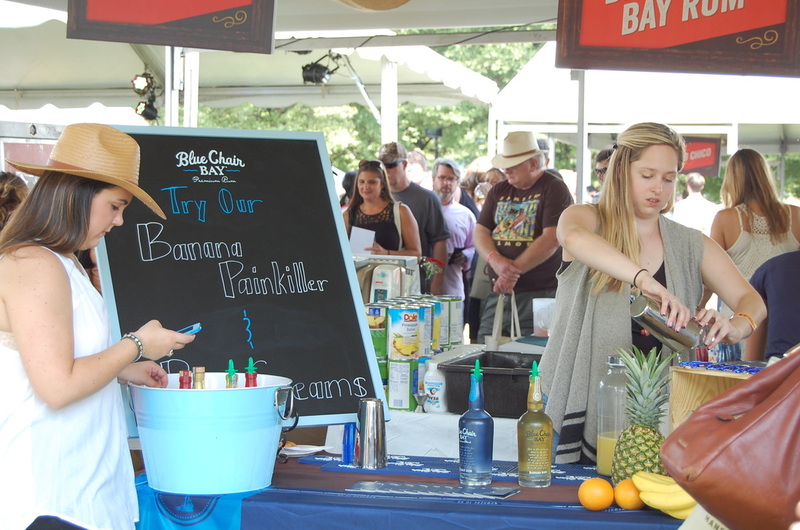 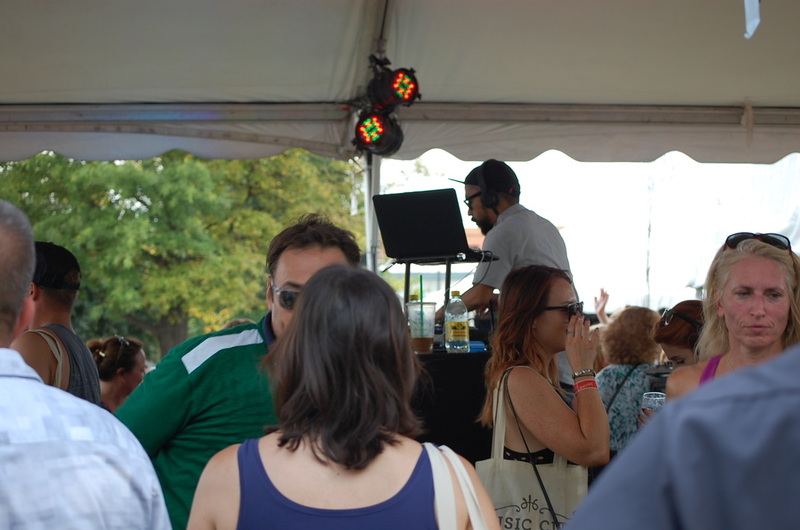 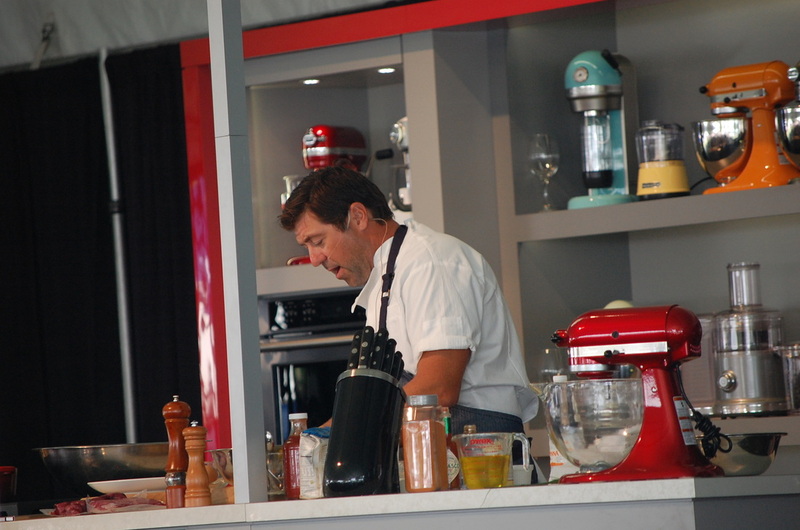 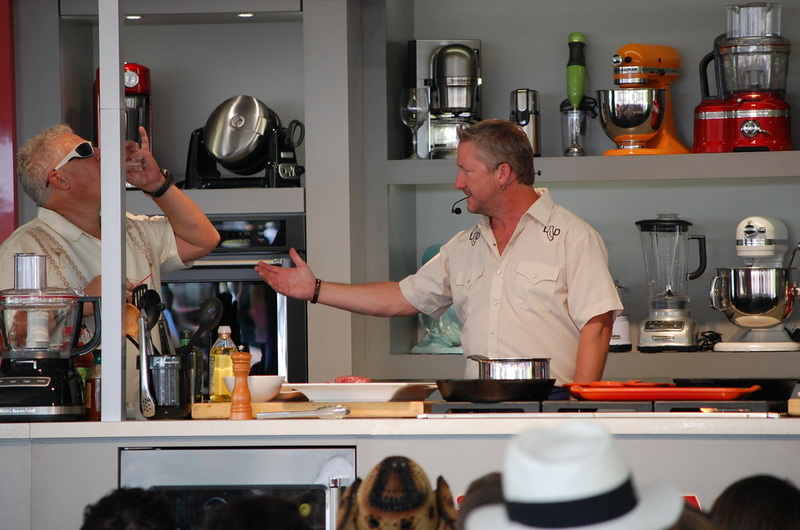 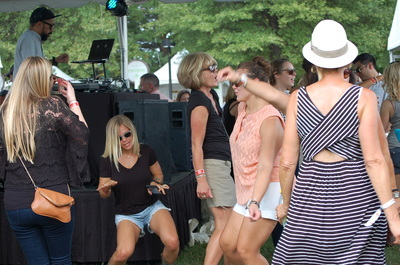 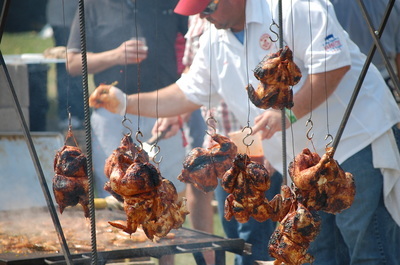 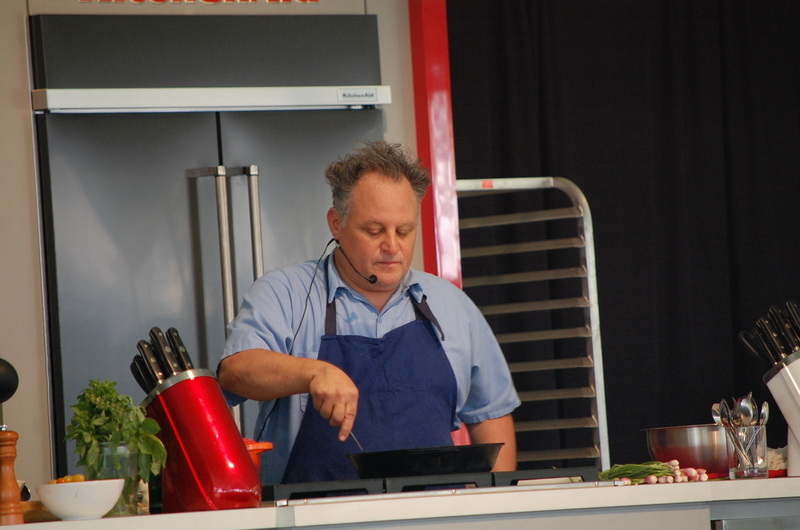 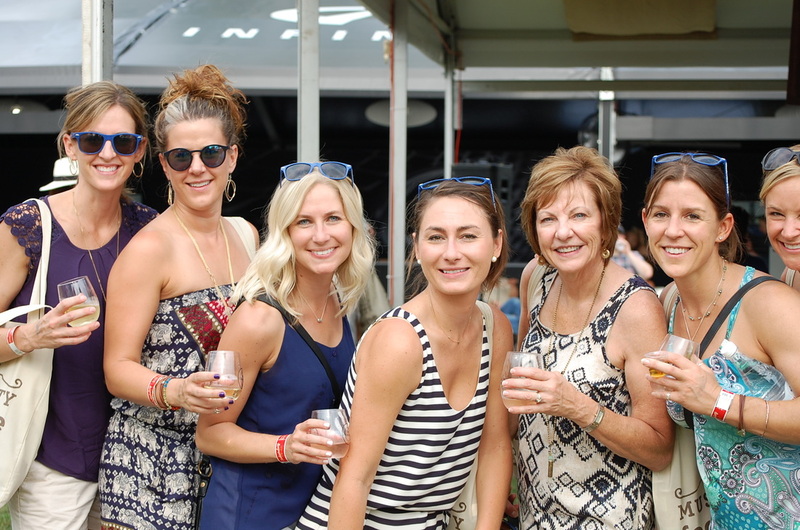 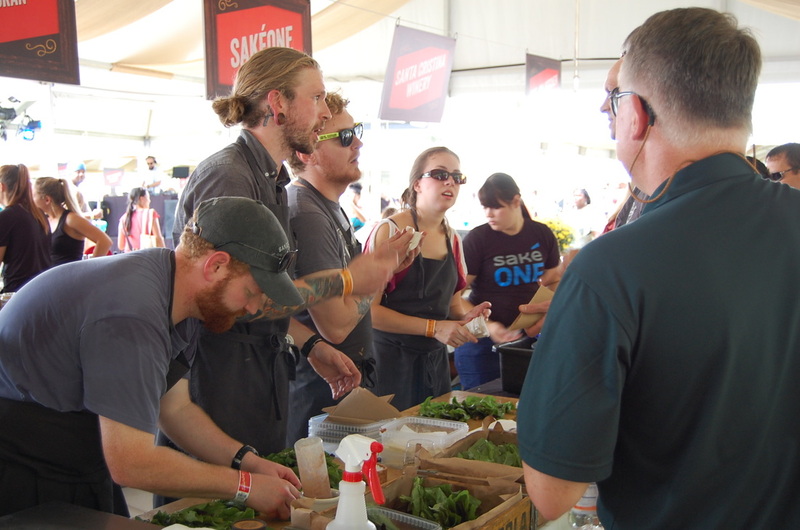 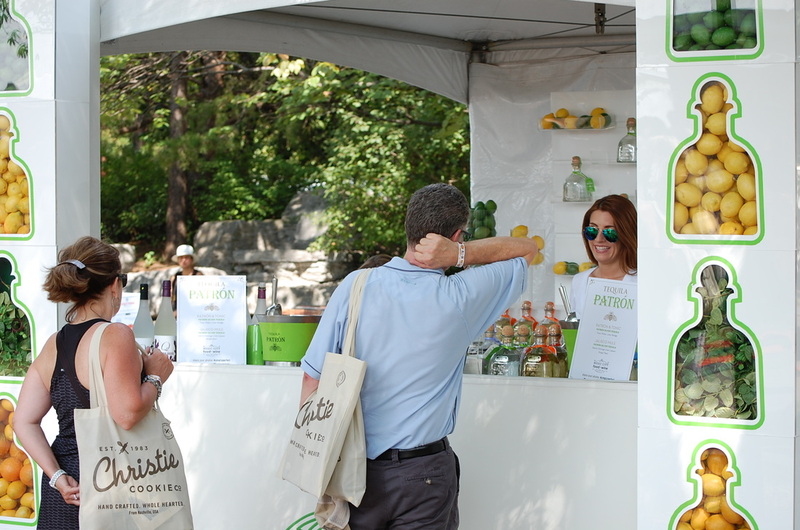 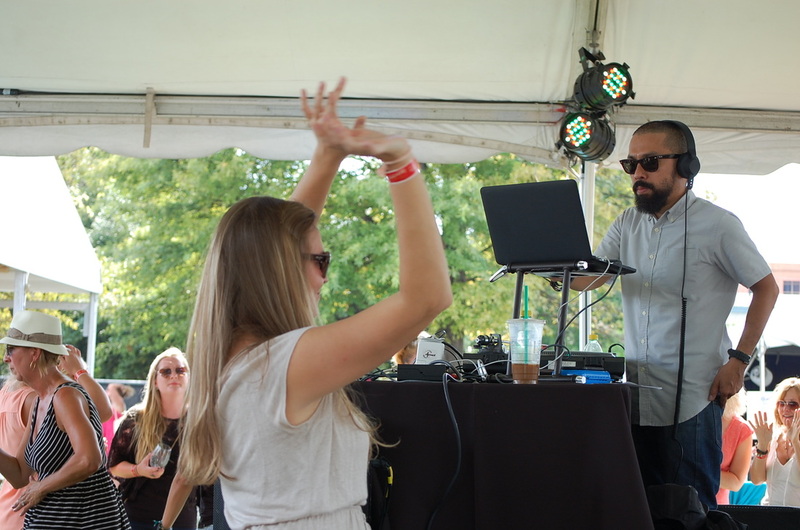 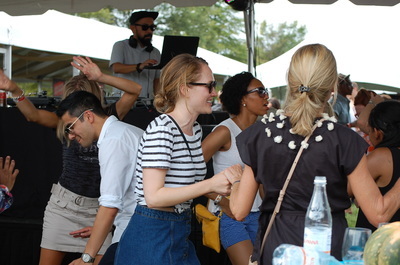 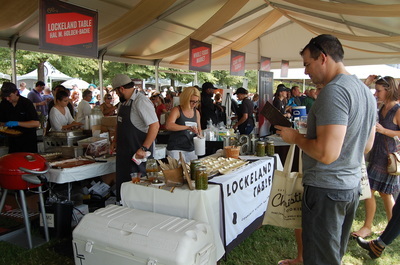 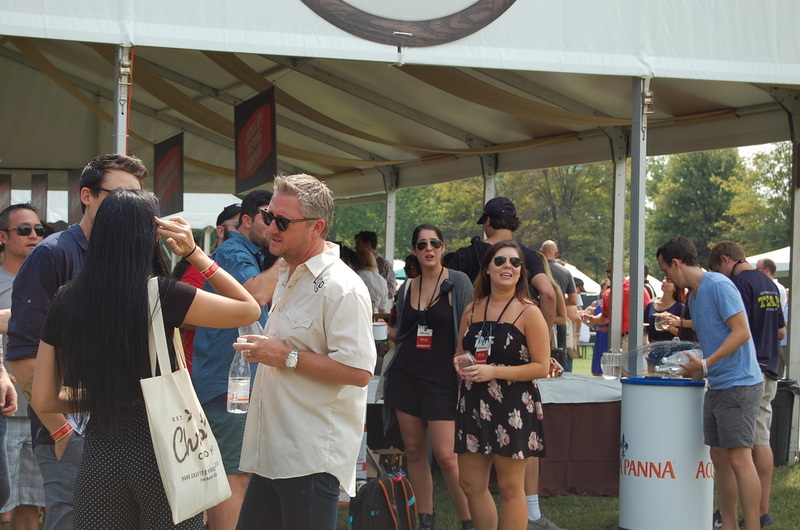 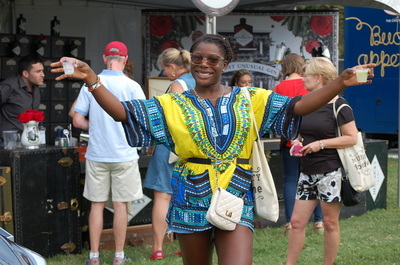 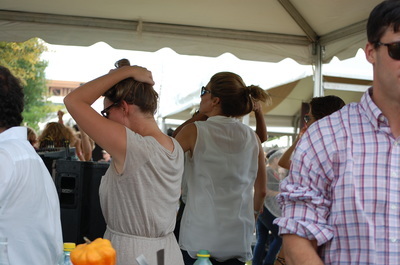 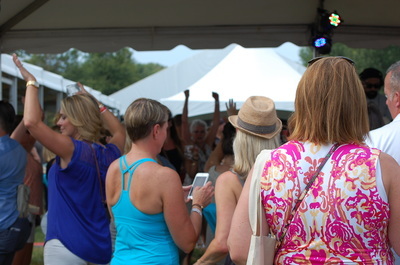 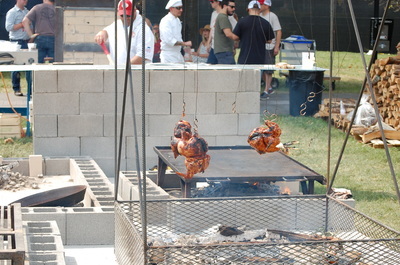 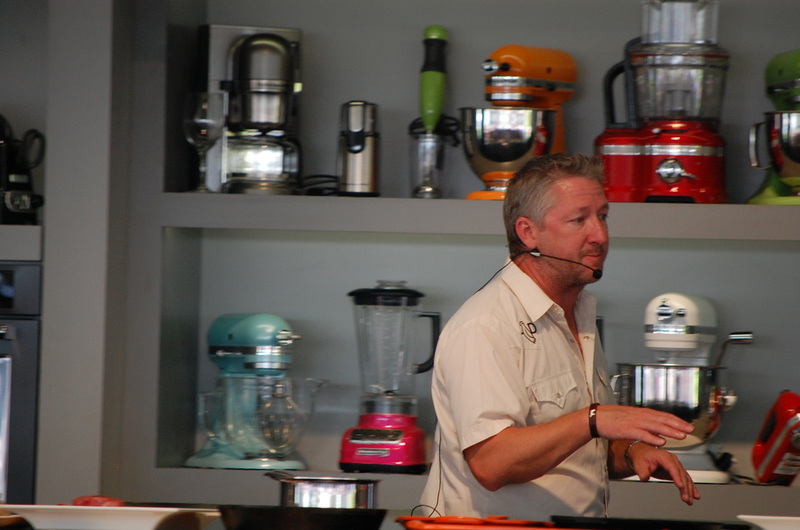 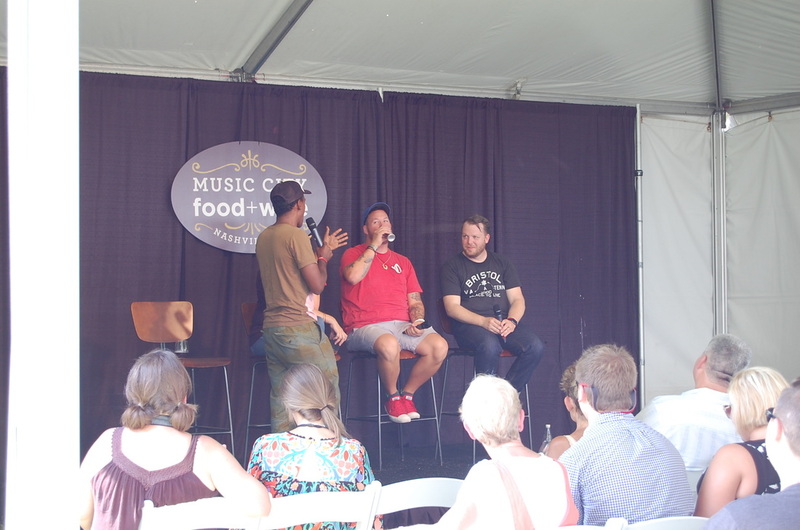 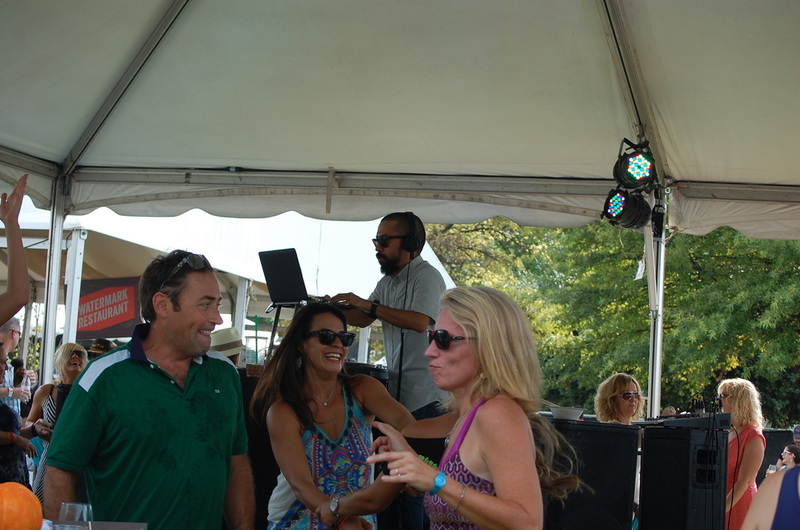 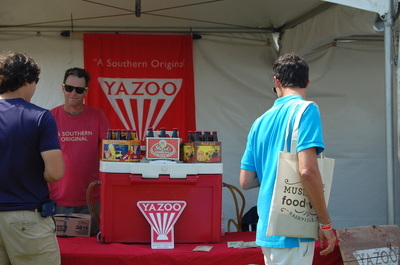 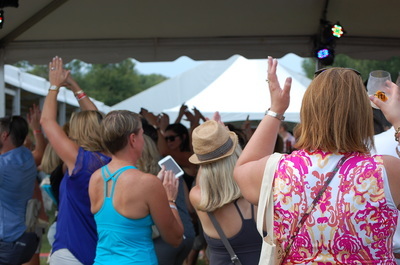 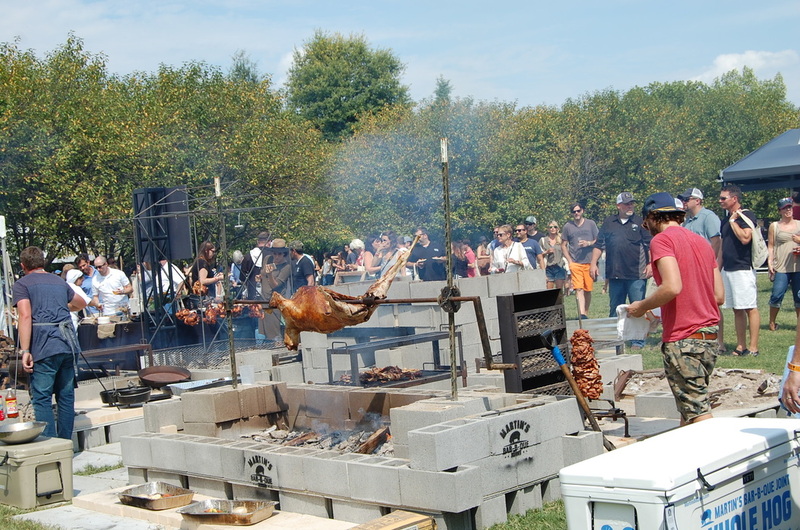 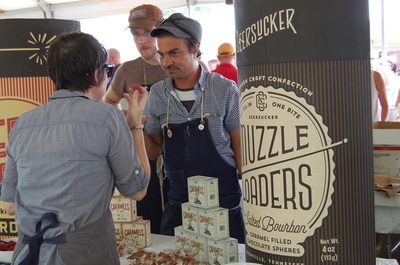 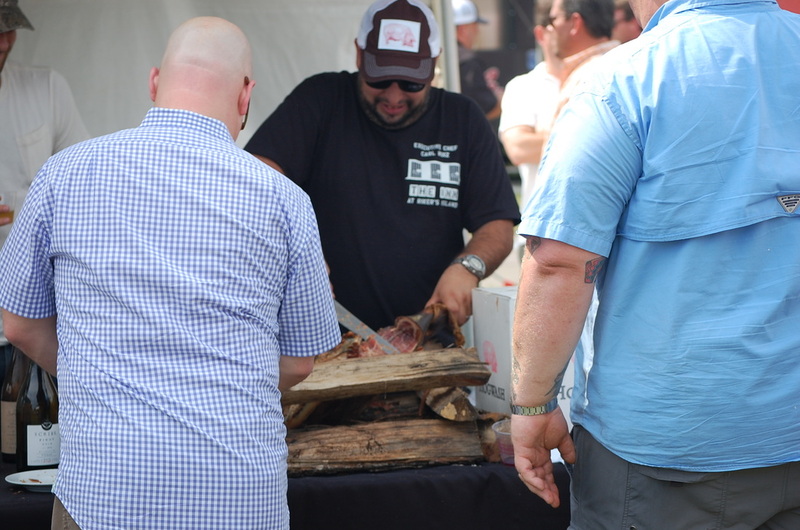 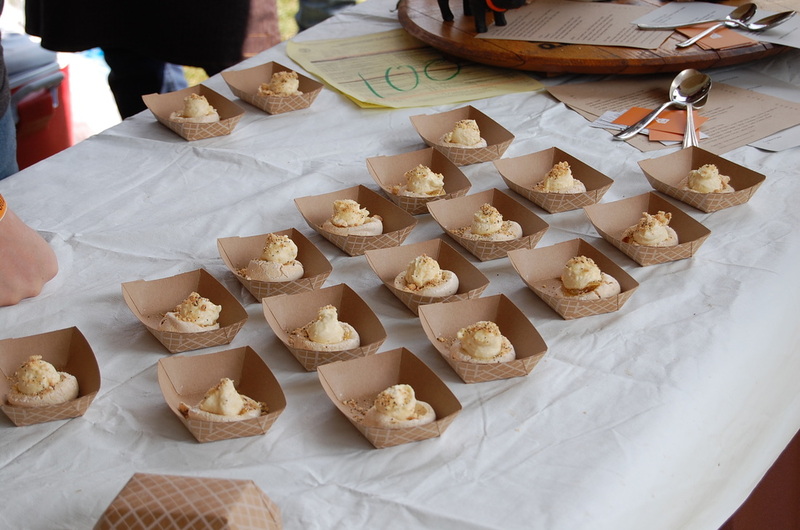 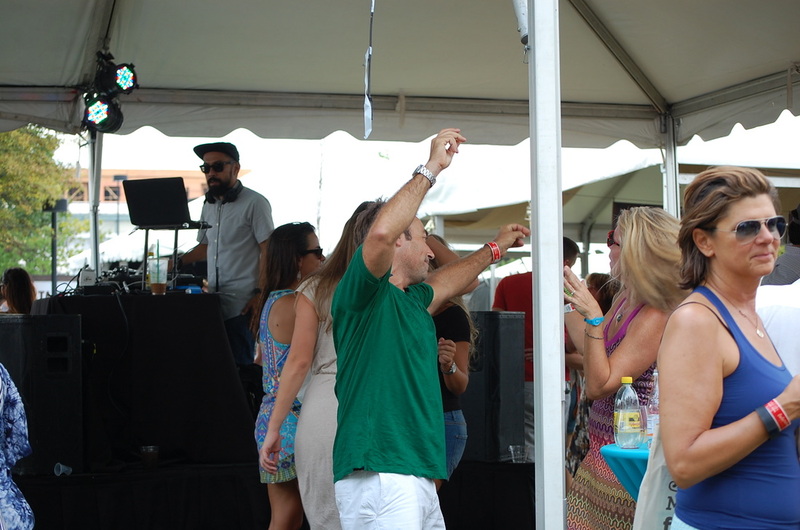 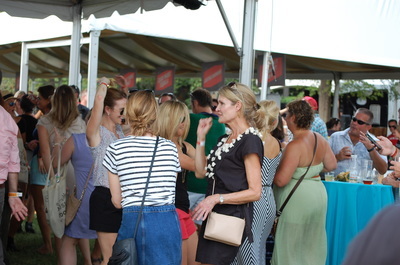 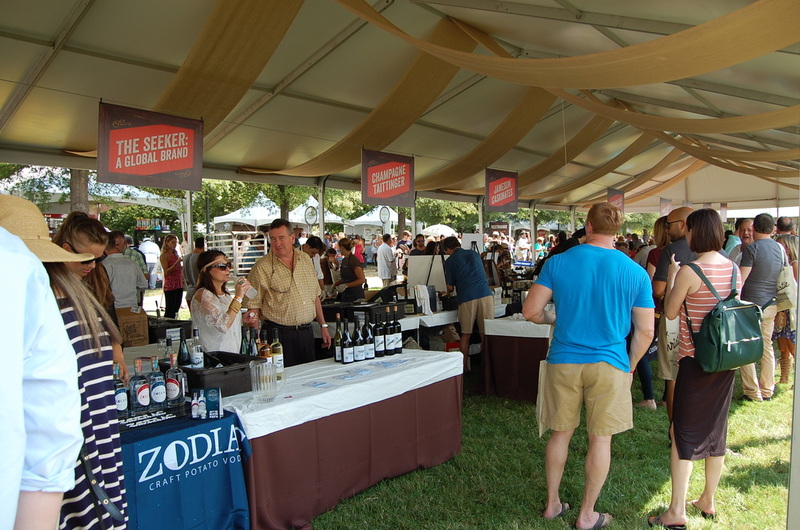 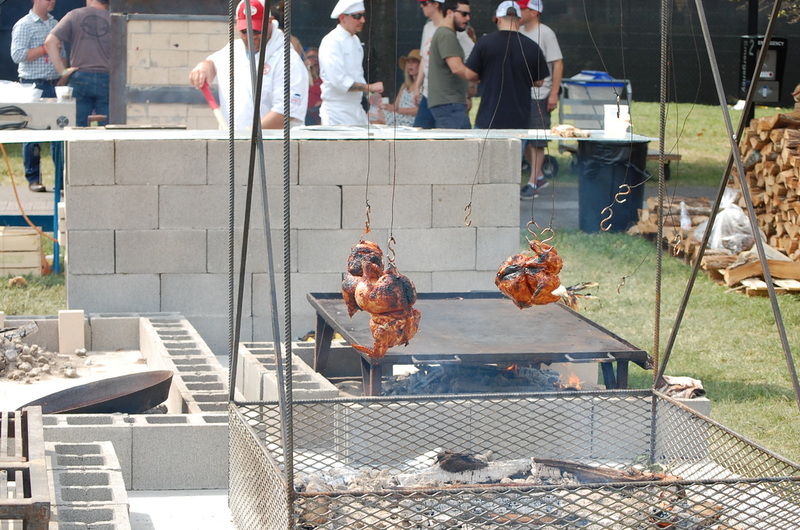 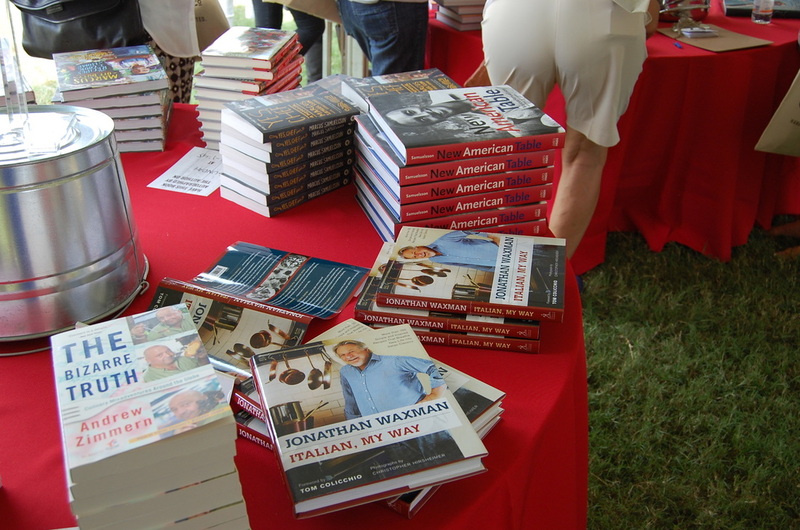 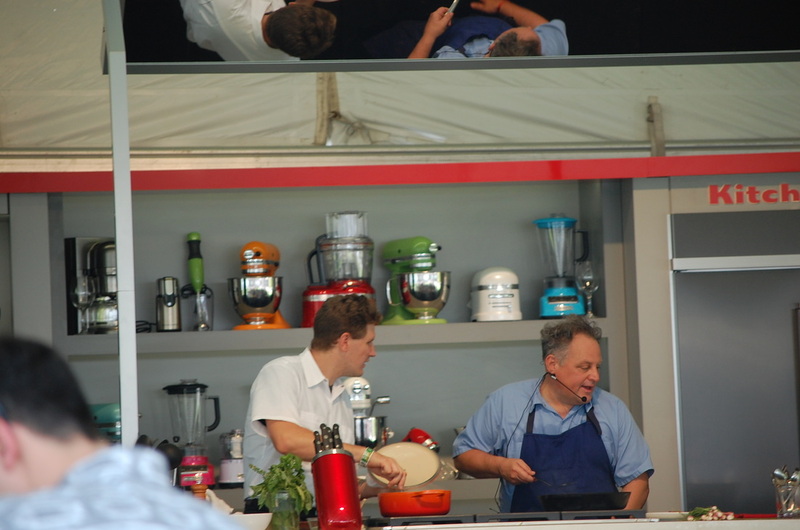 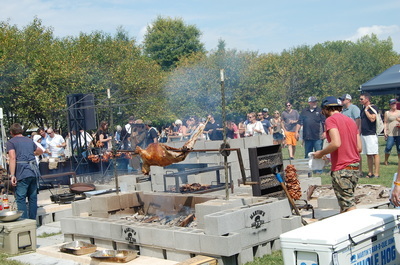 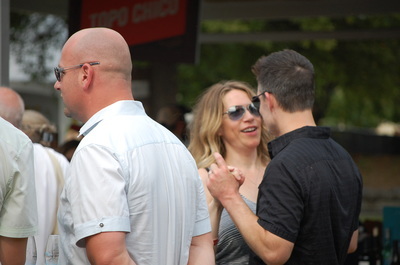 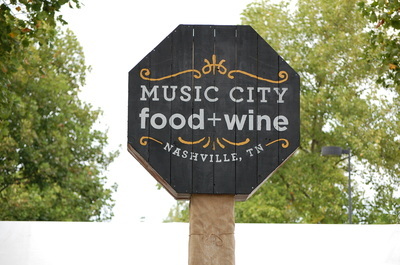 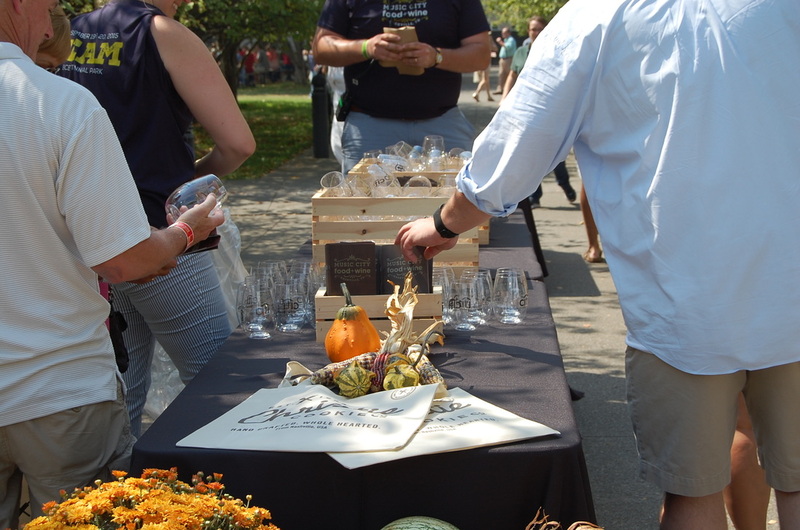 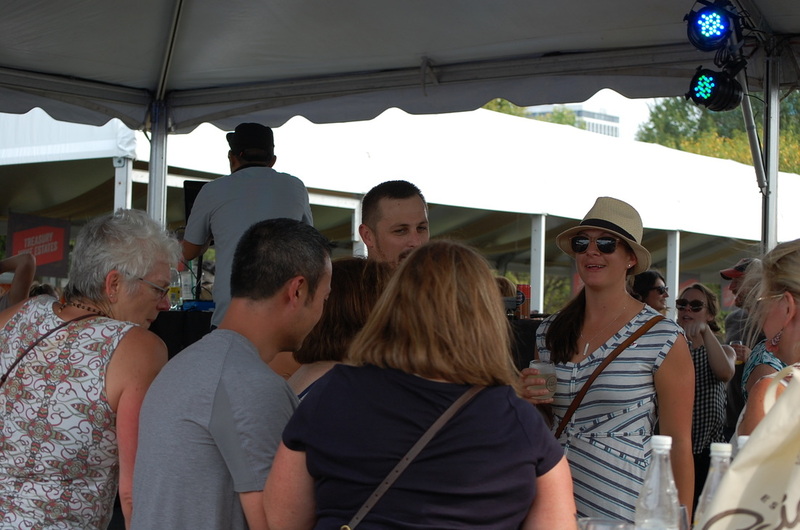 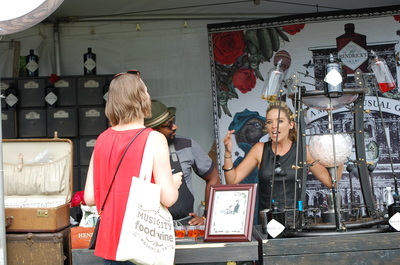 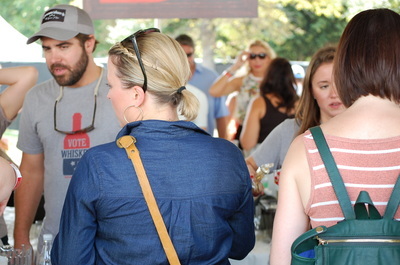 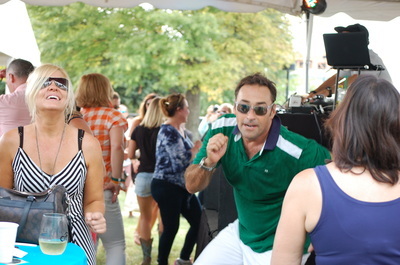 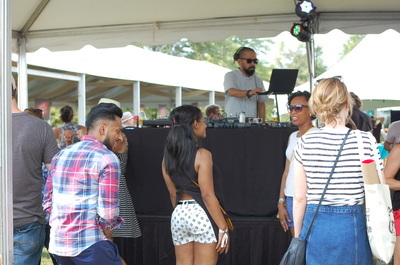 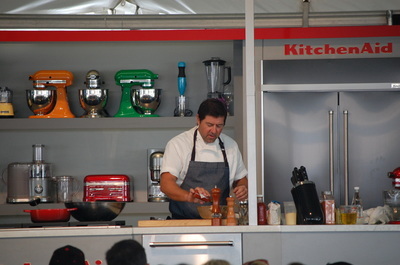 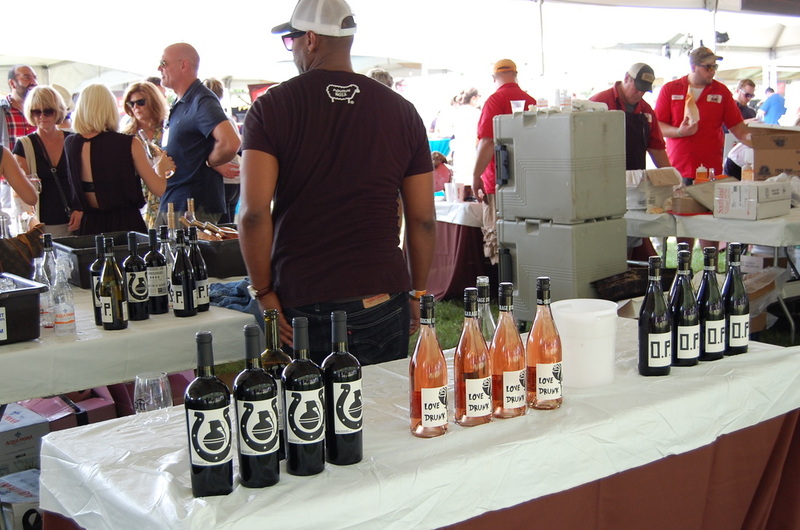 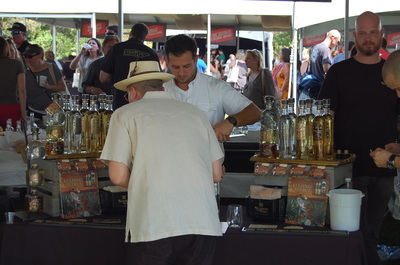 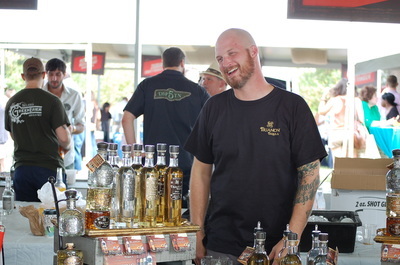 Nestled inside Bicentennial Mall State Park in September, was the 3rd Annual Music City Food and Wine Festival, featuring the finest food and drinks from world class chefs and drink purveyors from Nashville and beyond. 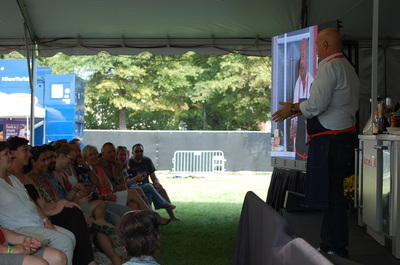 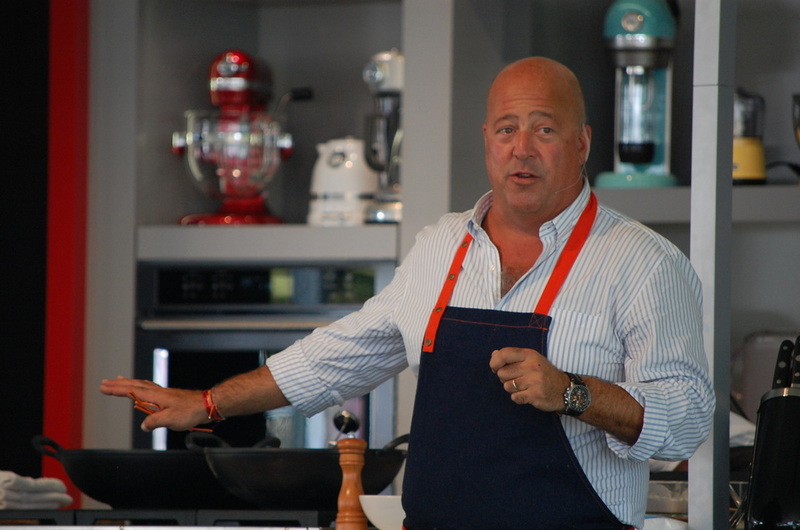 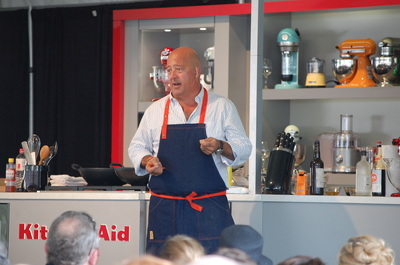 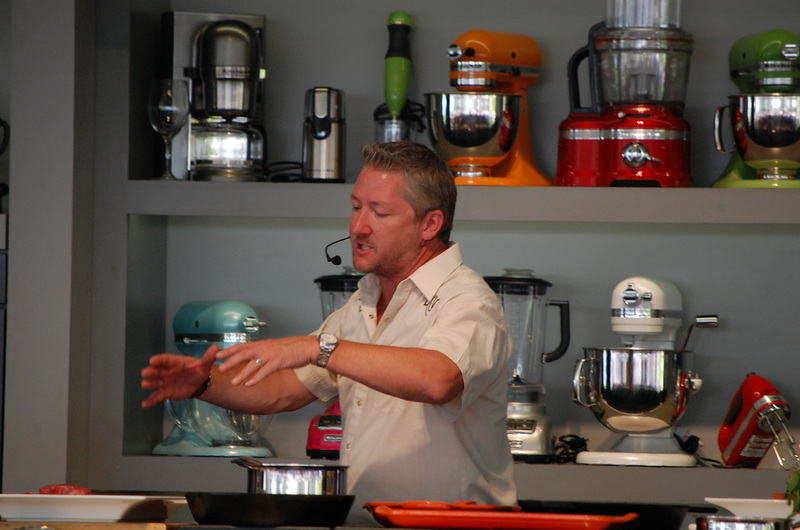 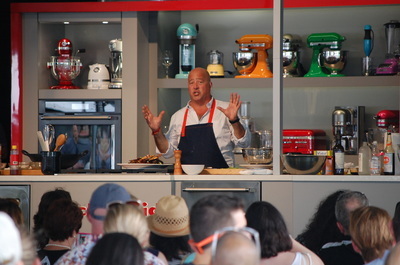 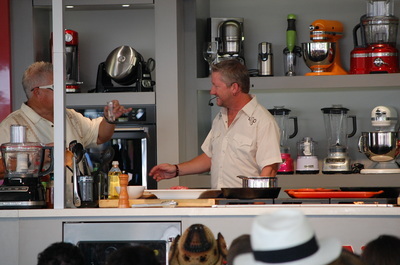 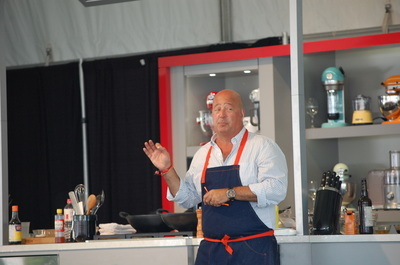 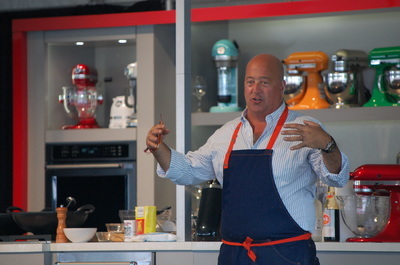 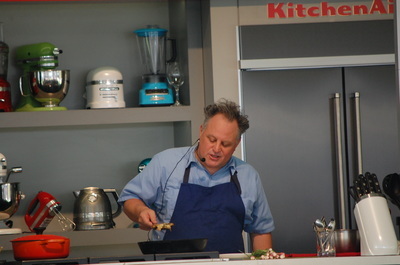 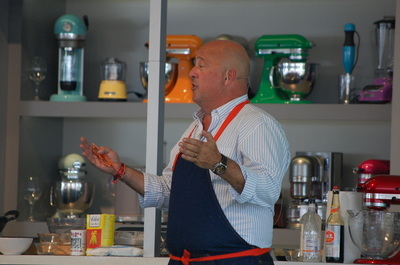 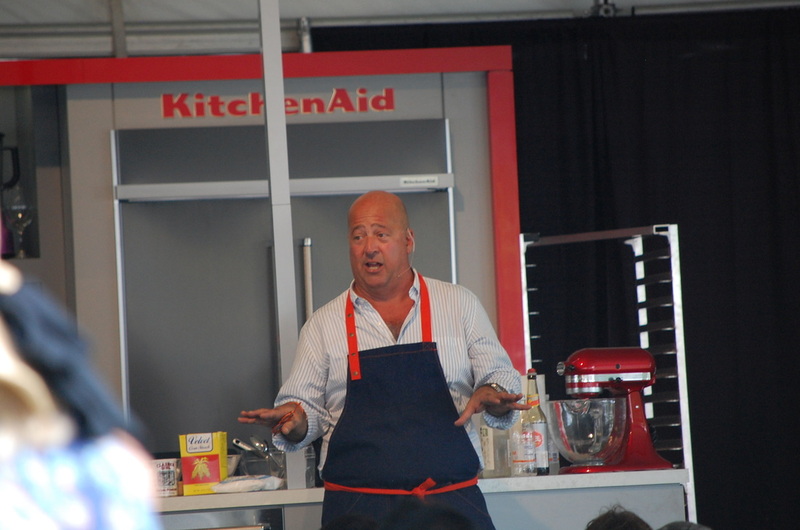 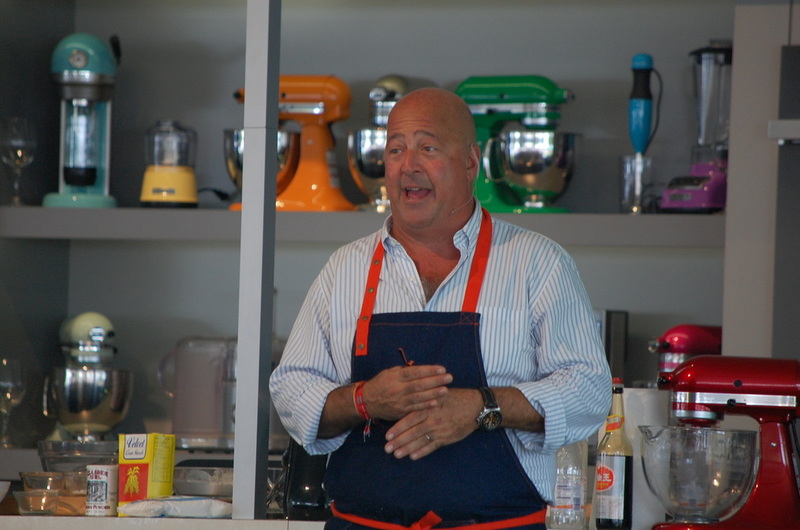 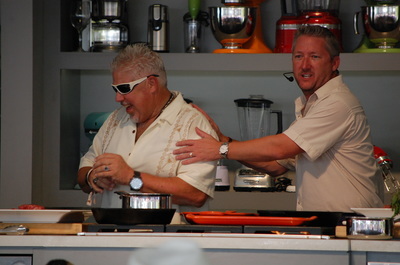 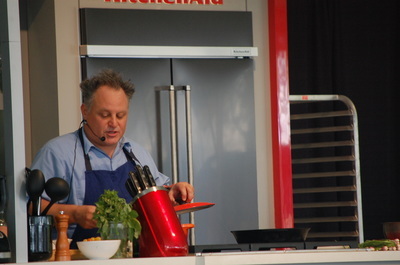 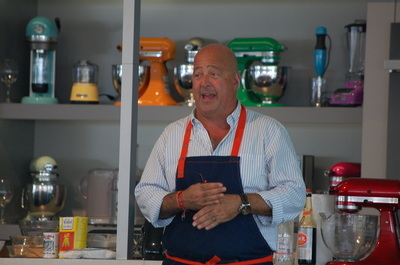 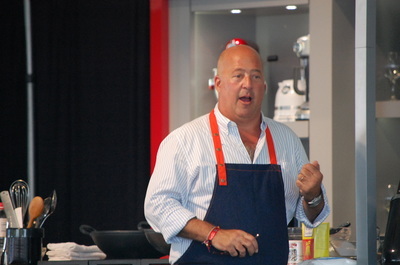 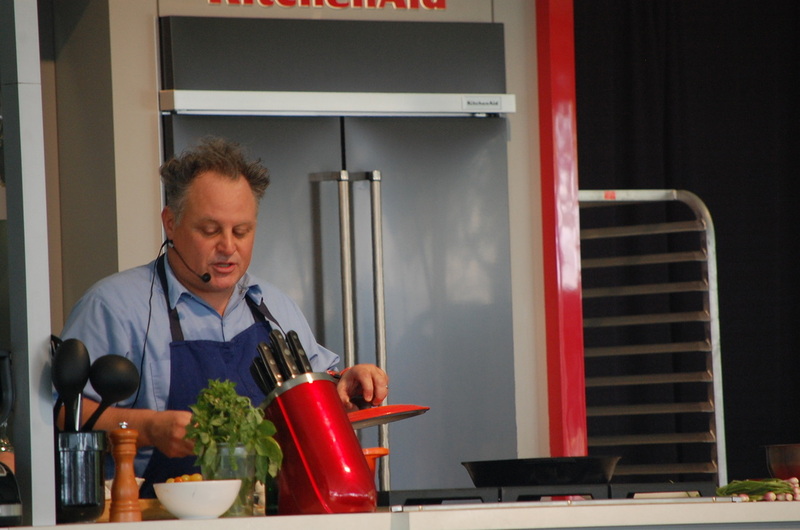 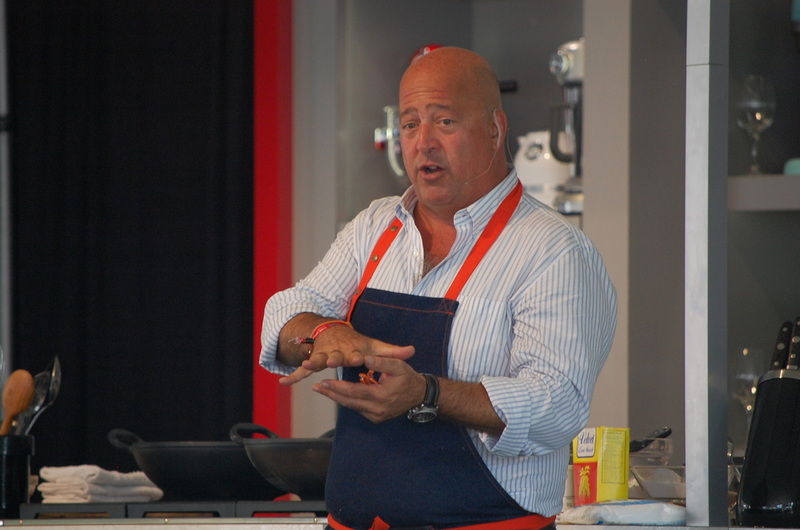 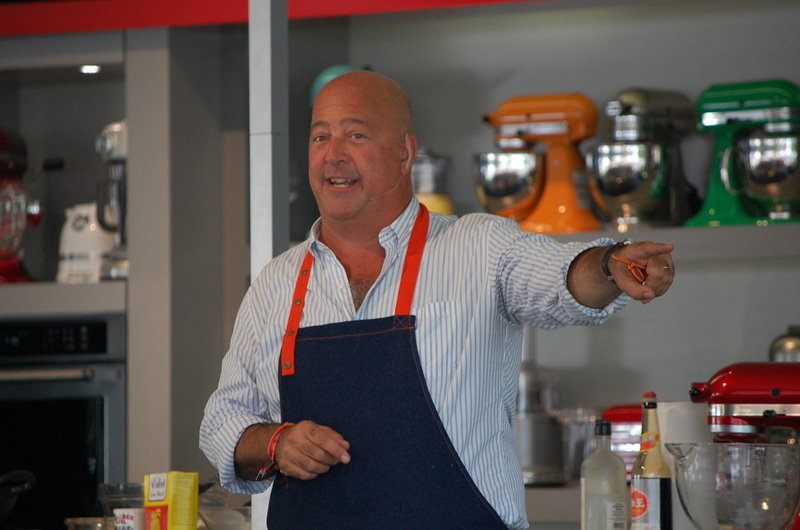 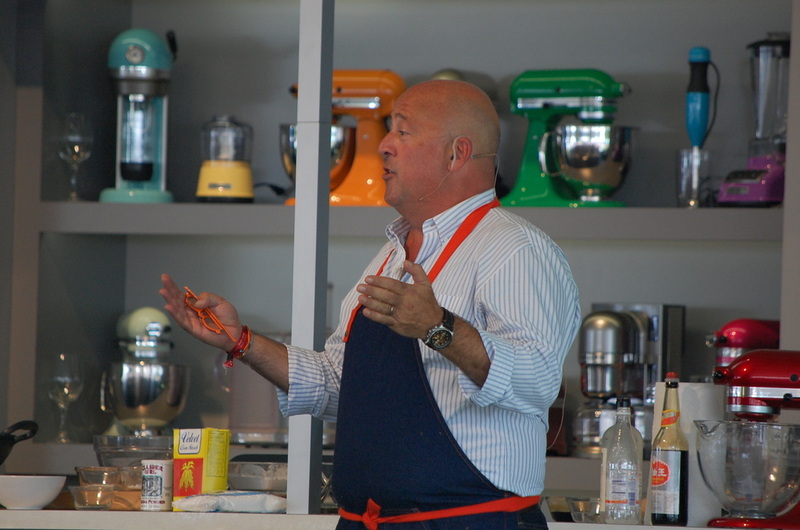 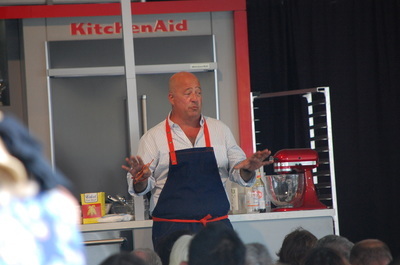 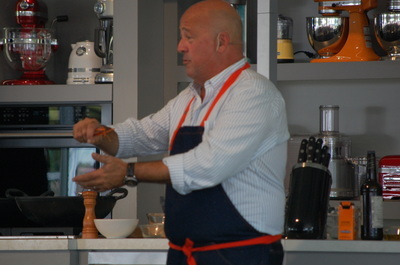 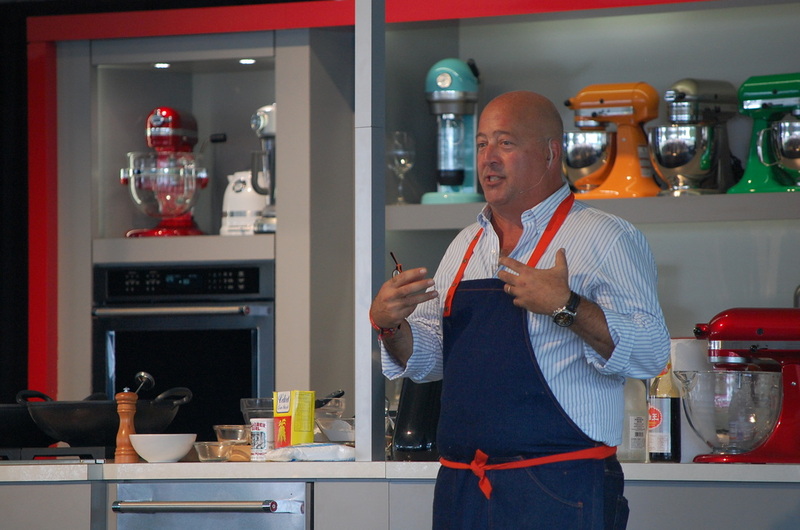 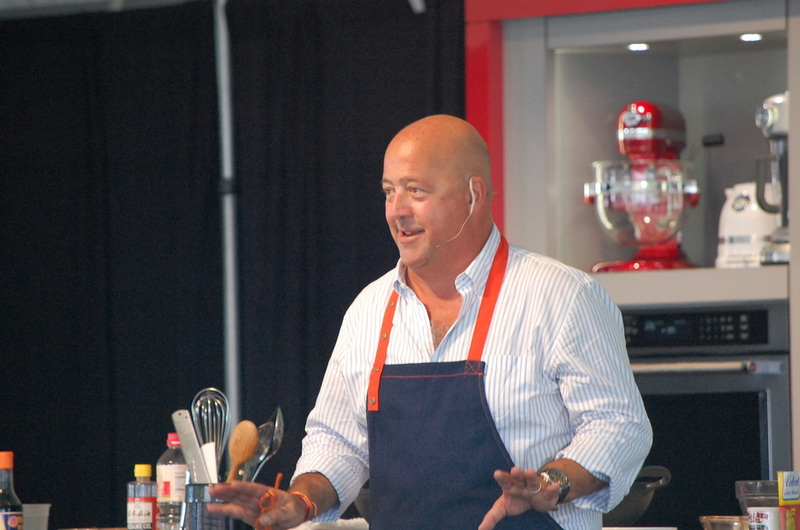 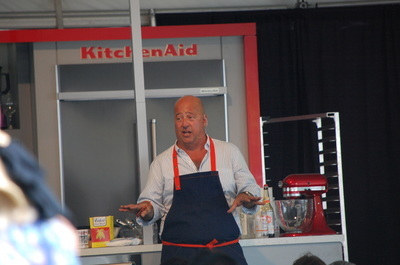 More than the average food festival, MCFW offers interactive cooking demos and intimate panel discussions with the guest chefs, including the impressive lineup of Jonathan Waxman, Carla Hall, Chris Bianco, Mike Lata, Tim Love, Andrew Zimmern, Graham Elliot, Levon Wallace, Linton Hopkins, Aaron Sanchez and Marcus Samuelsson, which allows guests to not only receive tips and techniques from, and mingle and celebrate with their favorite chefs. 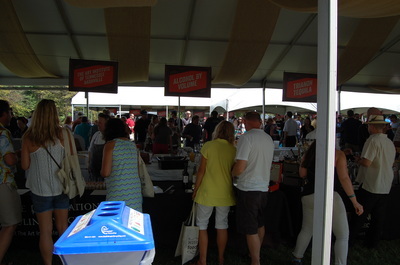 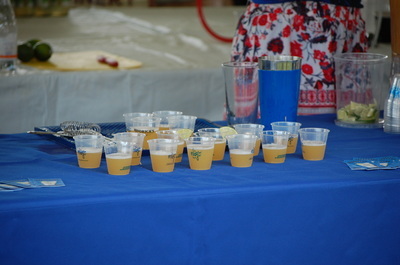 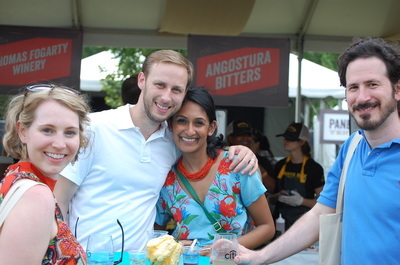 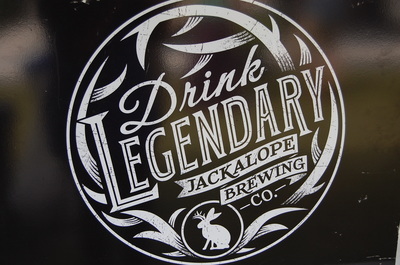 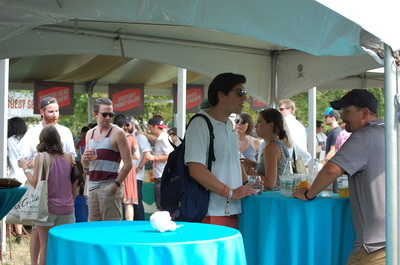 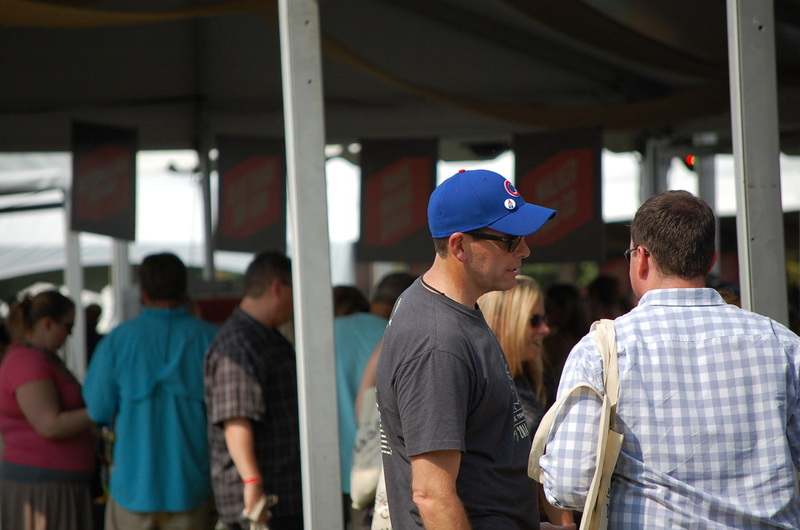 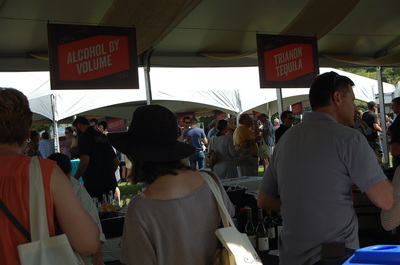 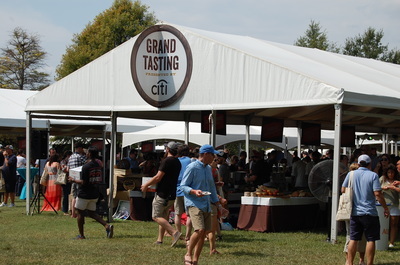 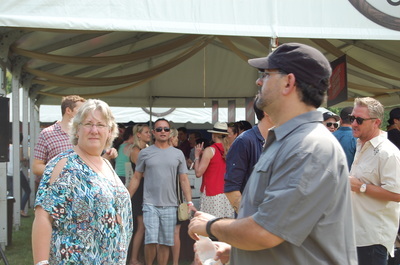 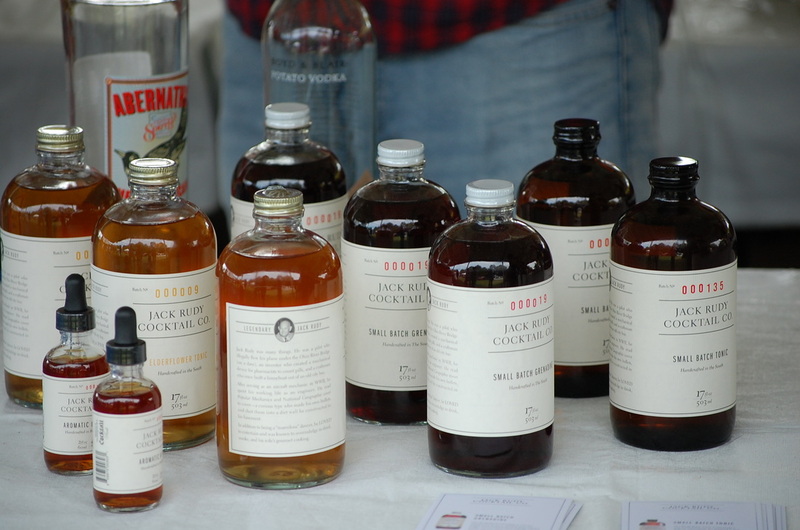 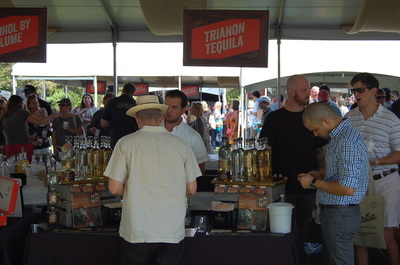 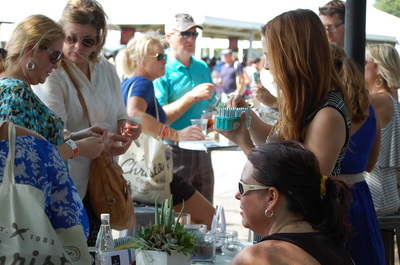 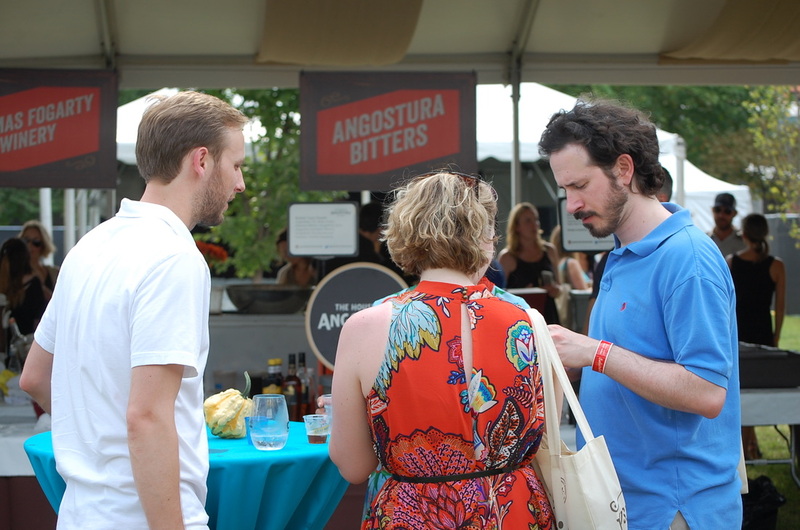 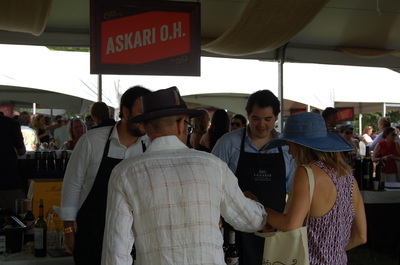 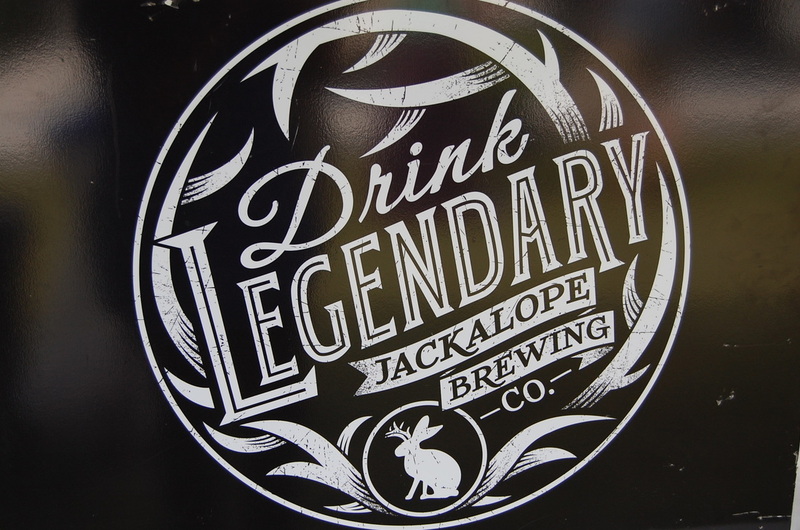 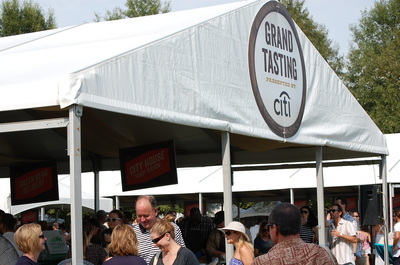 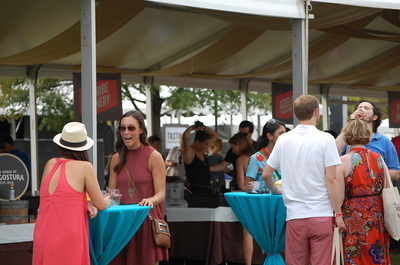 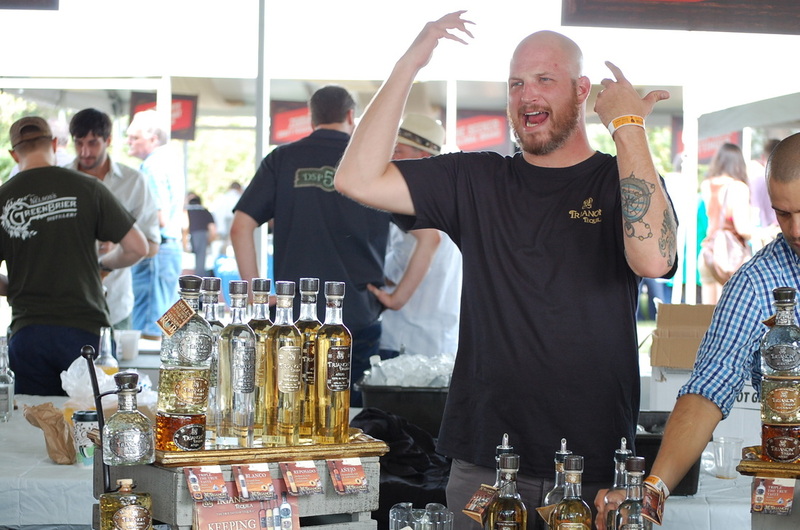 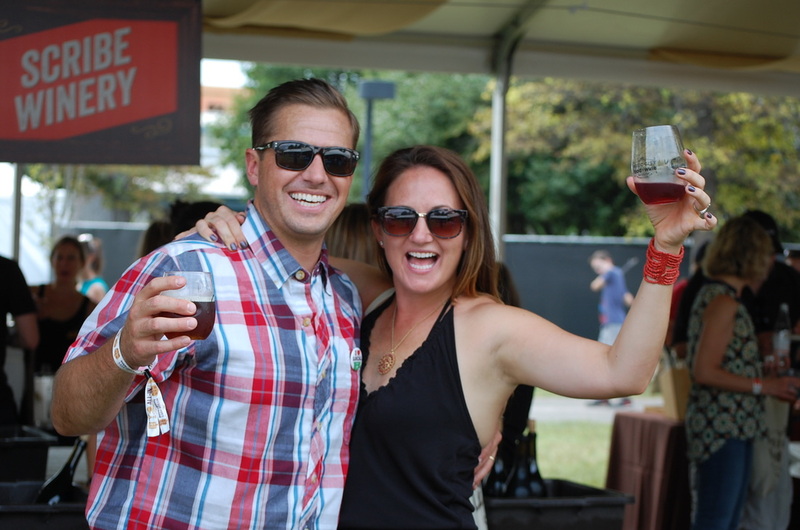 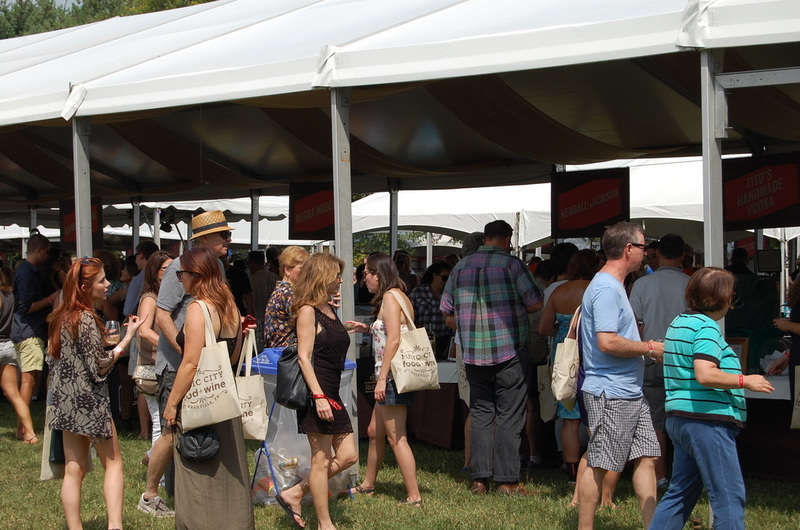 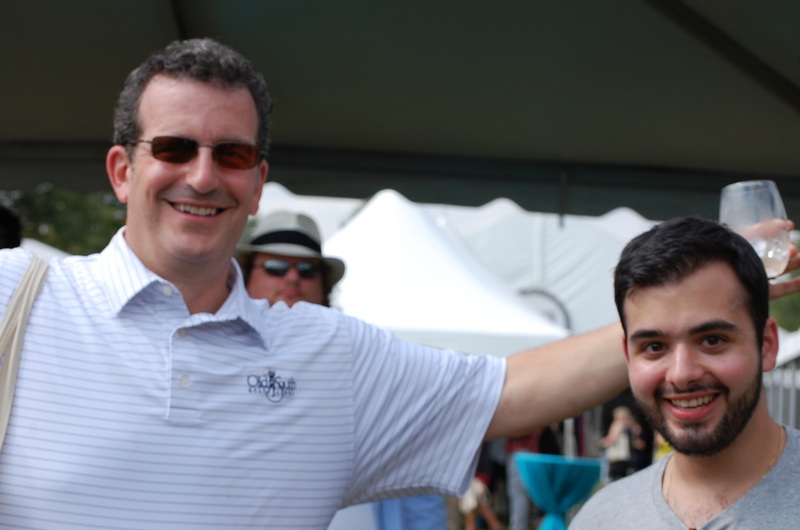 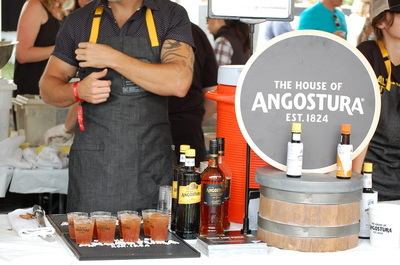 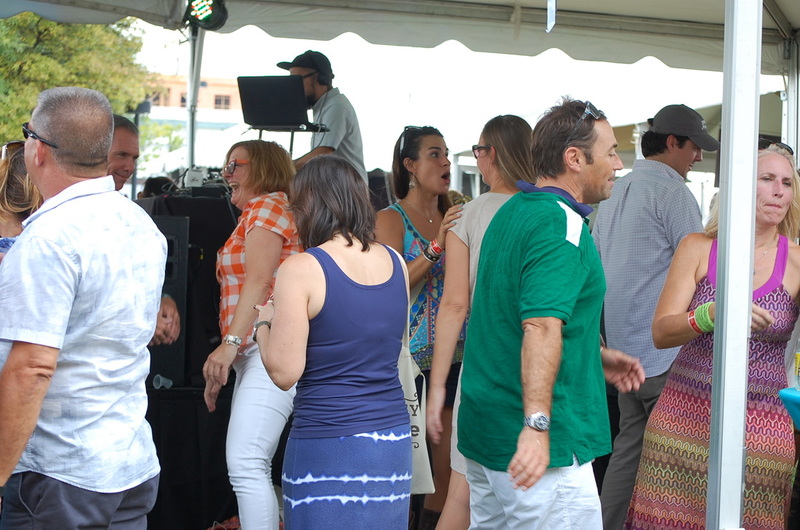 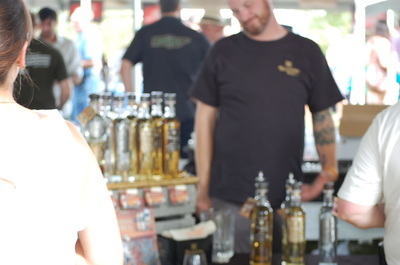 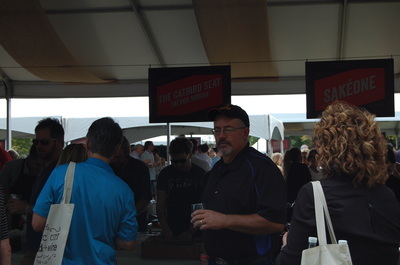 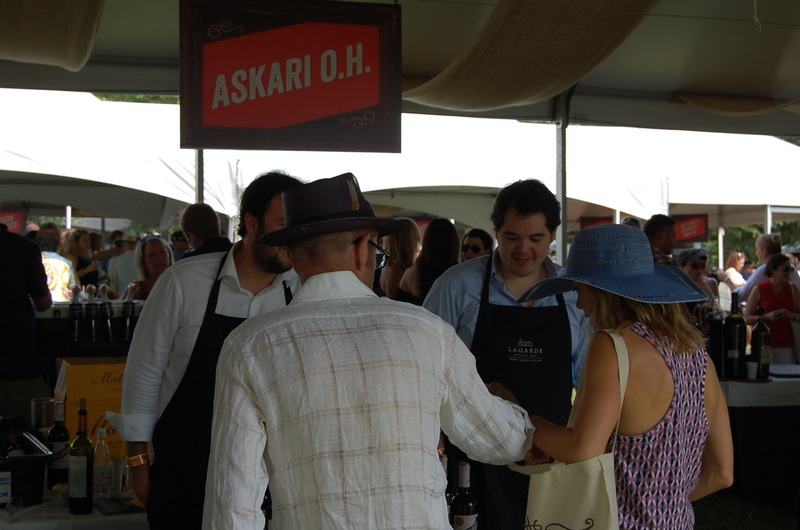 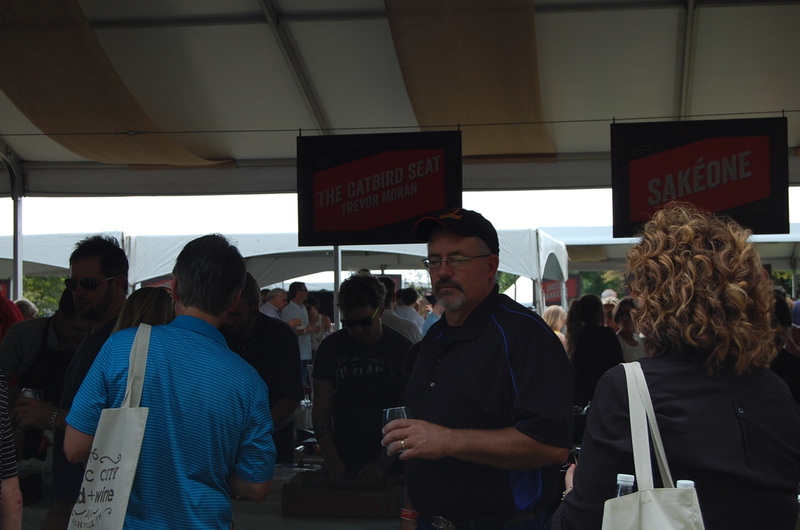 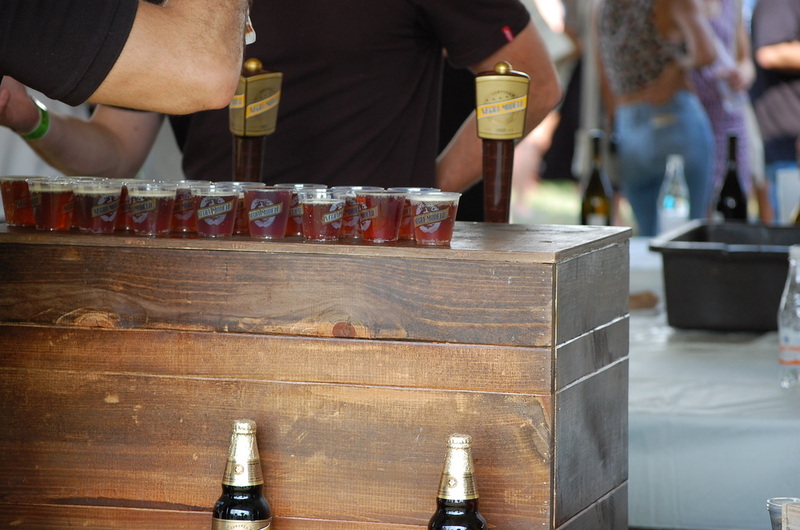 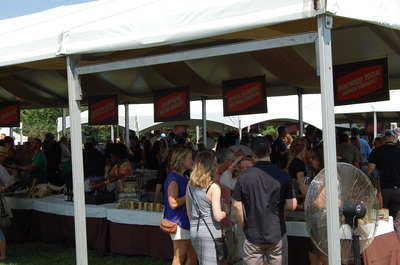 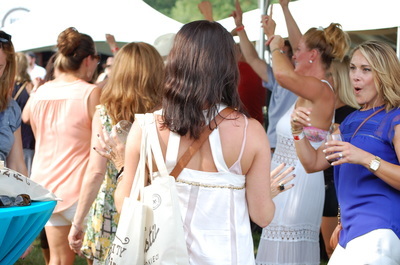 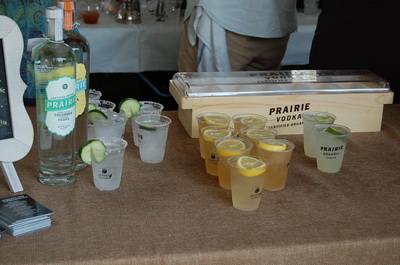 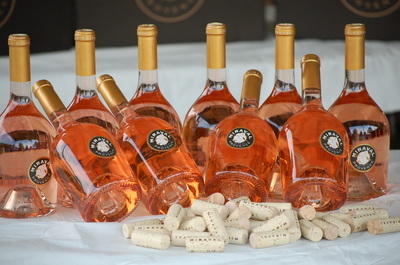 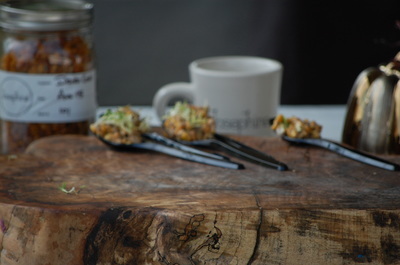 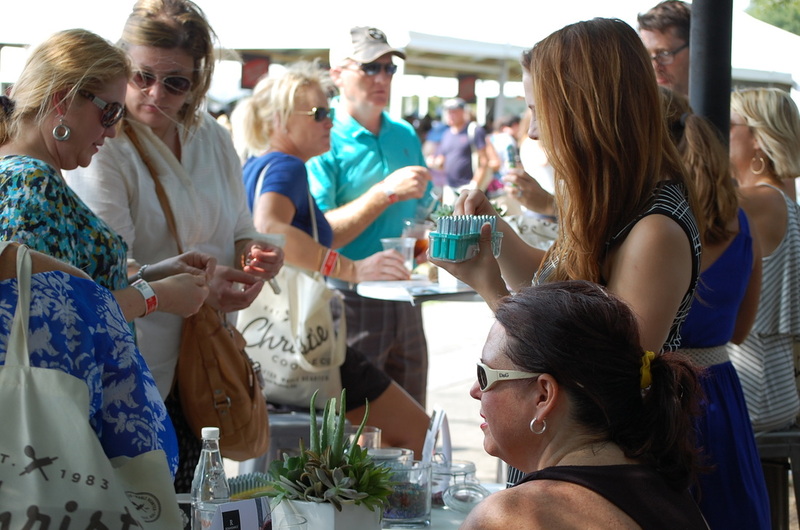 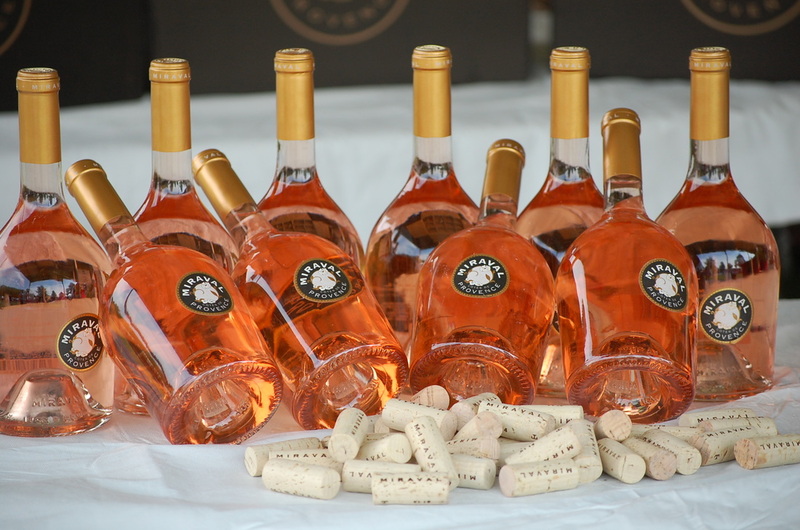 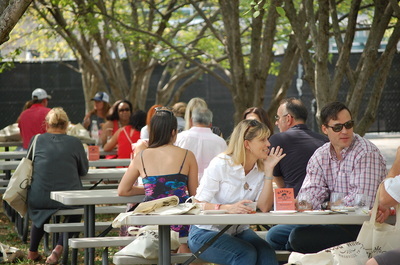 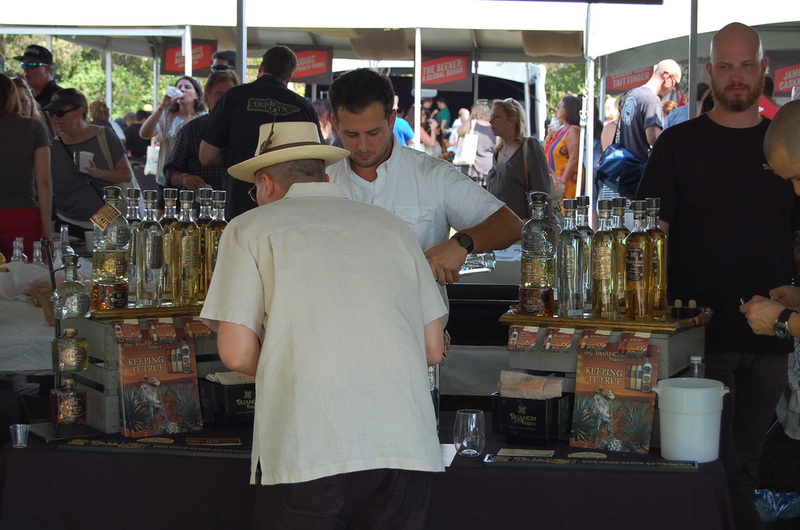 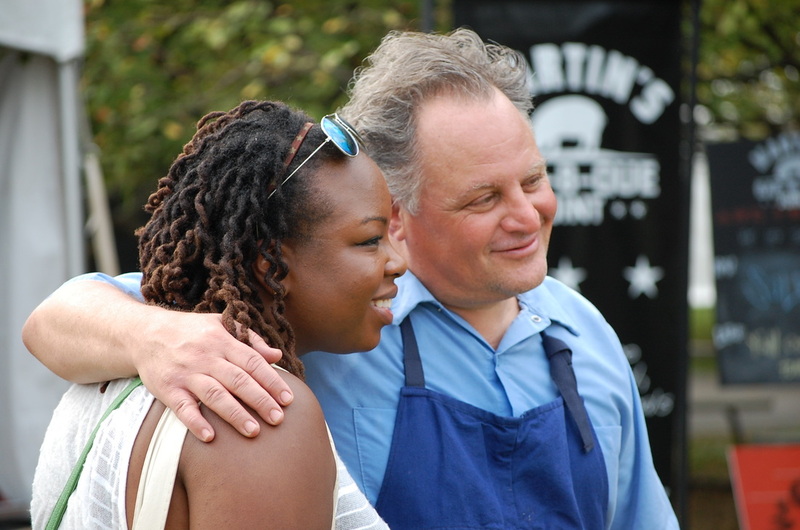 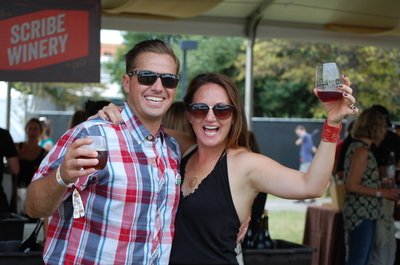 The Grand Tasting, an all-day sampling experience featuring artisanal specialties from restaurants and chefs, food and lifestyle companies, and beer, wine and spirit suppliers. 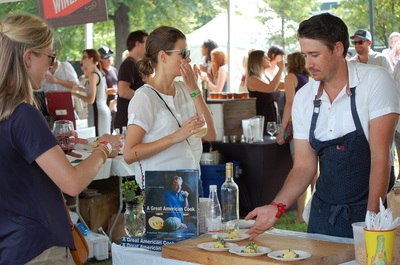 Saturday’s Chef Showcase featured dishes from Andrew Little, Josephine; Andrew Rodriguez, Pinewood Social; Carey Bringle, Peg Leg Porker; Dale Levitski, Sinema Nashville; Duane Loftus, Merchant’s Restaurant; Giobanni Pinato, Giovanni Ristorante; Hal M. Holden-Bache, Lockeland Table; James Peisker and Chris Carter, Porter Road Butcher; Karl Worley, Biscuit Love Brunch; Lisa Donovan, Buttermilk Road; Matt Bolus, The 404 Kitchen; Tandy Wilson, City House; Todd Alan Martin, The Treehouse; Travis McShane, Adele’s; Trevor Moran, The Catbird Seat; Trey Cioccia, The Farm House; Tyler Brown, Capitol Grille. 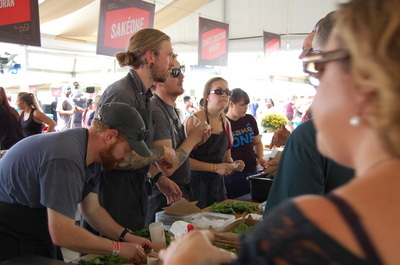 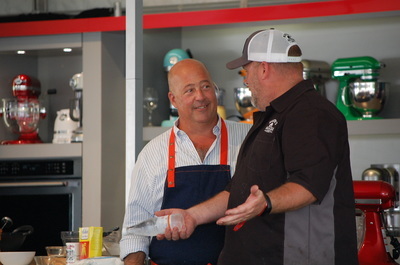 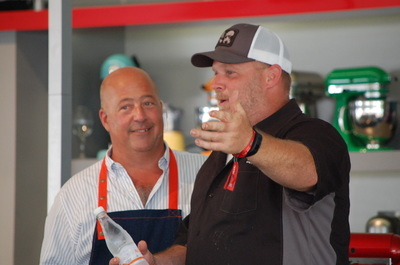 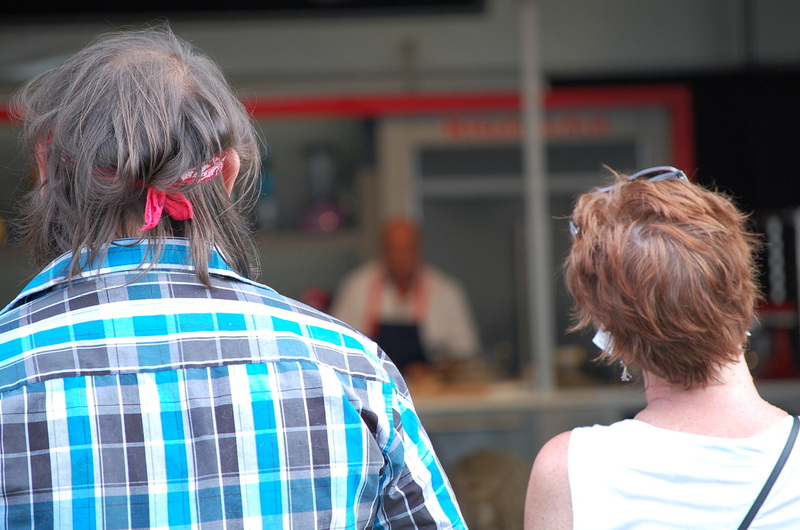 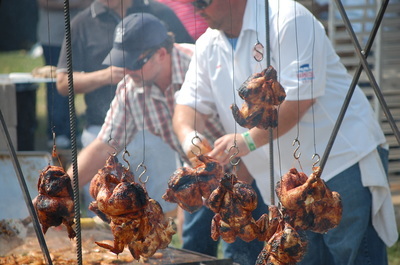 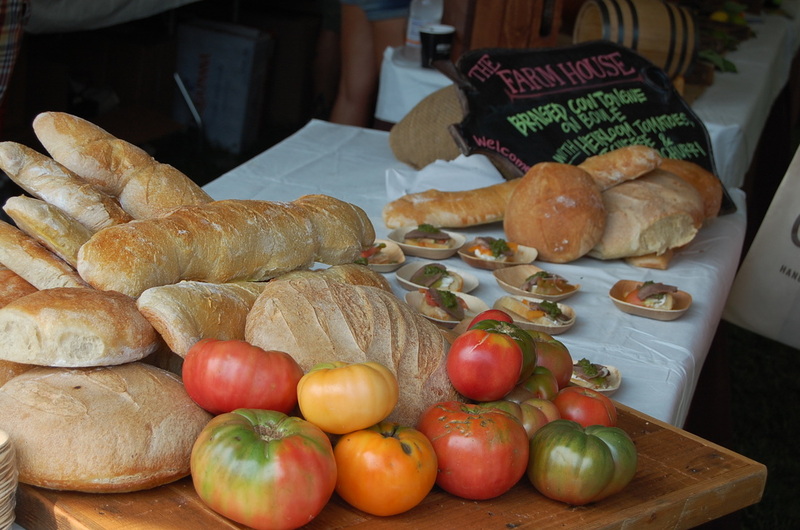 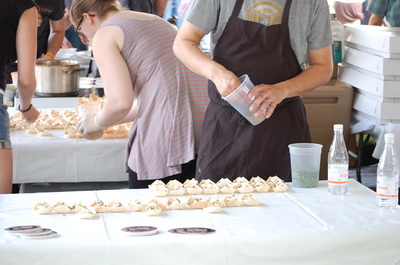 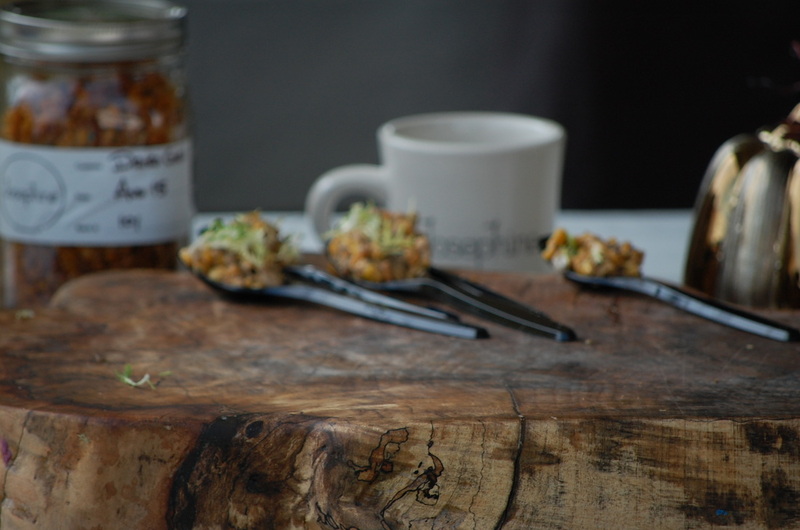 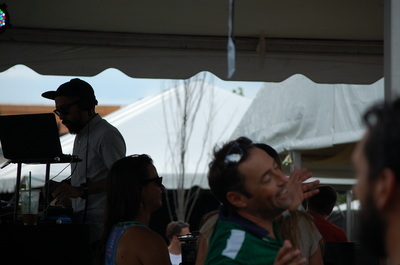 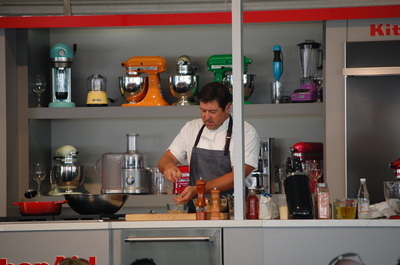 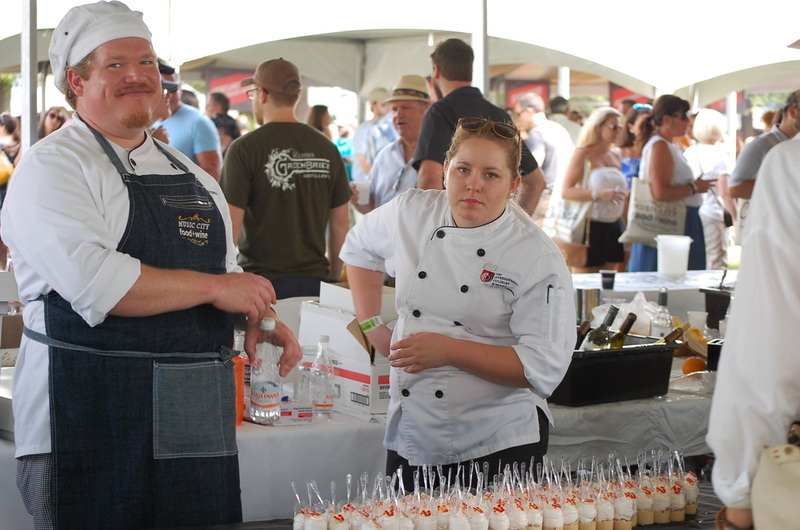 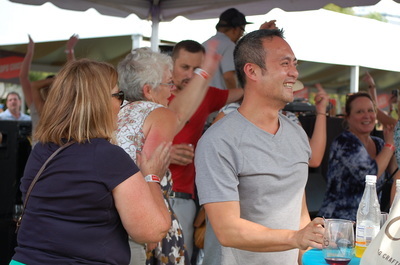 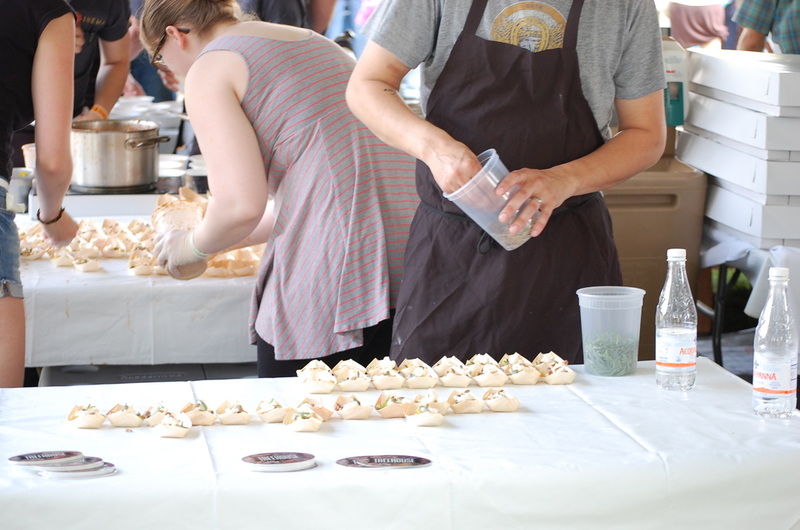 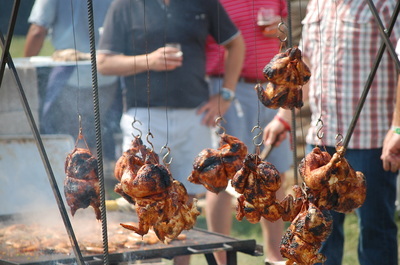 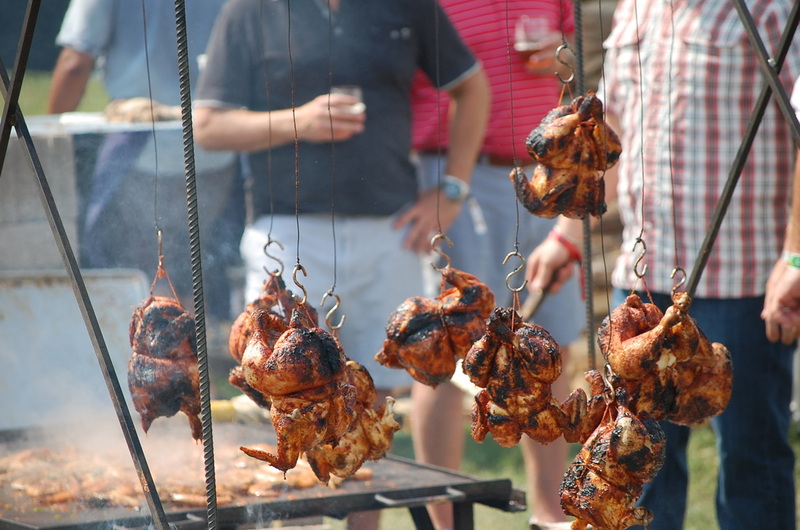 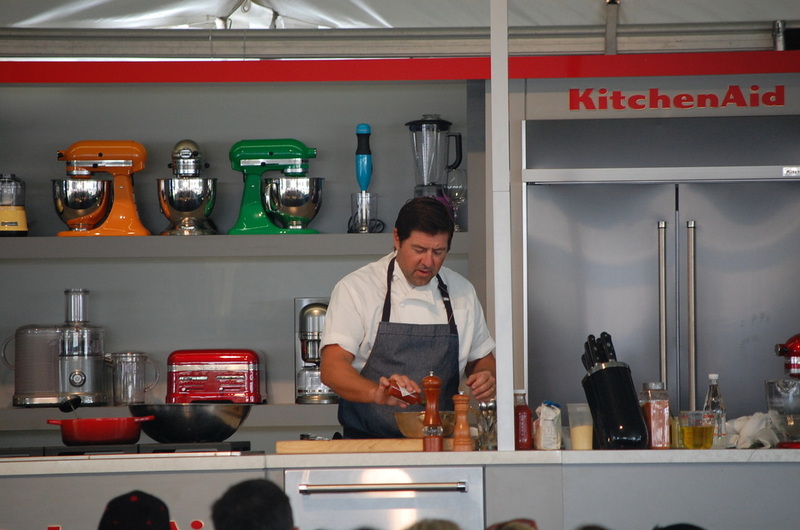 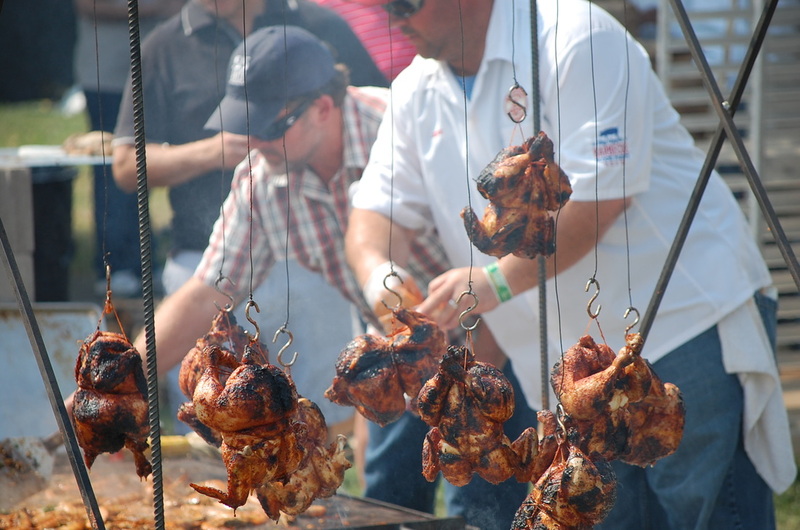 Sunday’s Chef Showcase included dishes from Alex Grainger, Silo; Brandon Frohne, Forage South; Deb Paquette, Etch and Truss; Jason McConnell, McConnell Hospitality Group; Jay Flatley, Tavern; John Lasater, Hattie B’s; Josh Habiger, Bastion; Kaelin Ulrich Trilling, Bajo Sexto Taco; Kahlil Arnold, Arnold’s Country Kitchen; Maneet Chauhan, Chauhan Ale and Masala House; Margot McCormack, Margot Café & Marche Artisan Foods; Matt Farley, The Southern Steak and Oyster and The Acme Feed & Seed; Nick Pelligrino, Mangia Nashville; Owen Clark, Rolf & Daughters; Robert Grace, Kayne Prime; Roderick Bailey, The Silly Goose; Salvador Avila, Prima; Sarah Gavigan, Otaku Ramen.